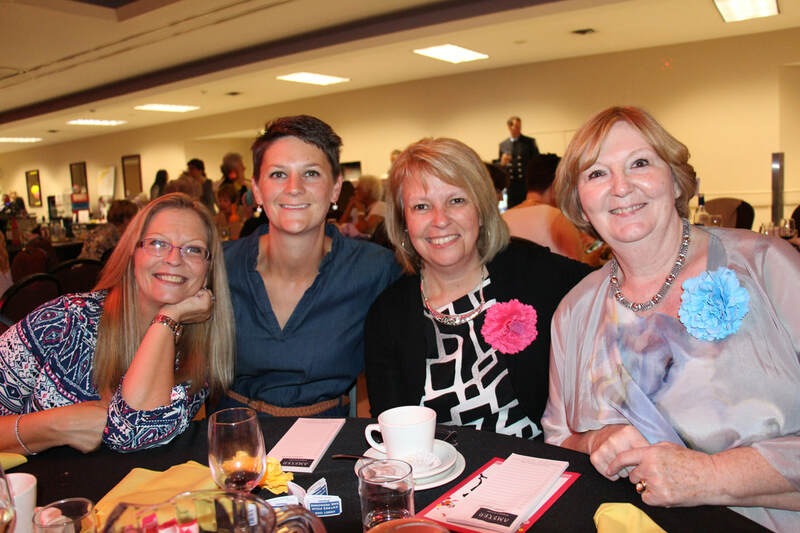 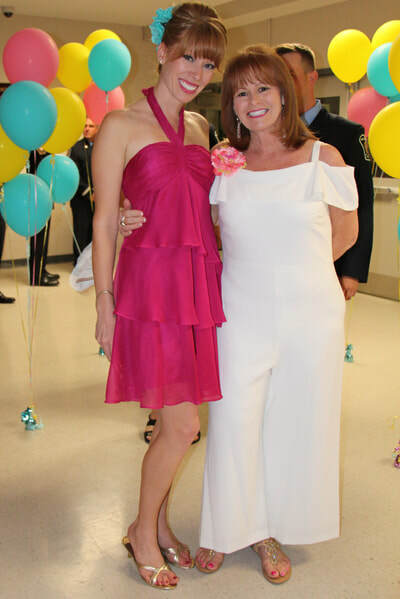 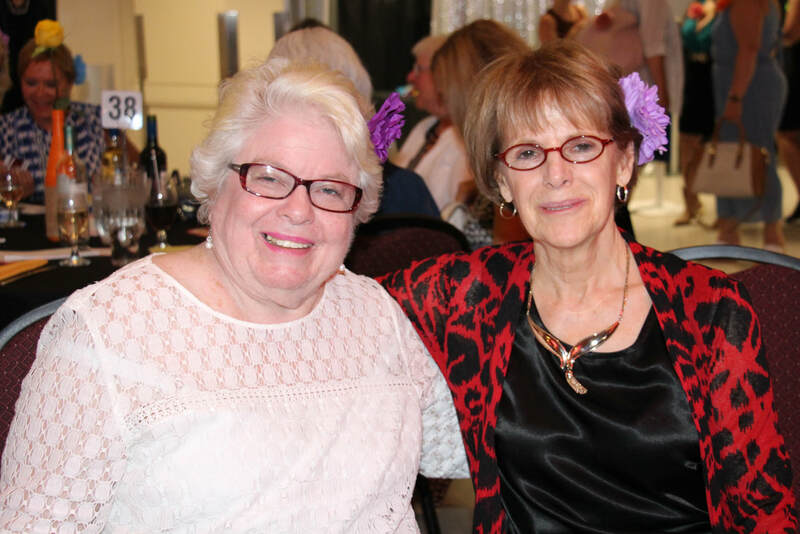 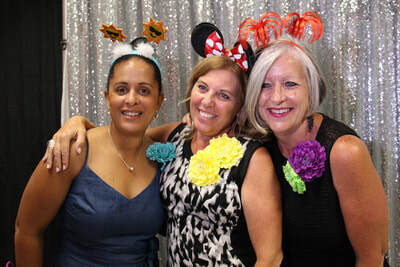 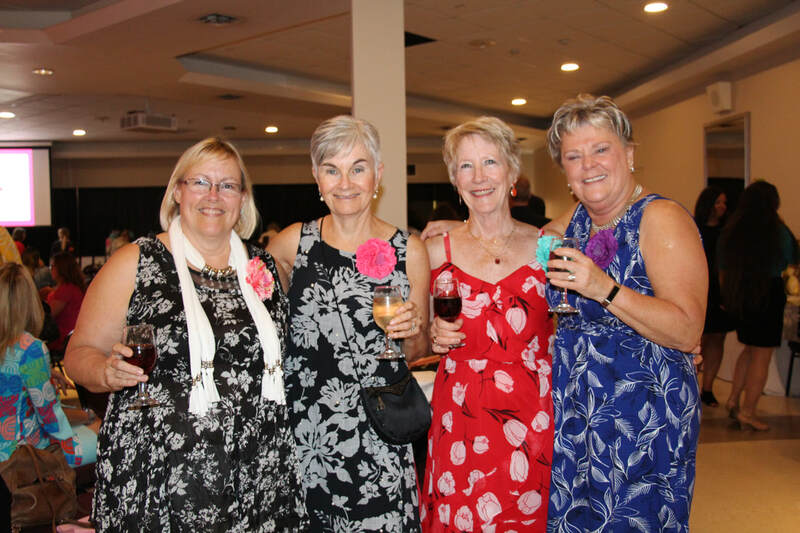 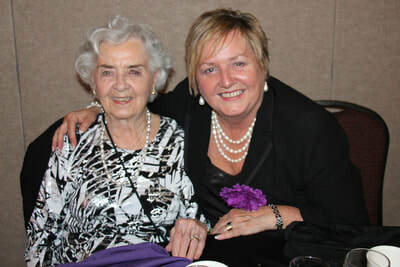 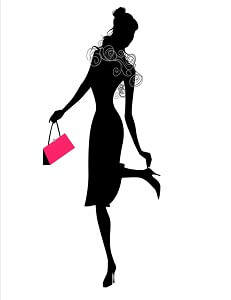 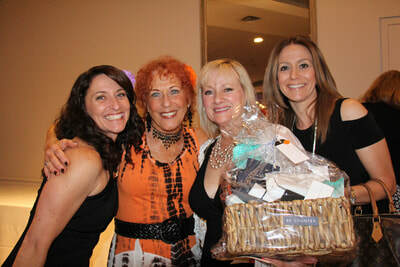 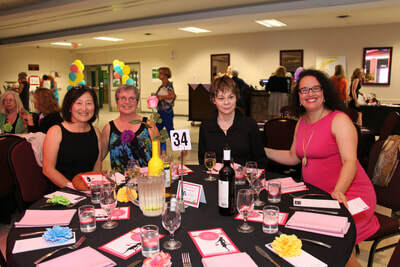 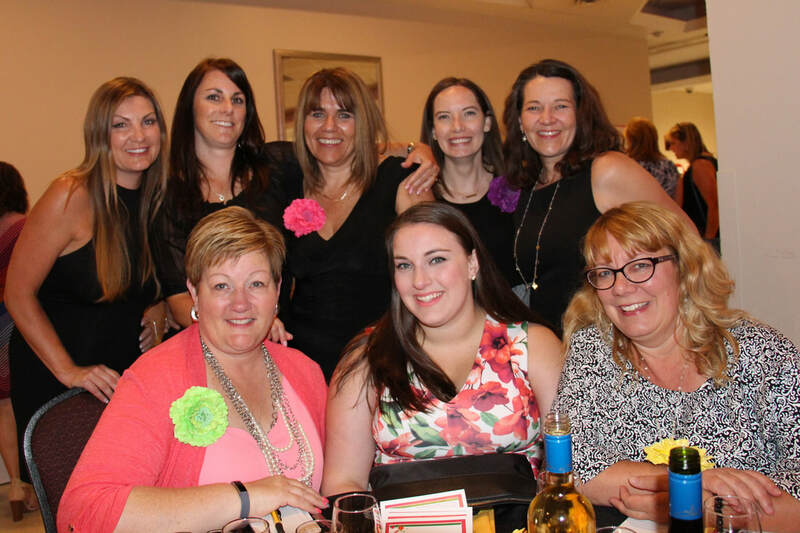 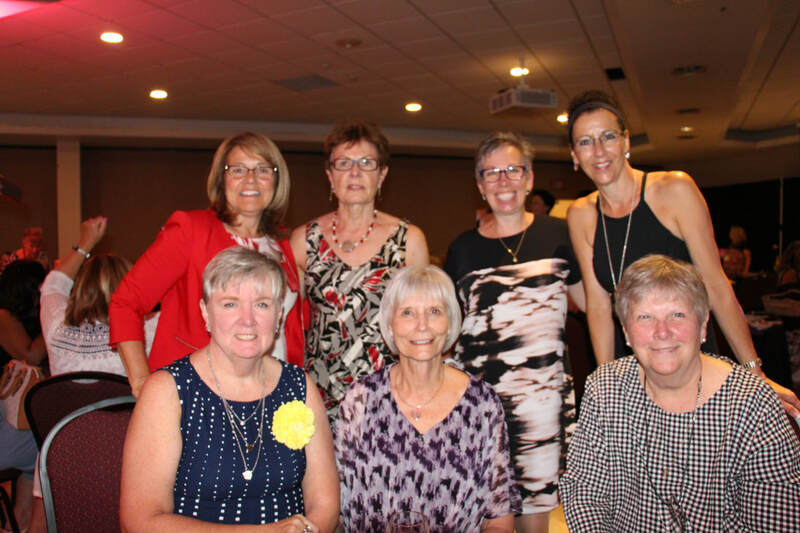 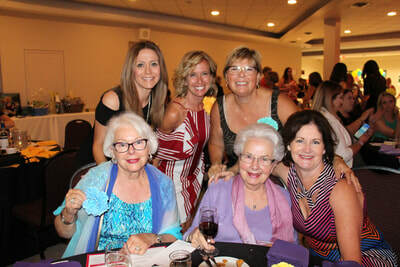 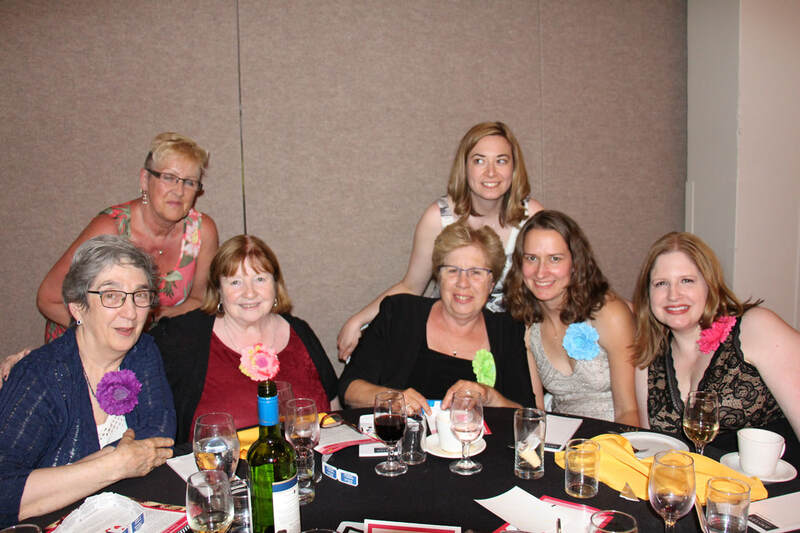 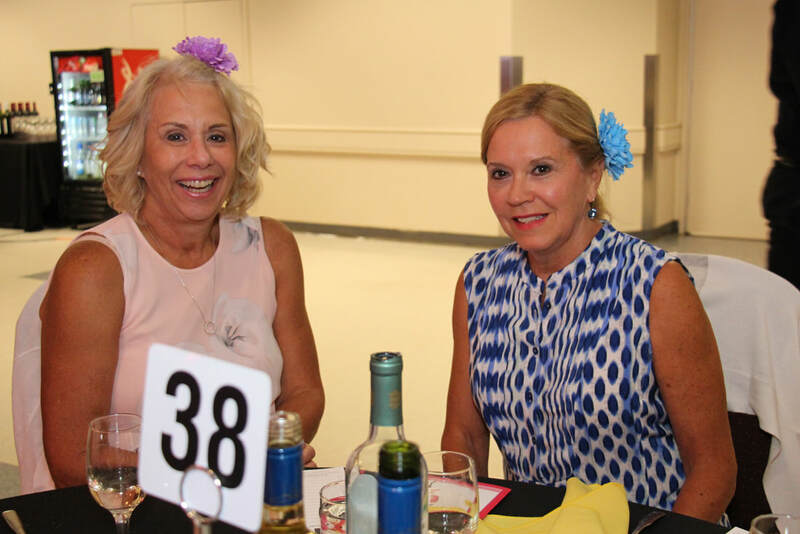 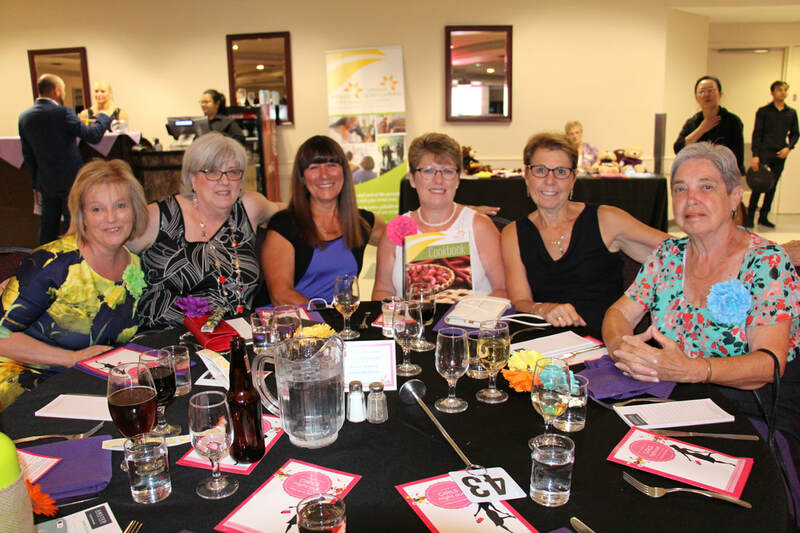 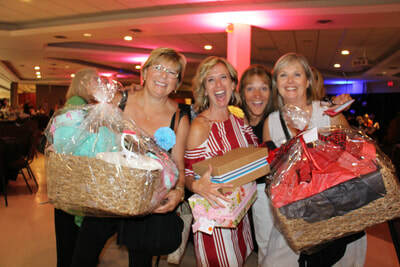 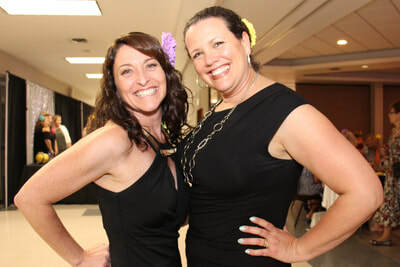 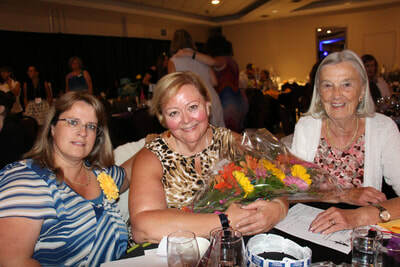 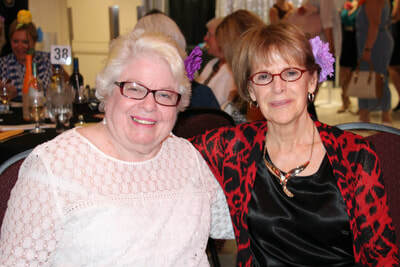 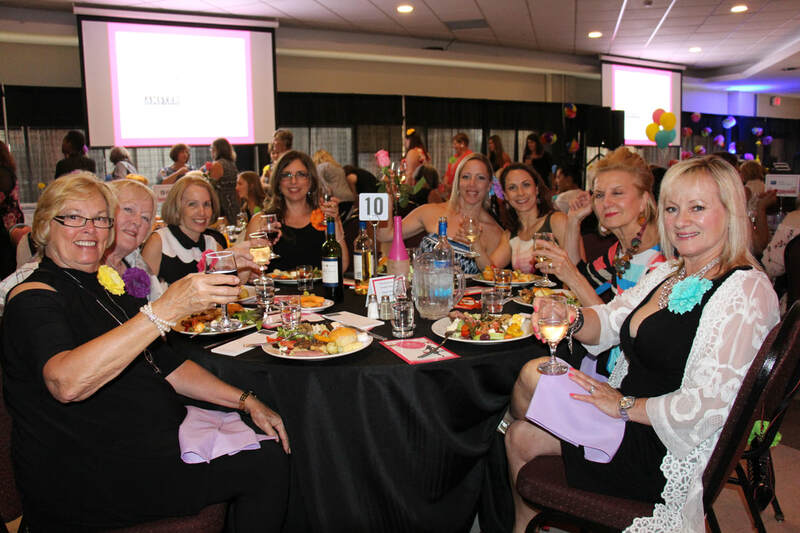 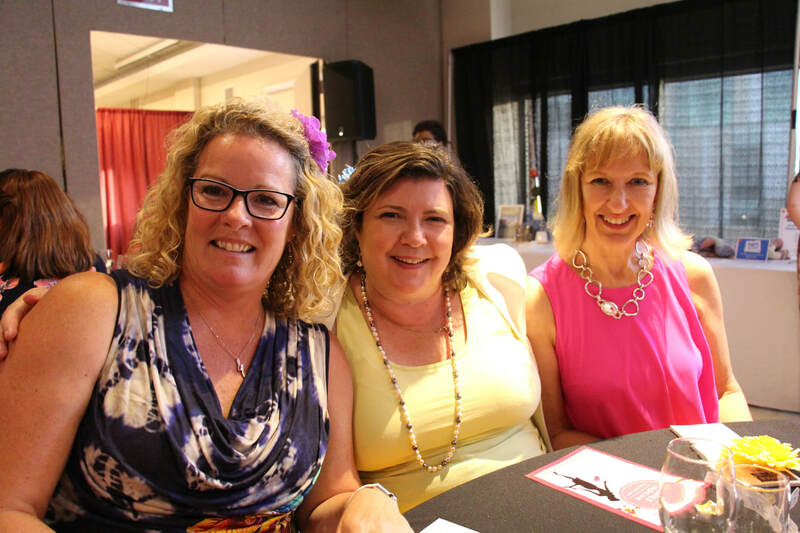 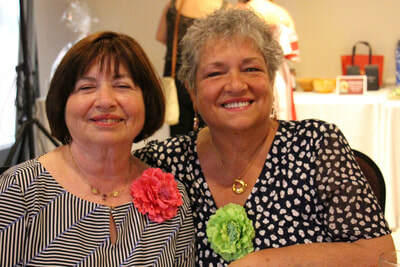 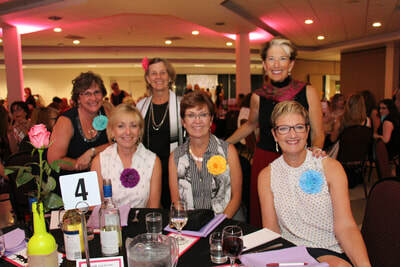 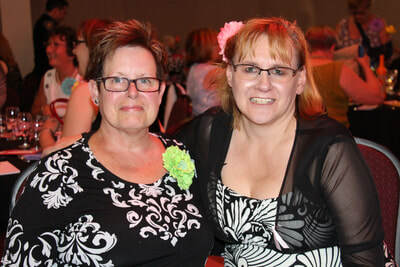 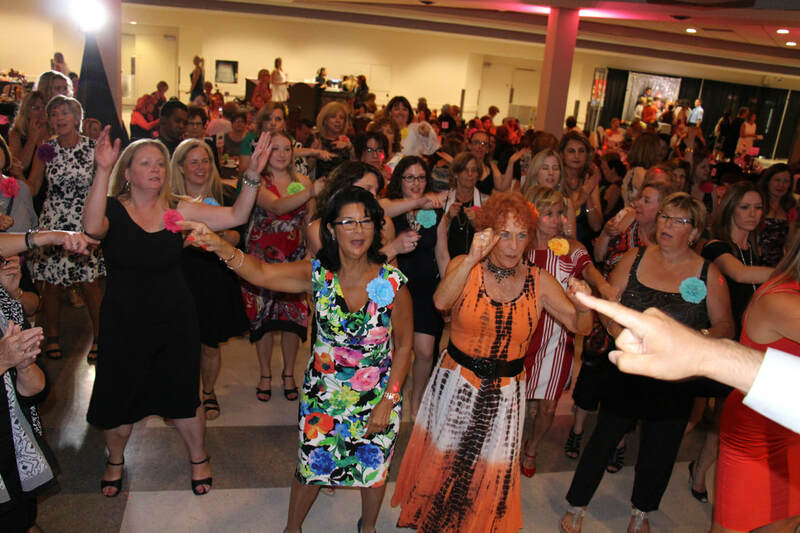 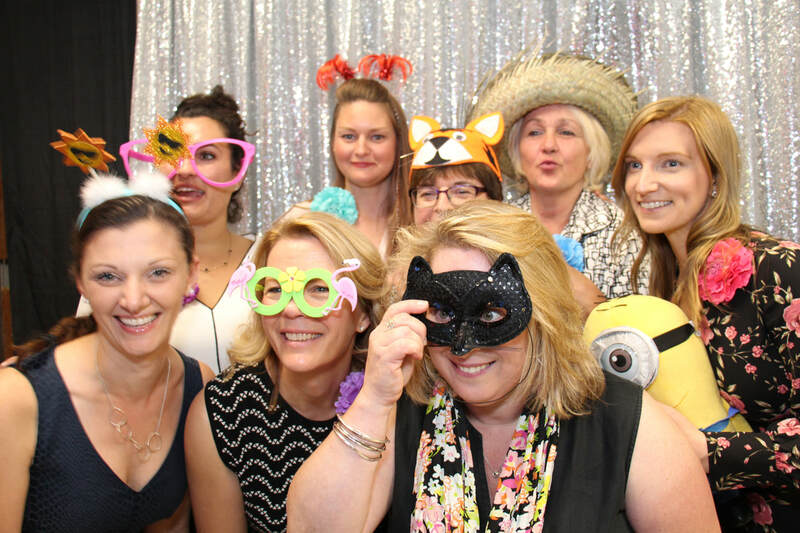 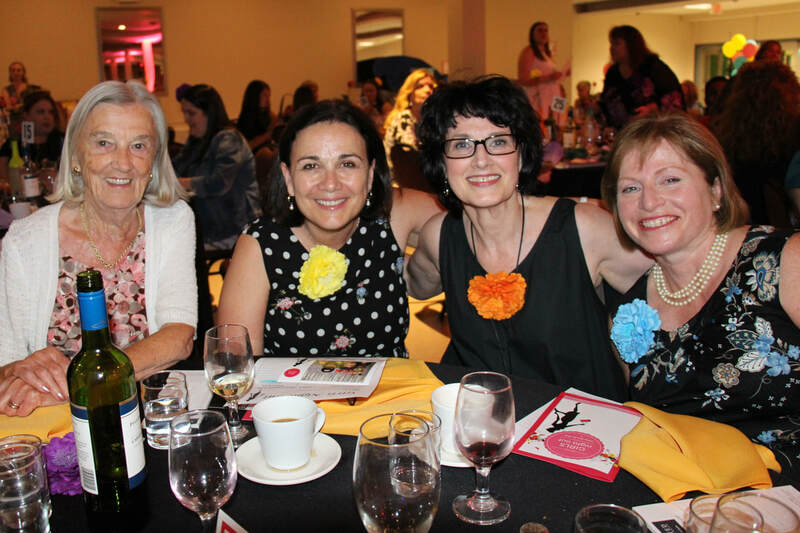 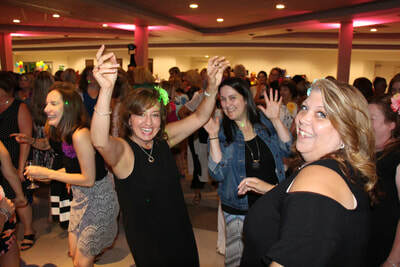 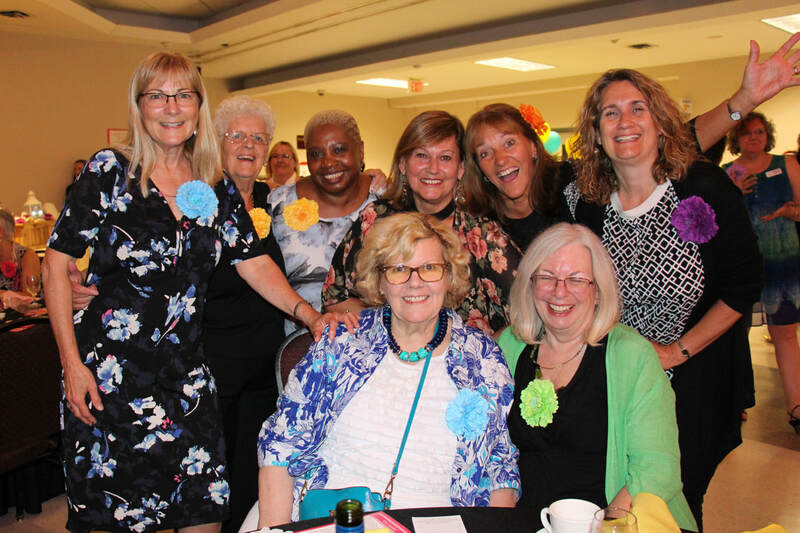 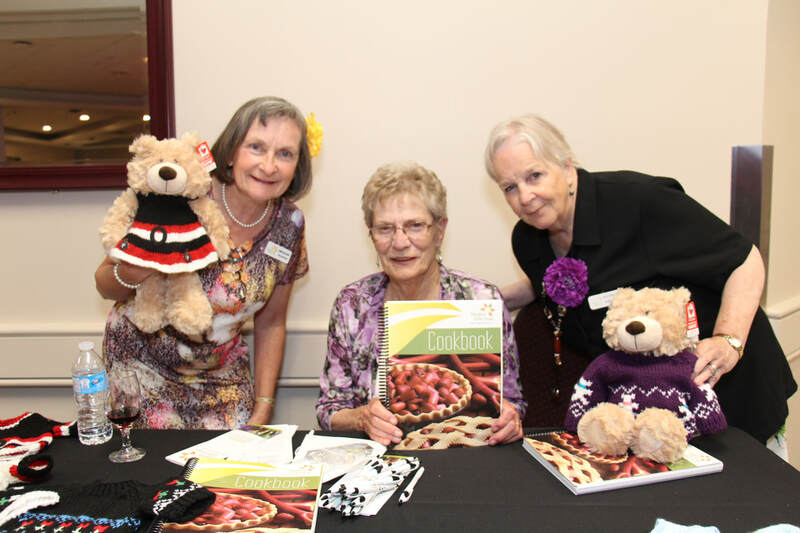 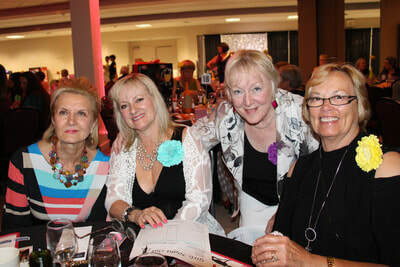 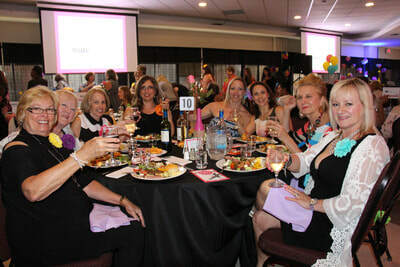 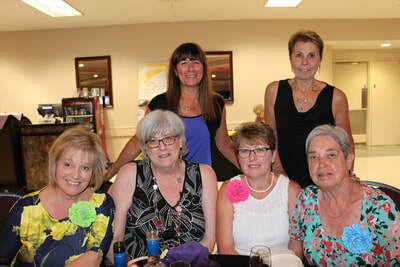 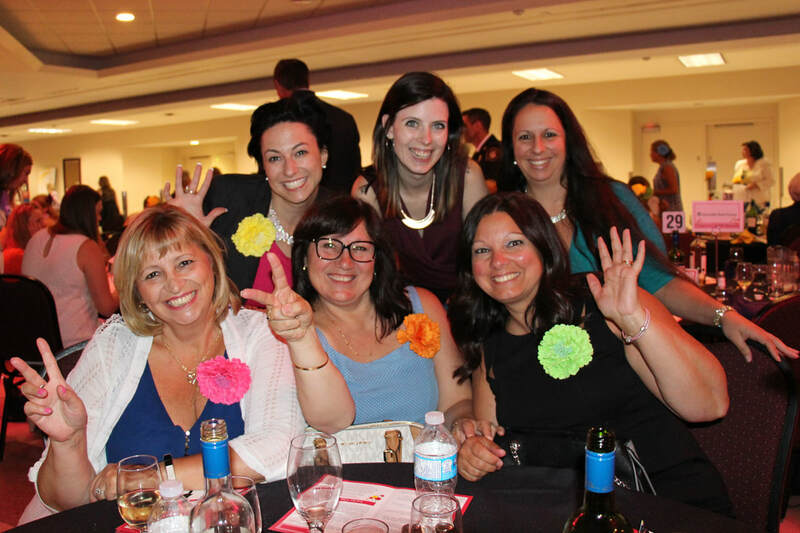 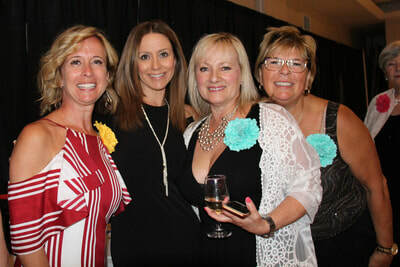 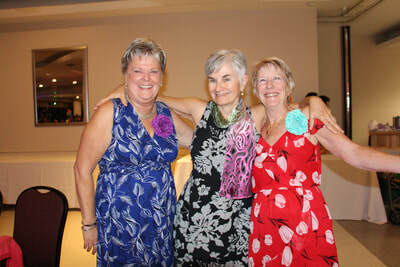 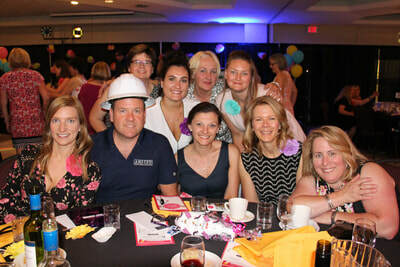 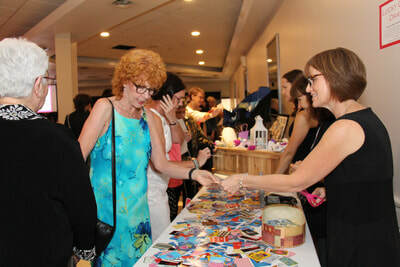 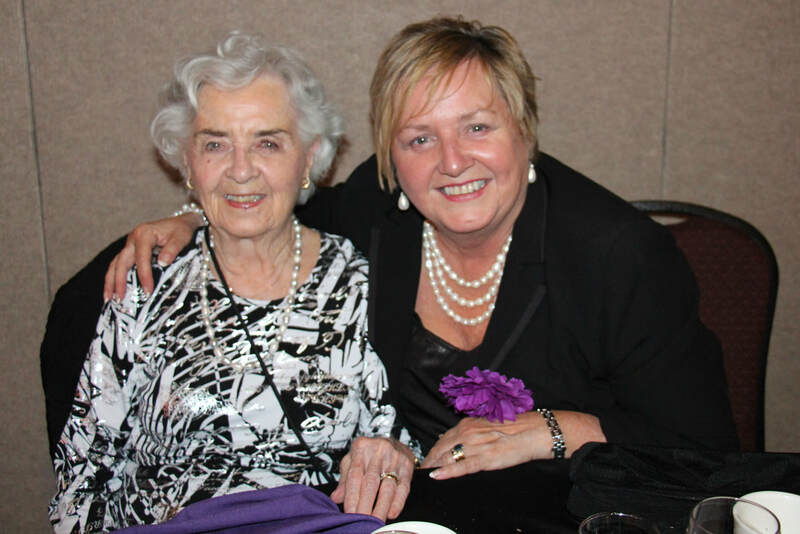 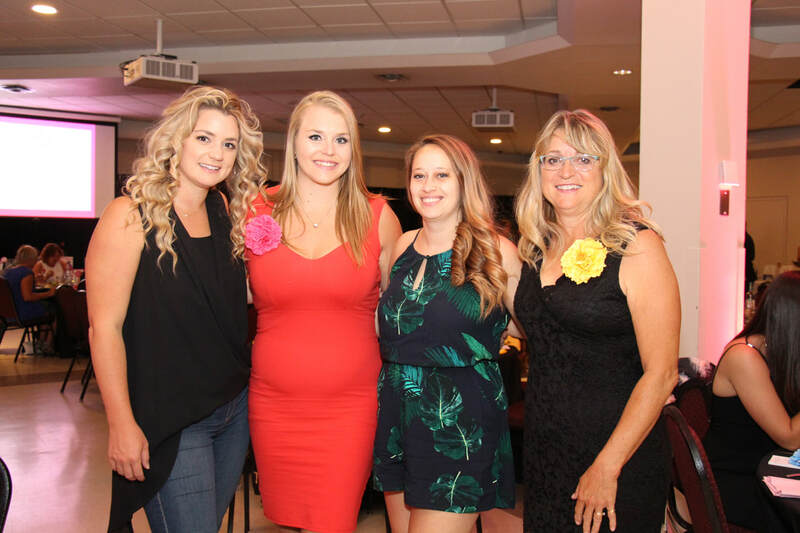 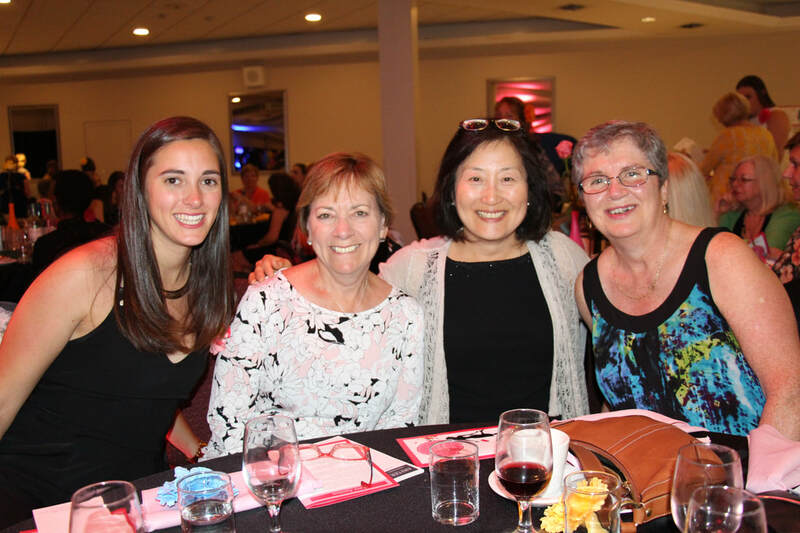 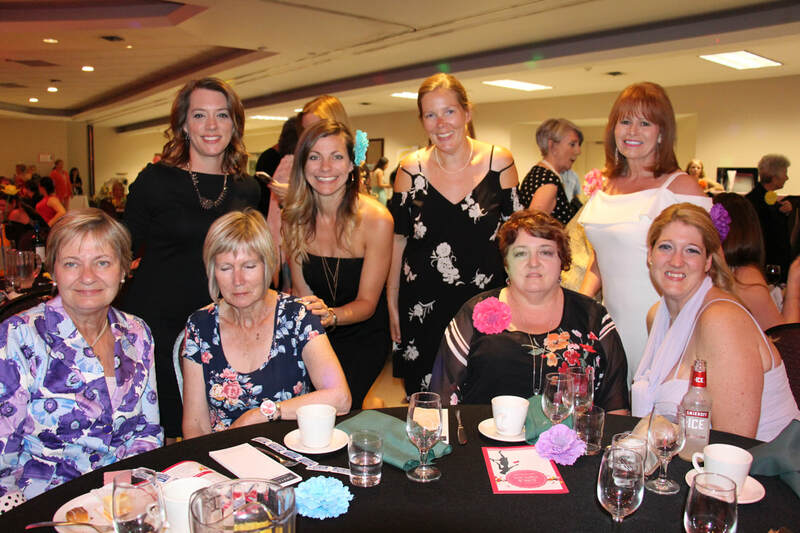 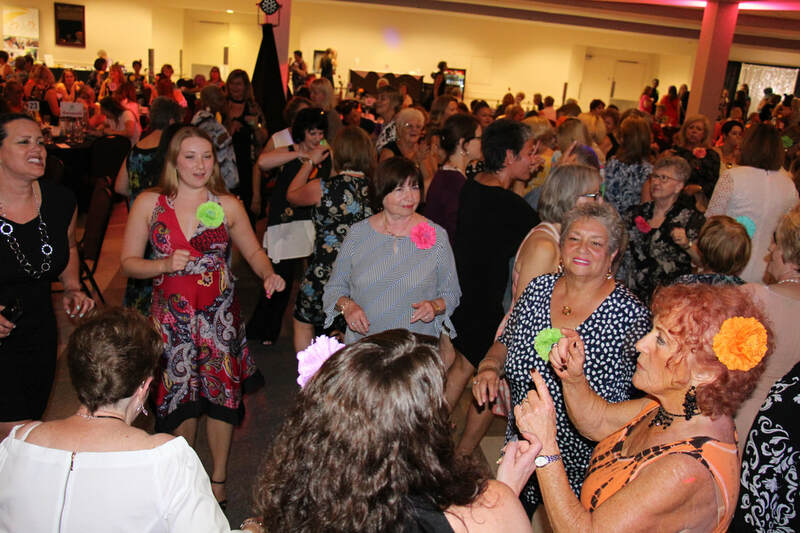 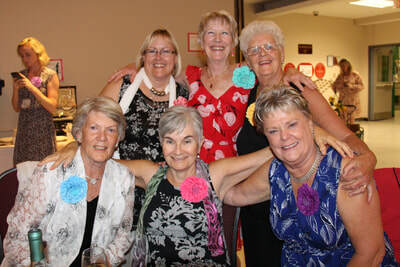 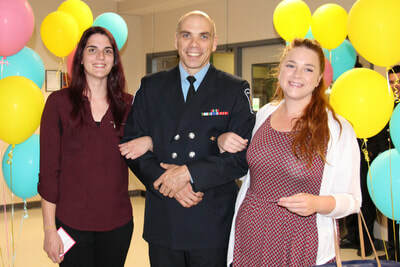 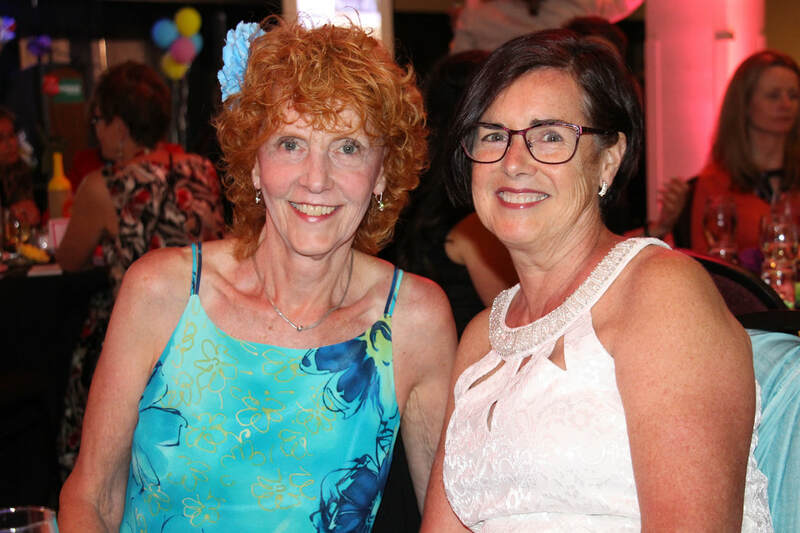 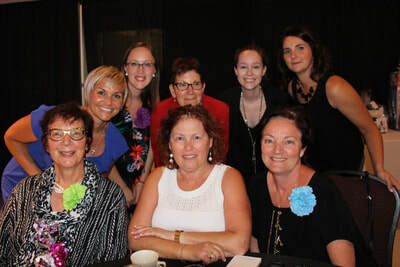 Our 12th annual Girls Night Out took place on Friday, June 22 at Algonquin College. 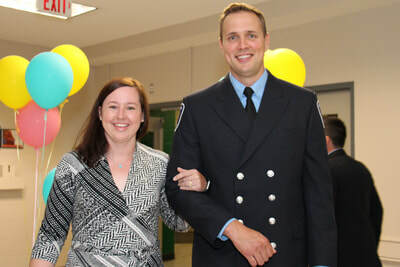 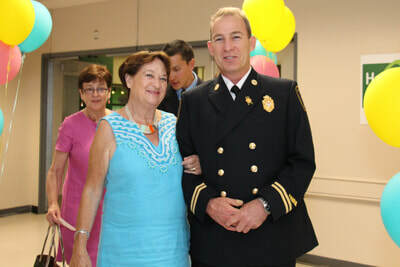 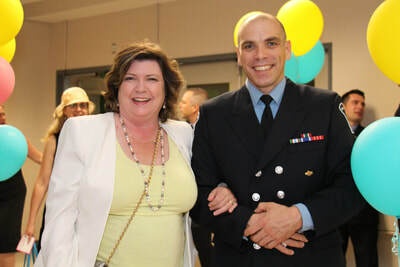 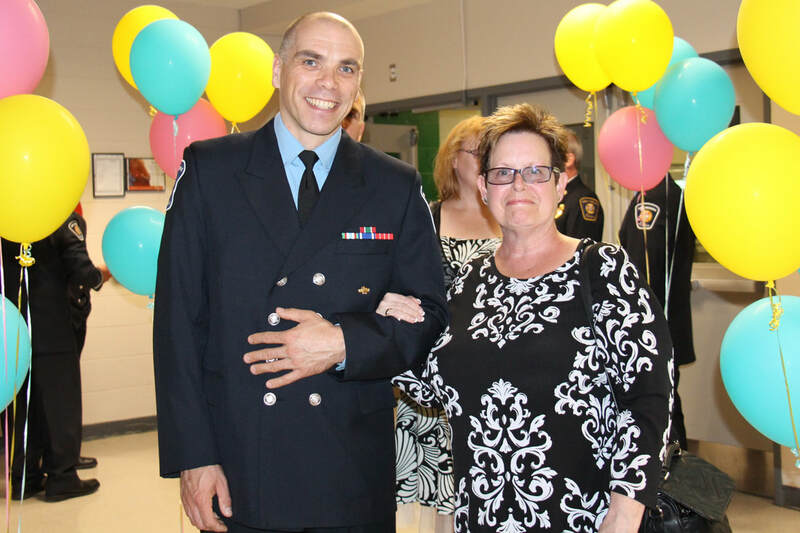 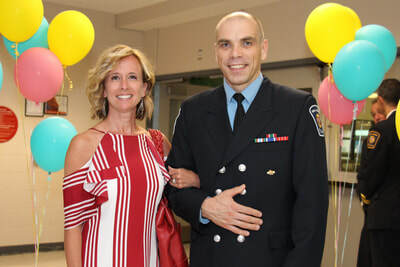 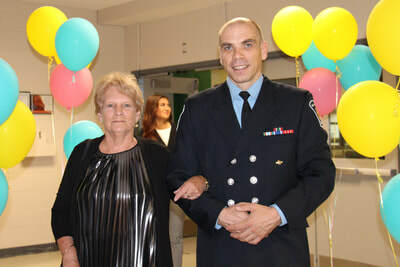 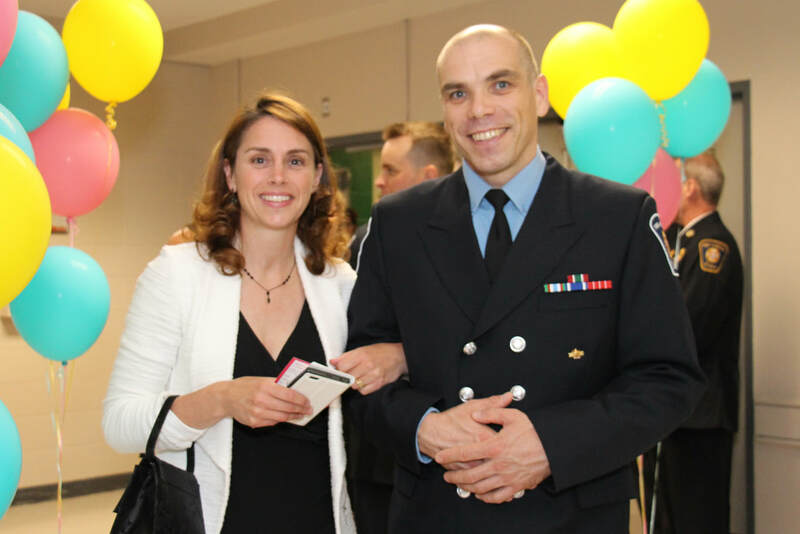 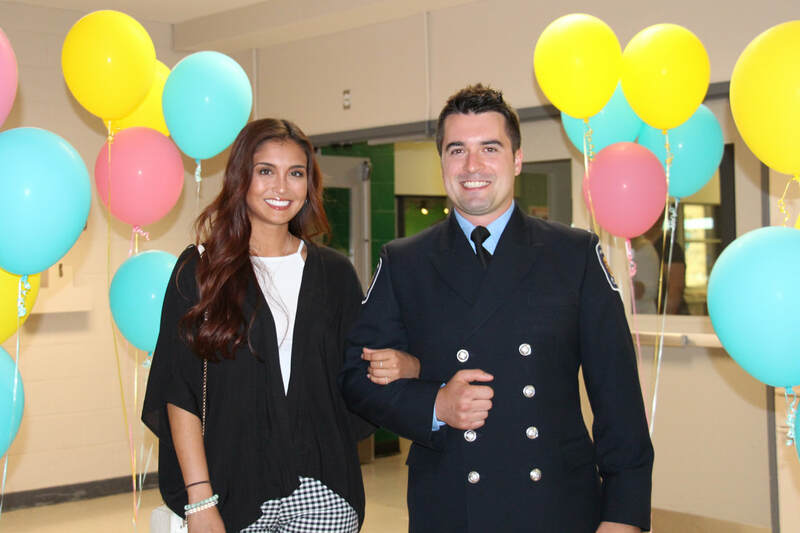 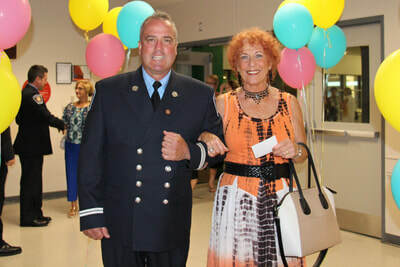 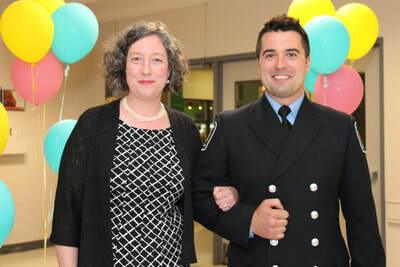 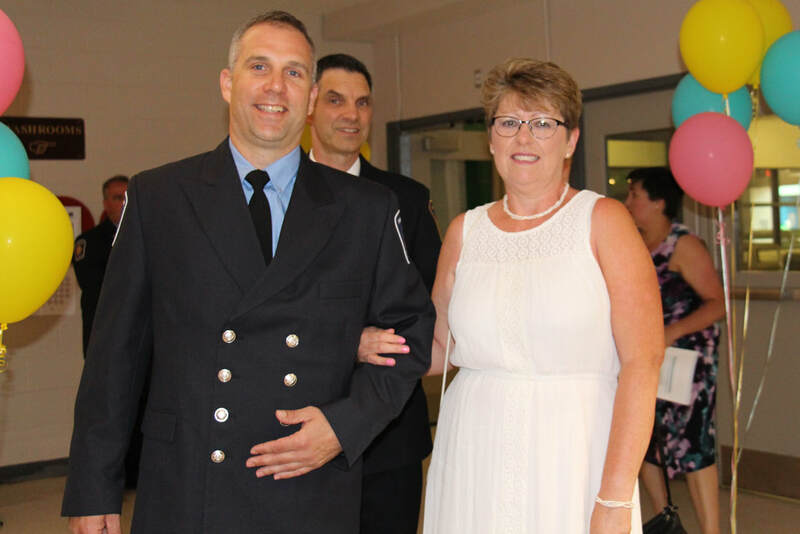 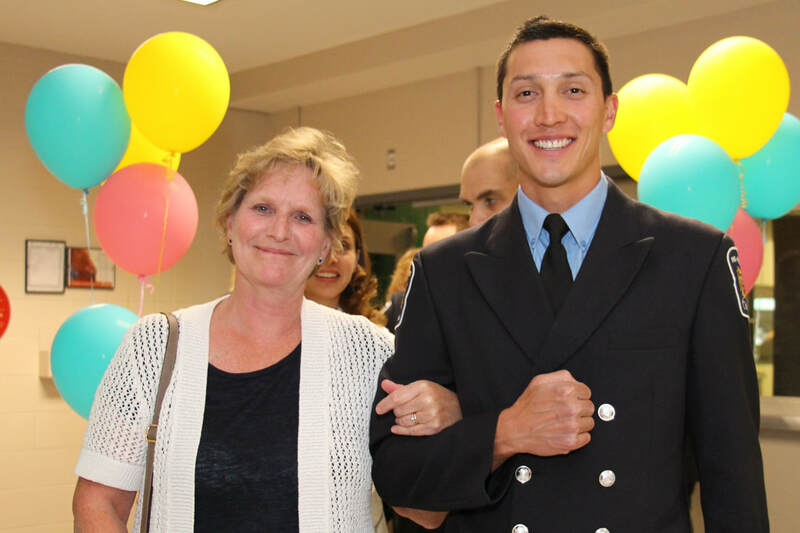 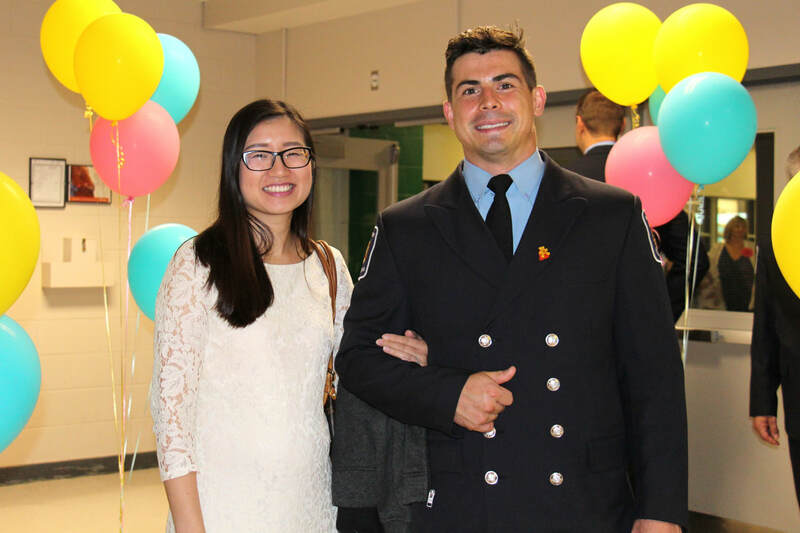 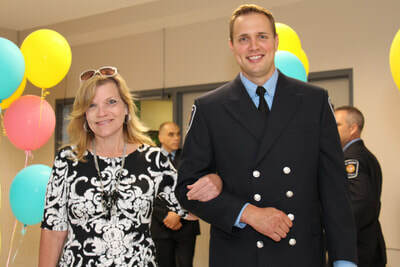 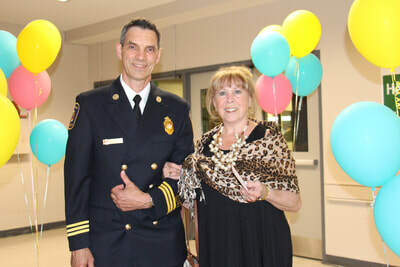 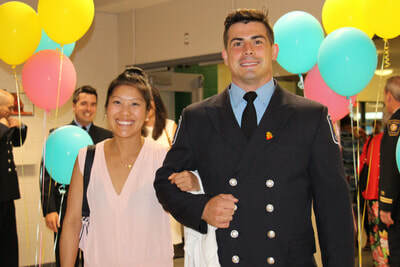 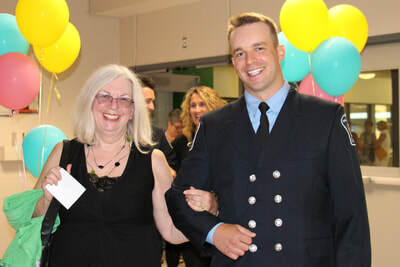 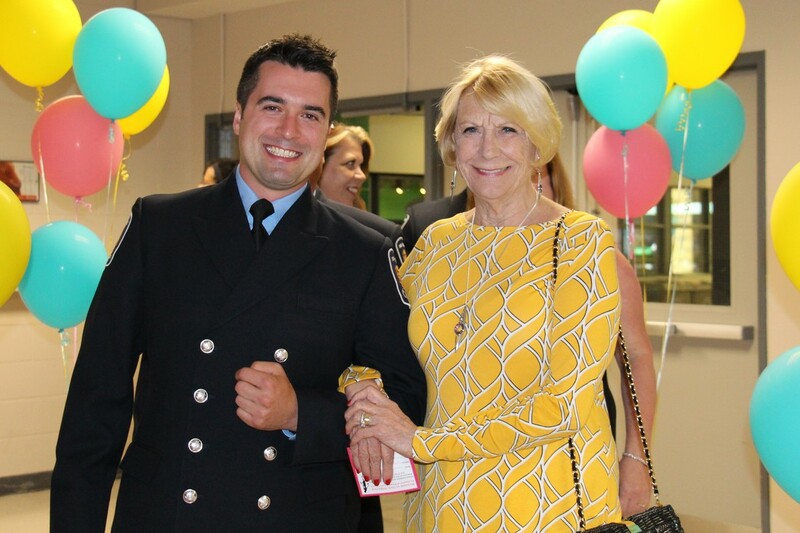 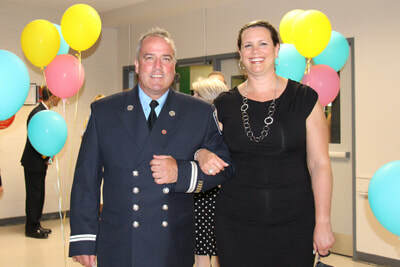 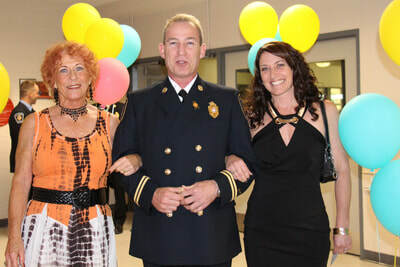 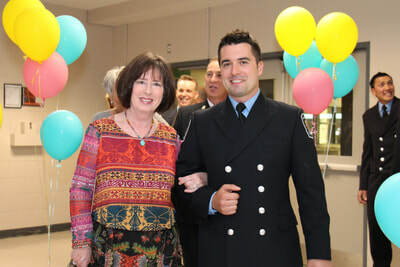 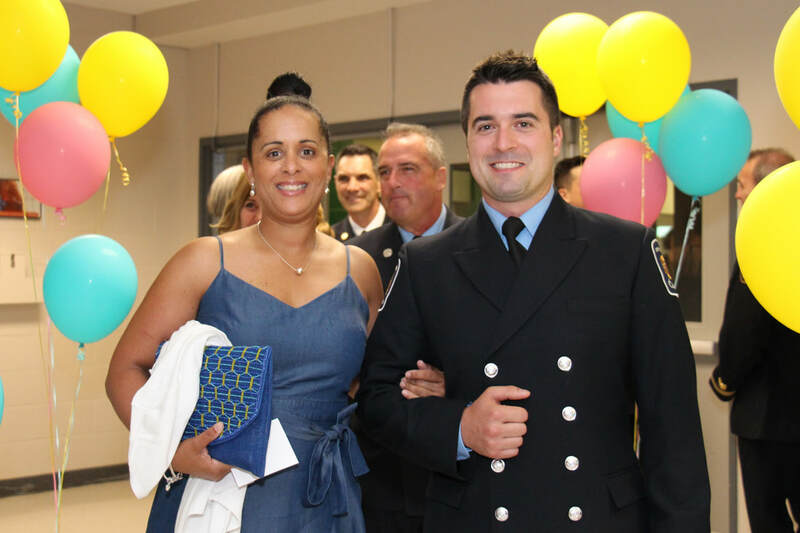 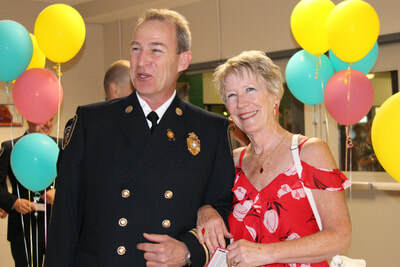 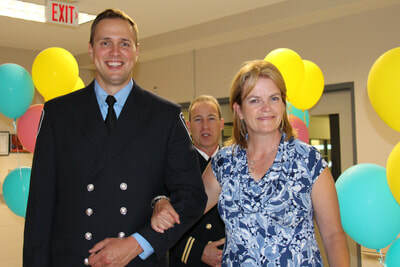 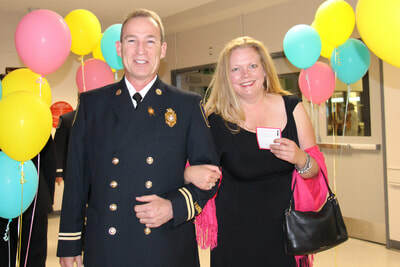 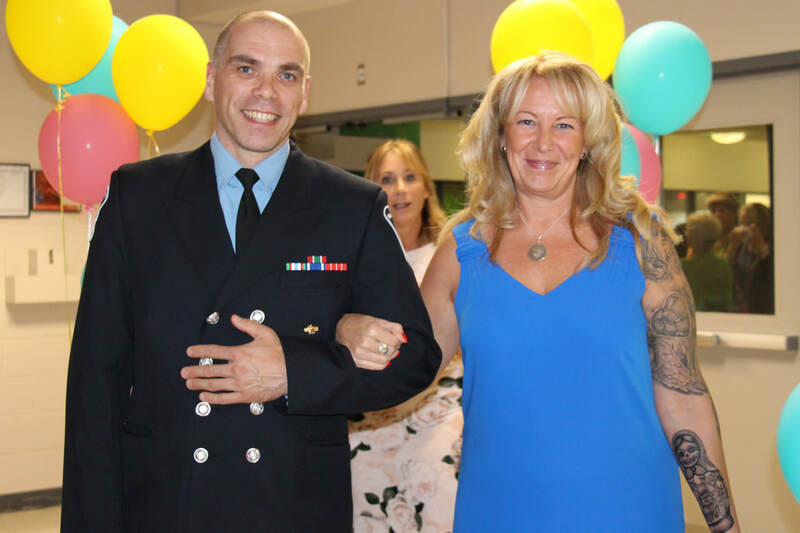 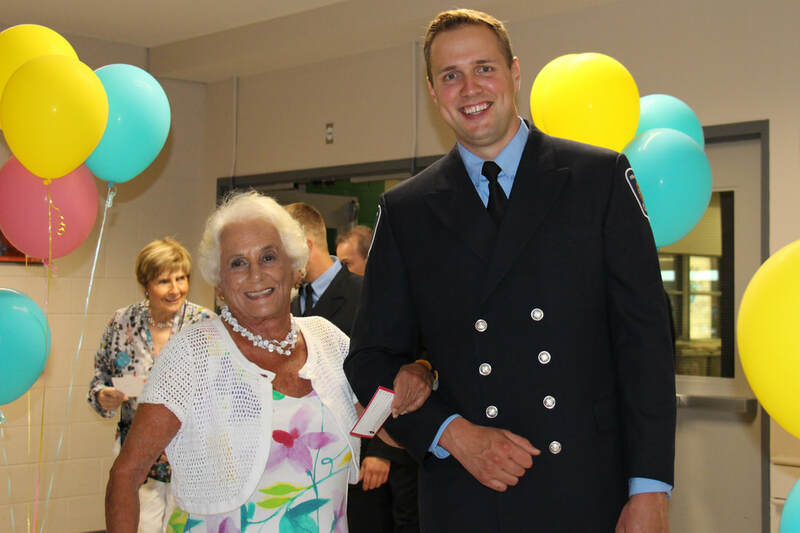 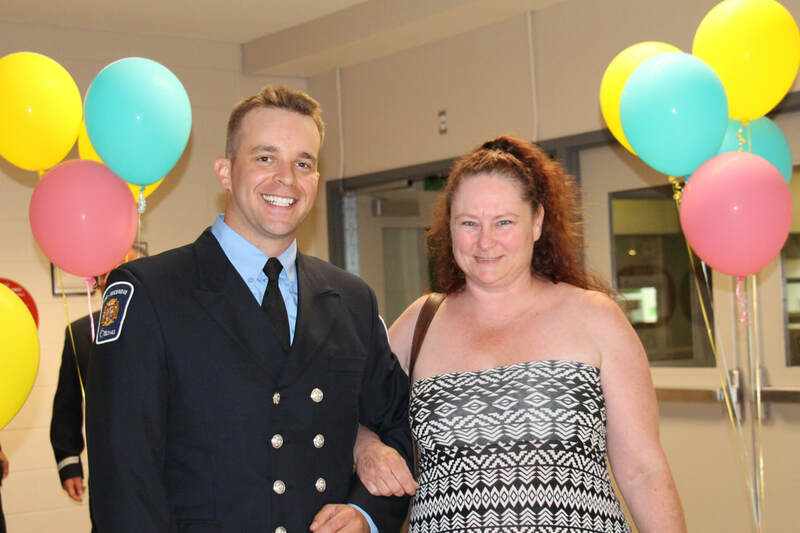 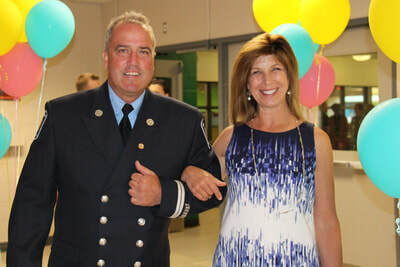 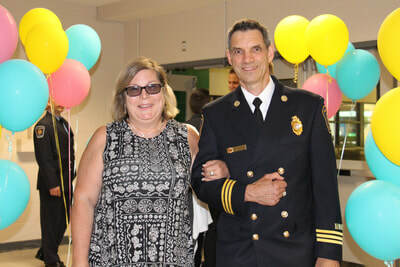 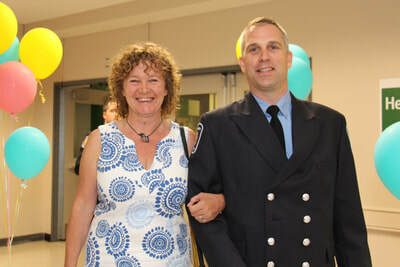 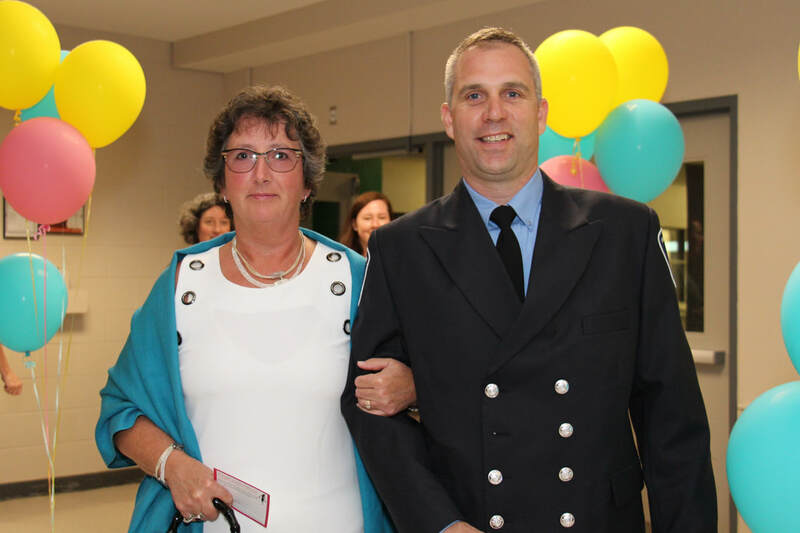 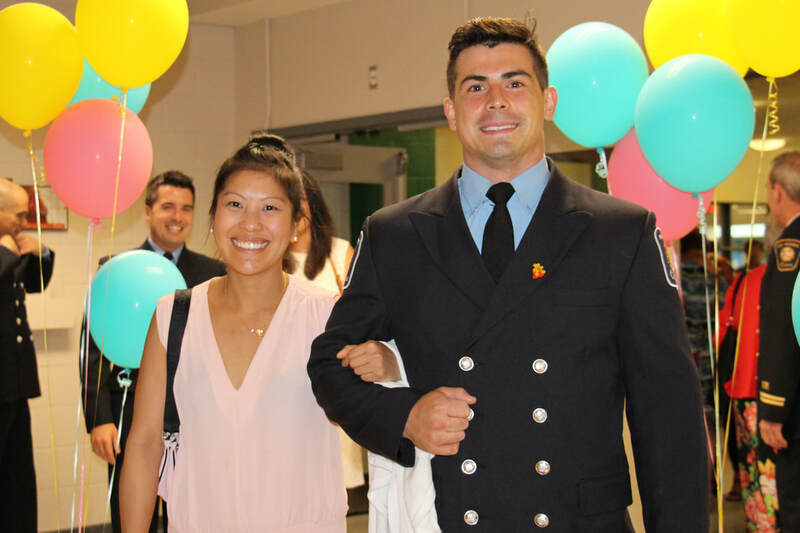 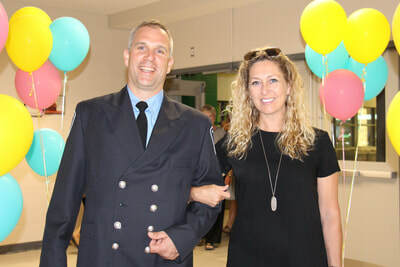 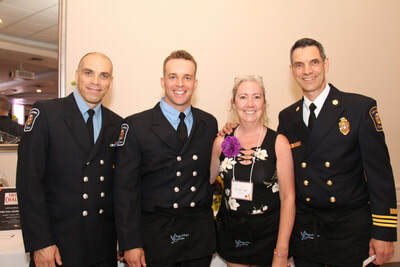 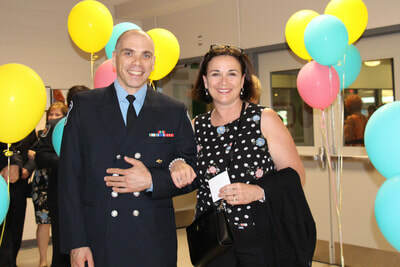 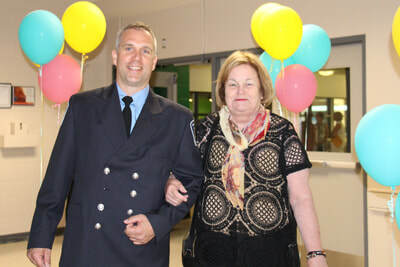 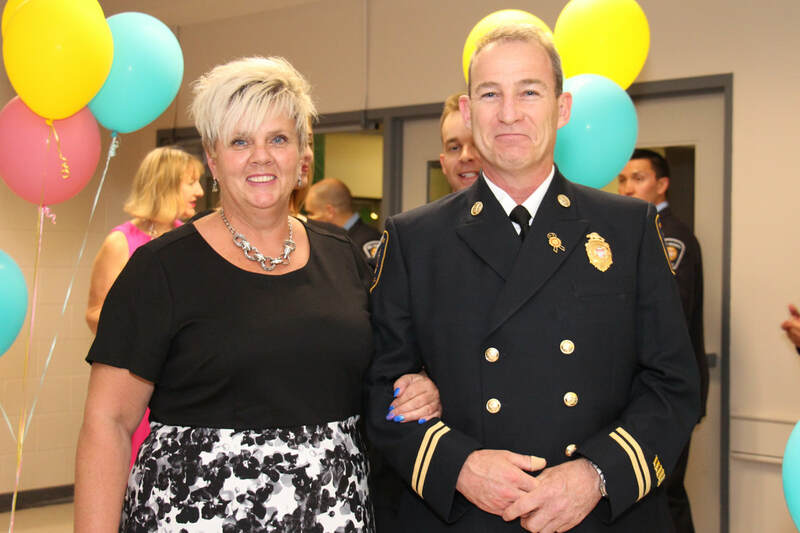 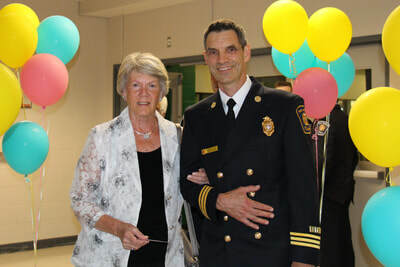 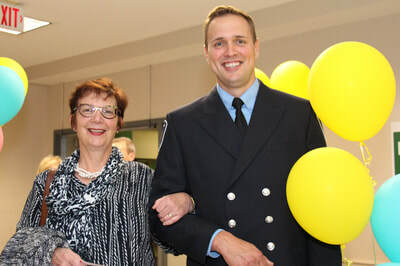 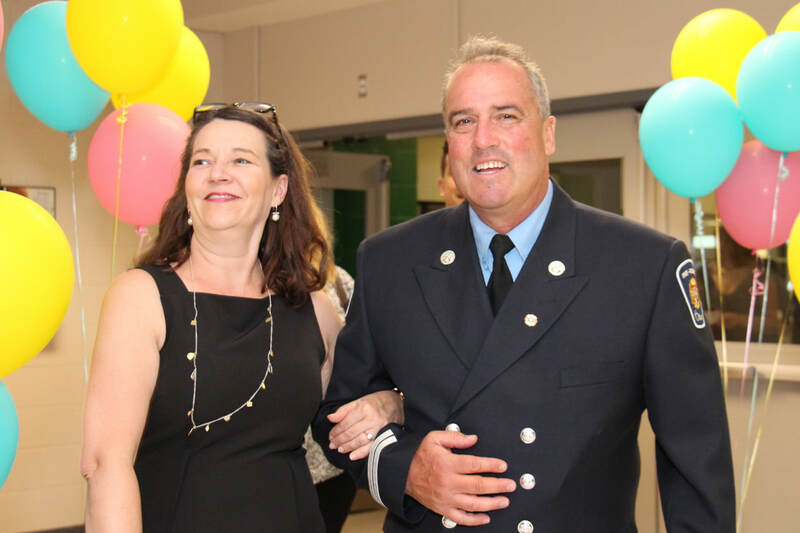 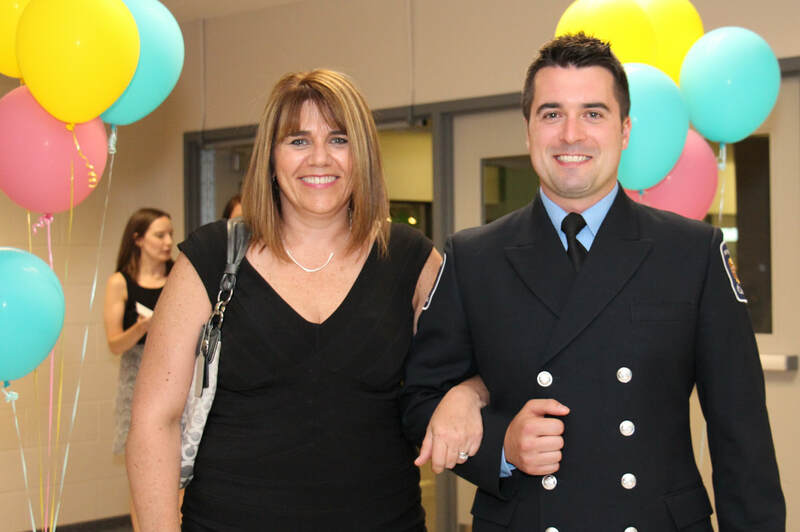 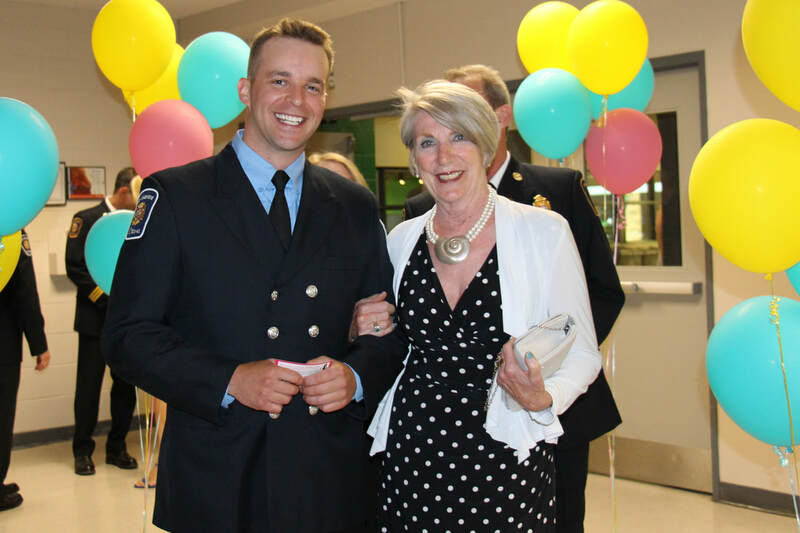 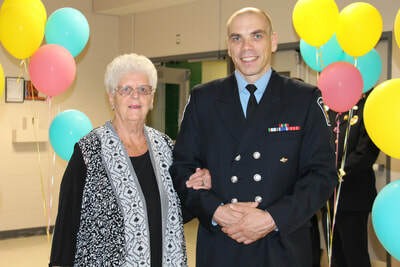 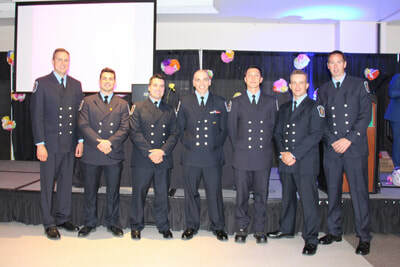 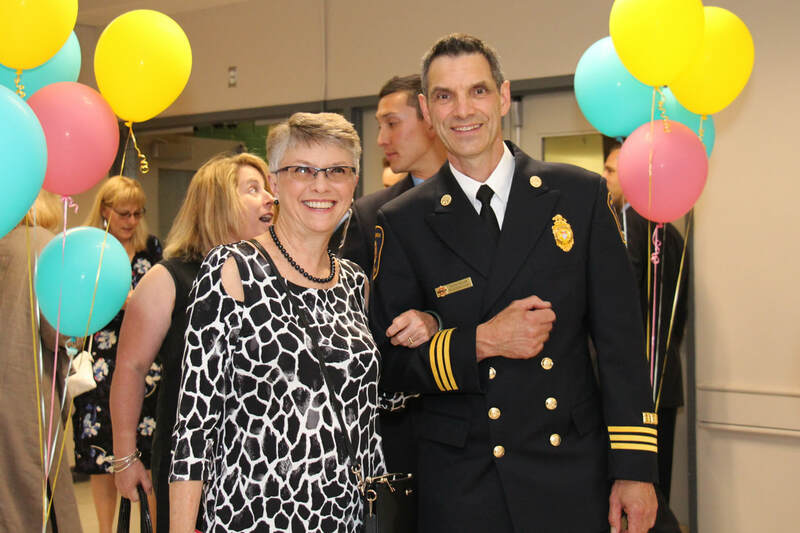 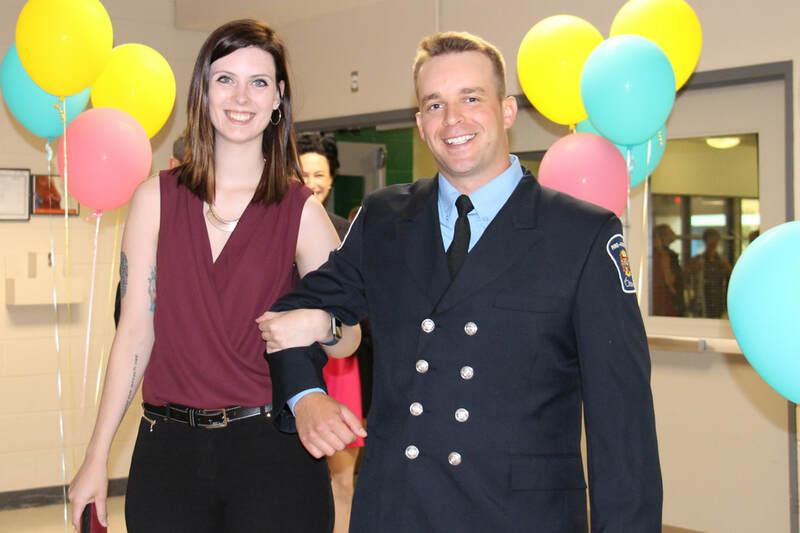 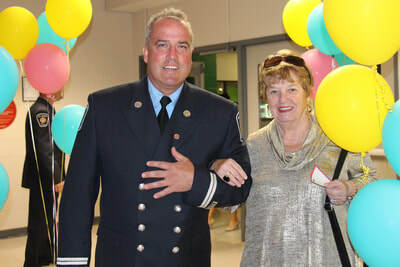 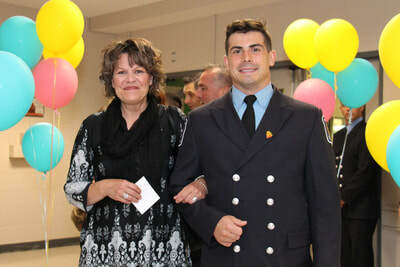 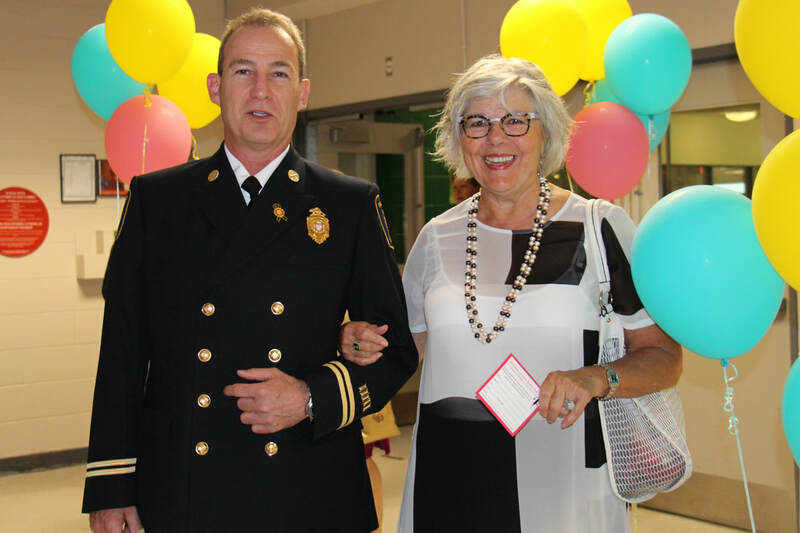 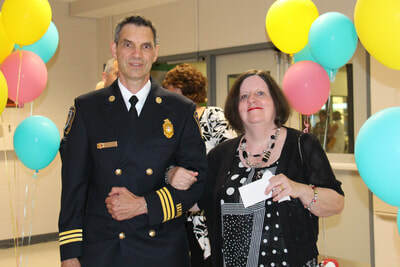 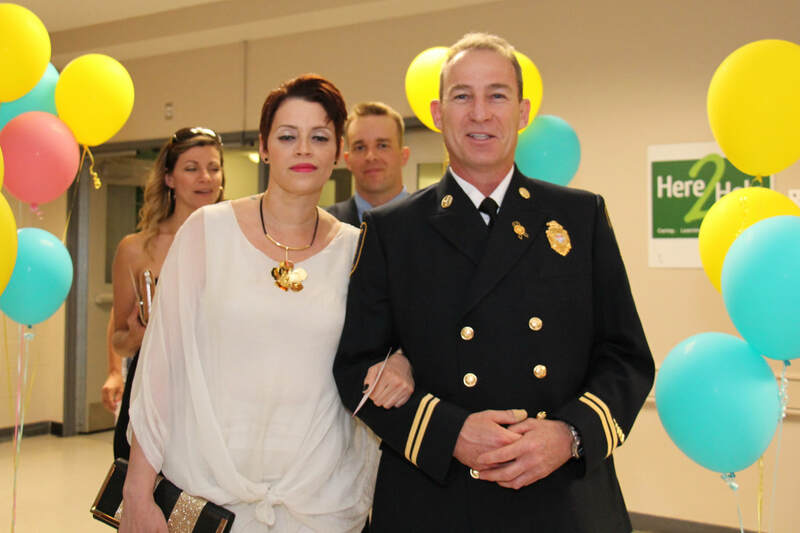 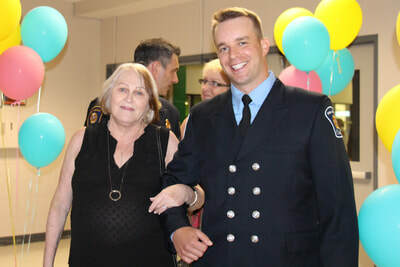 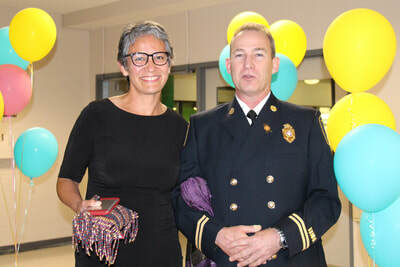 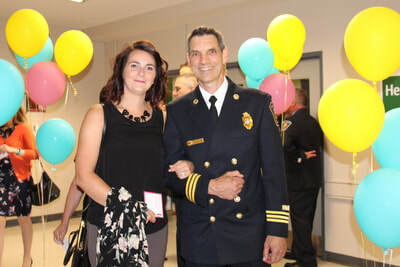 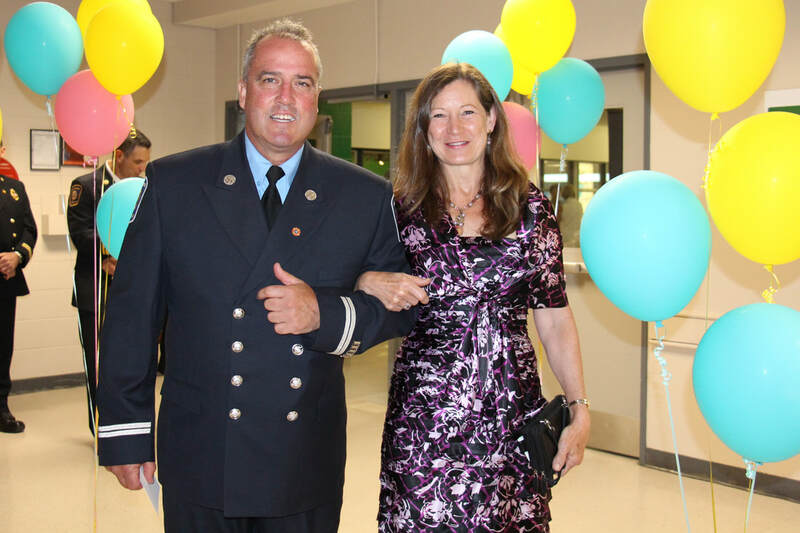 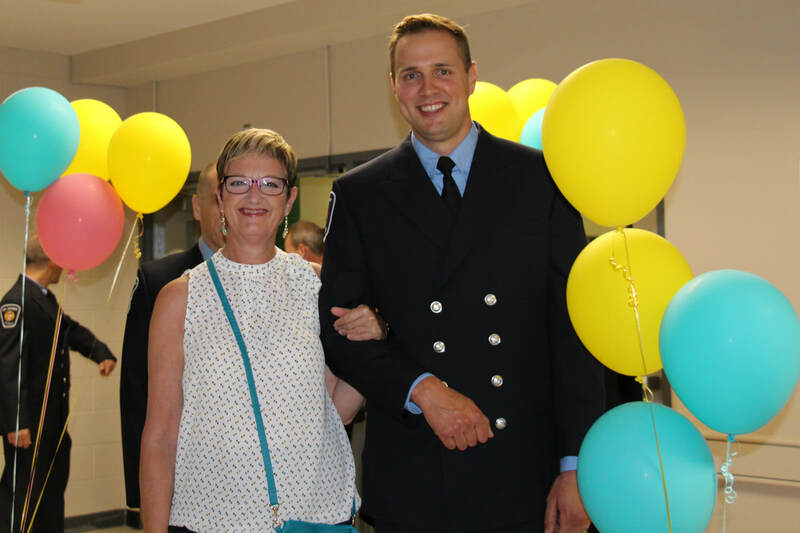 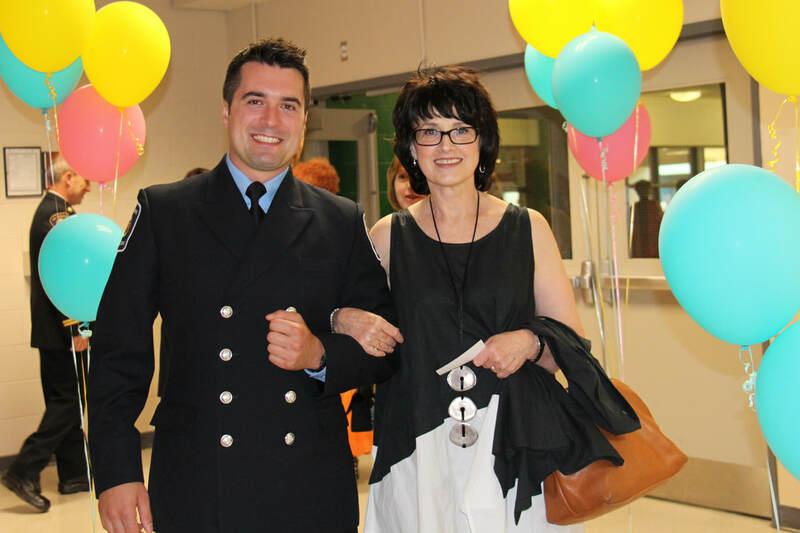 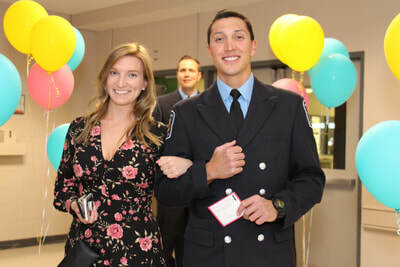 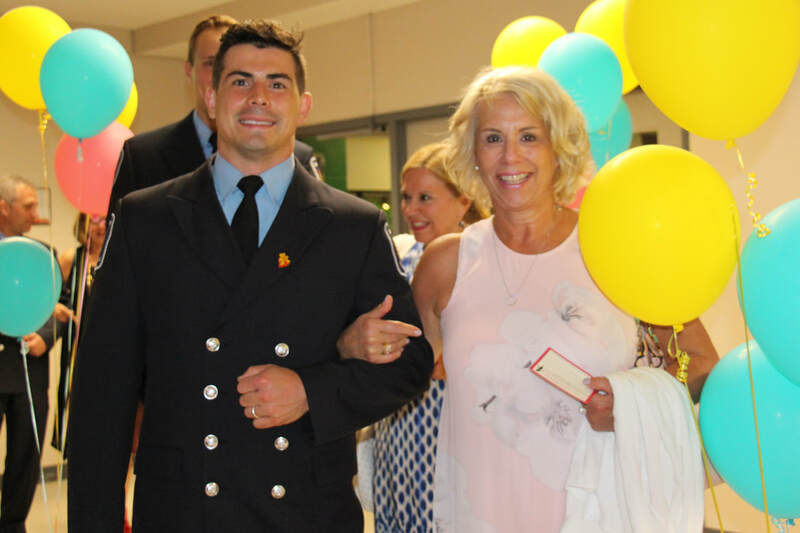 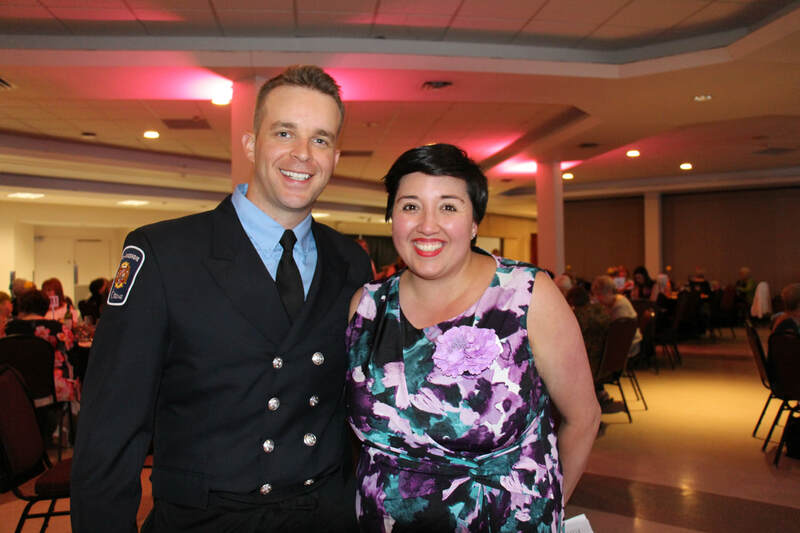 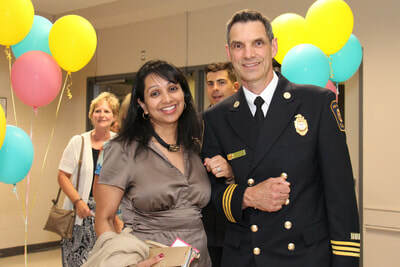 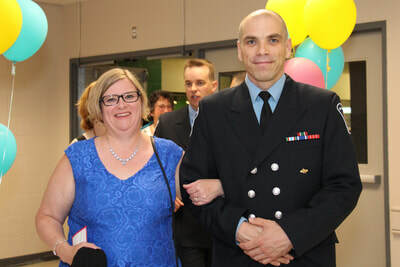 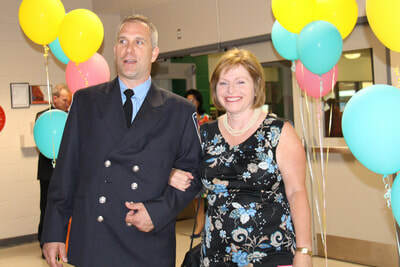 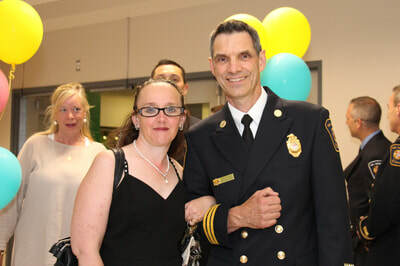 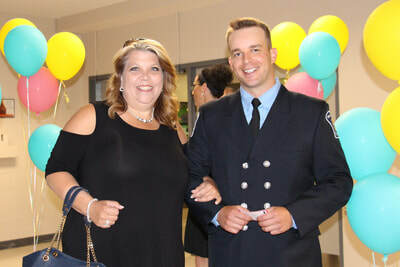 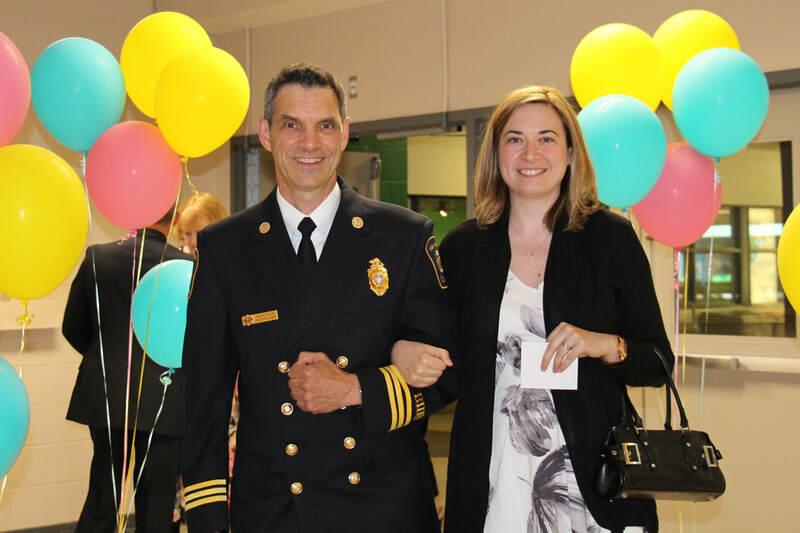 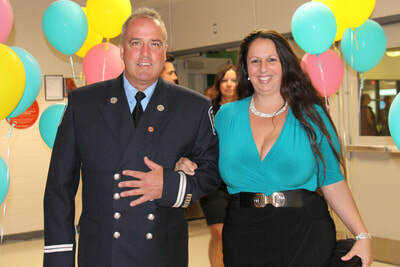 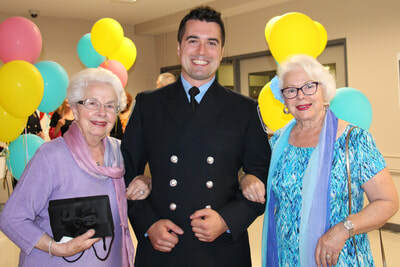 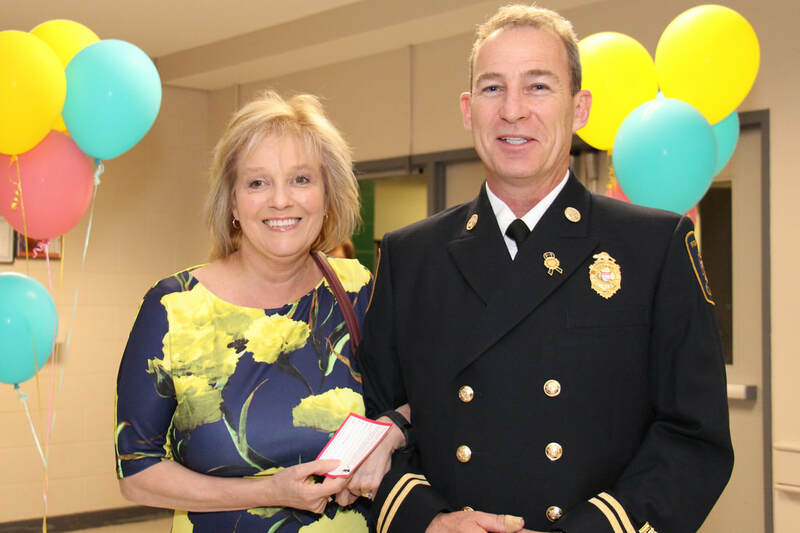 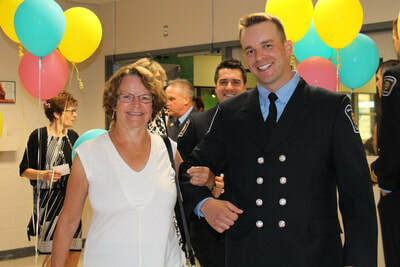 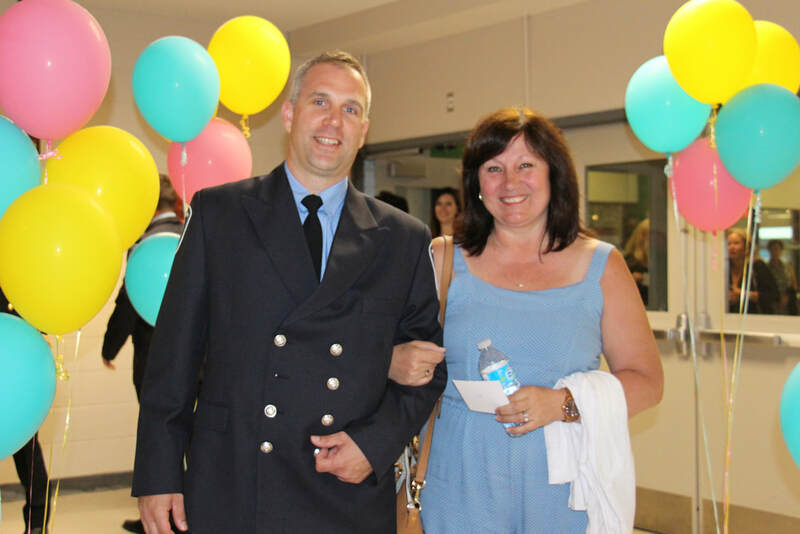 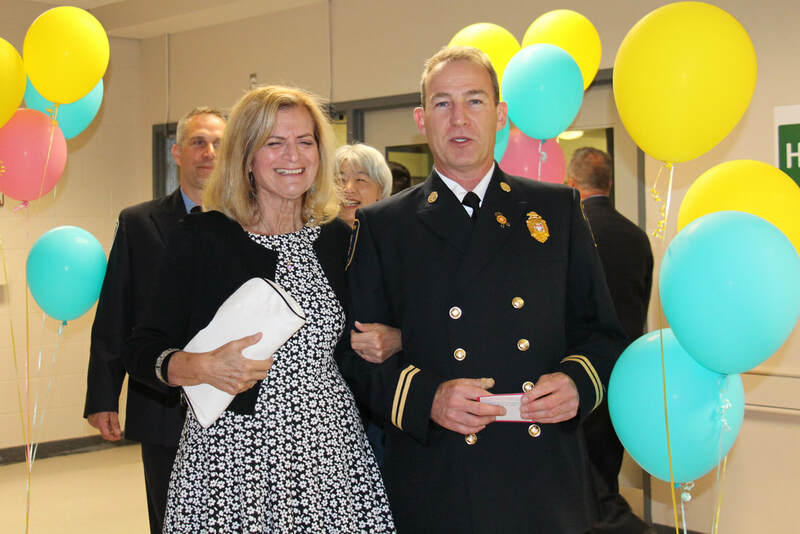 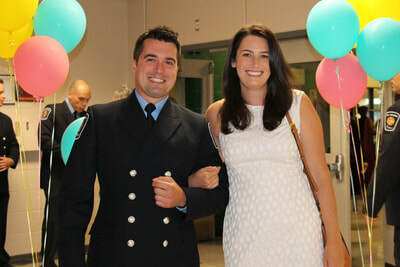 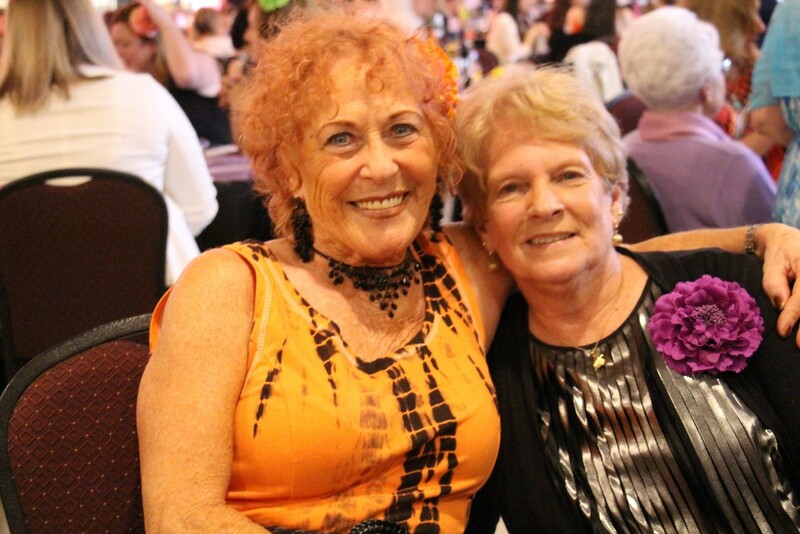 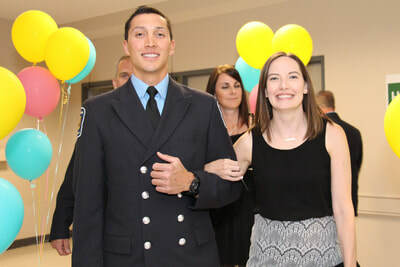 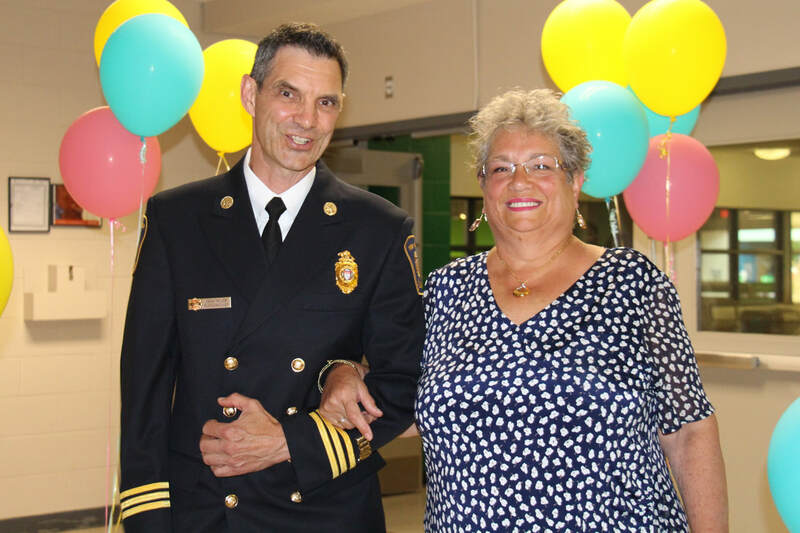 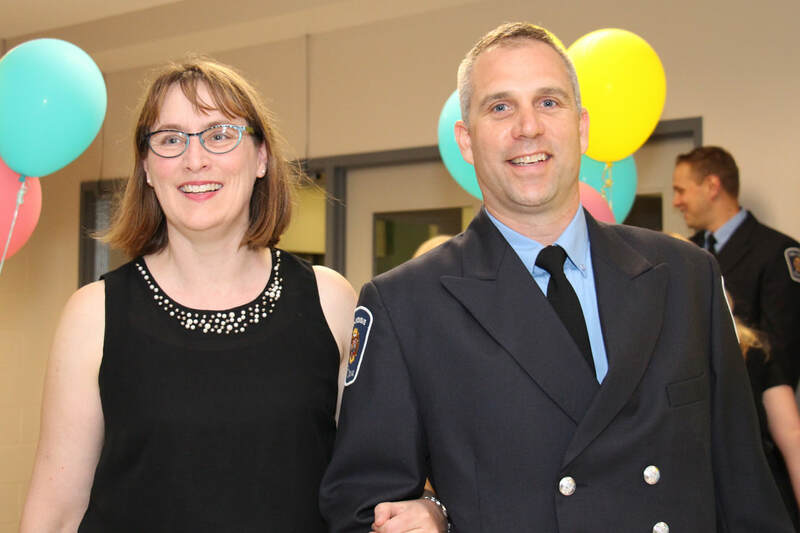 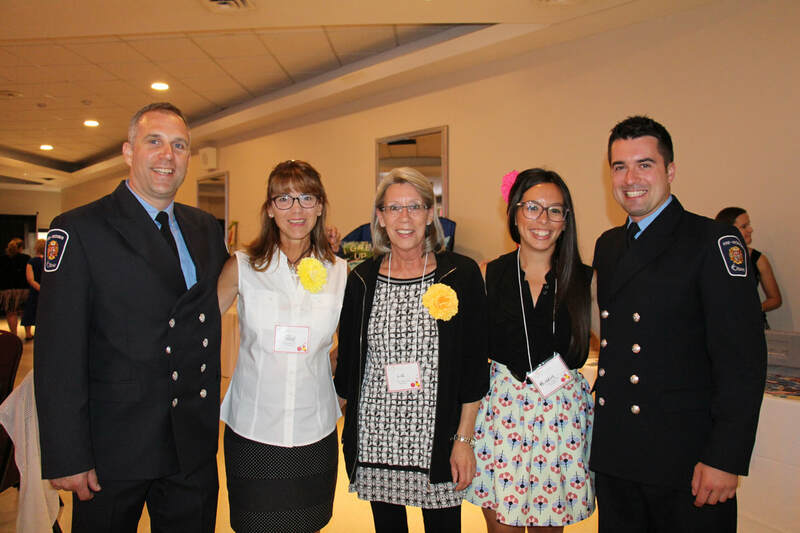 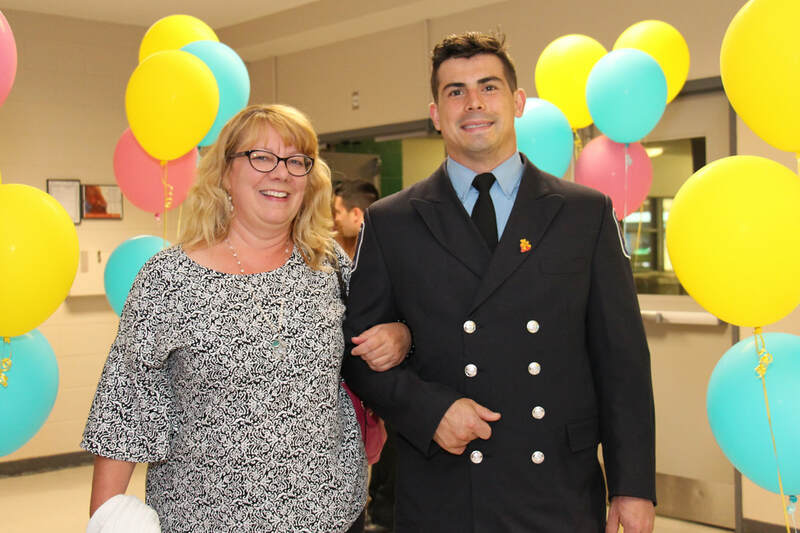 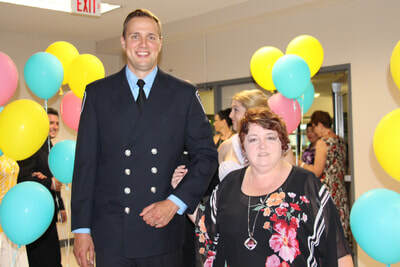 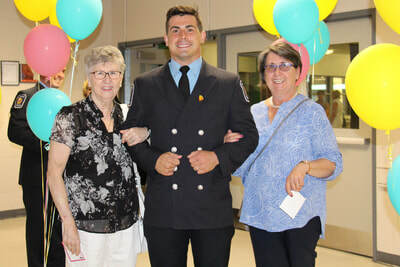 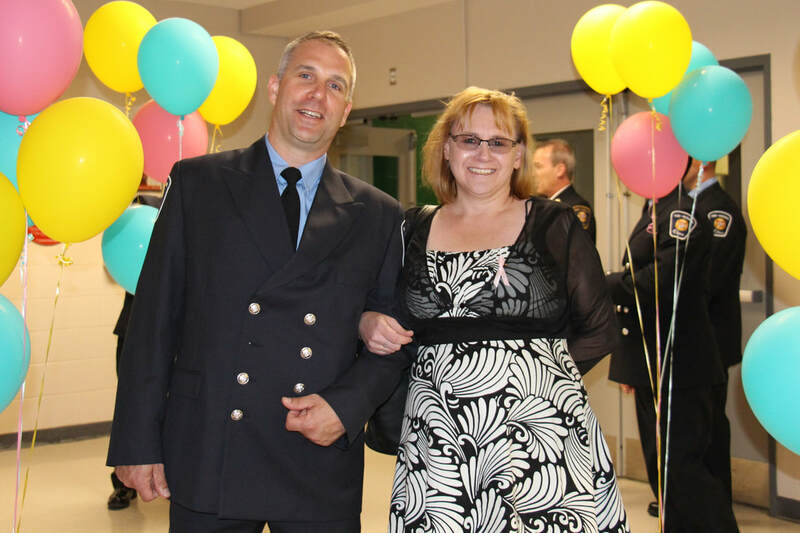 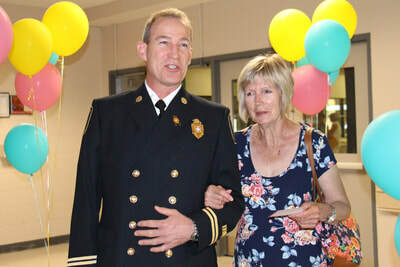 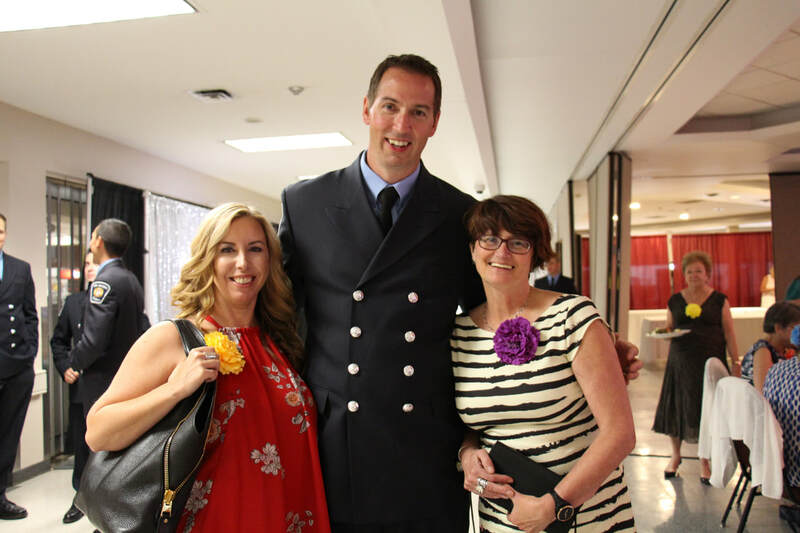 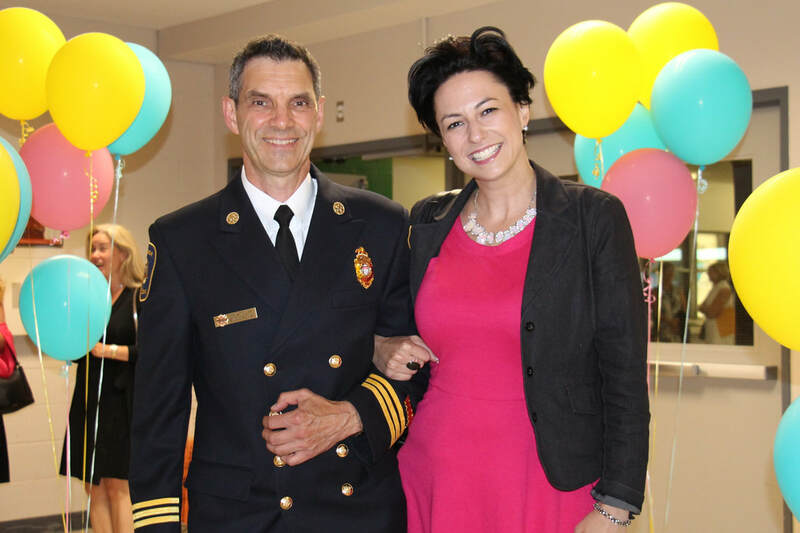 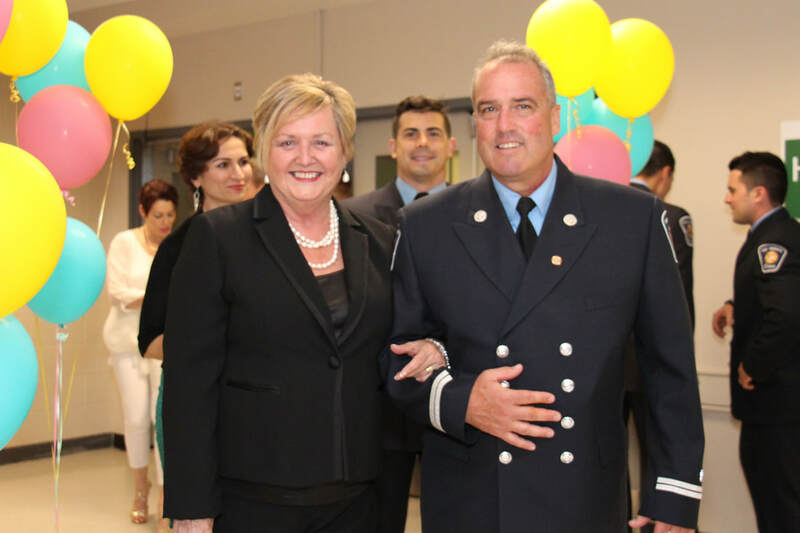 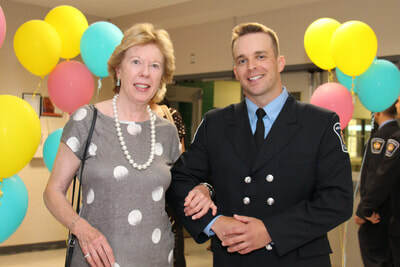 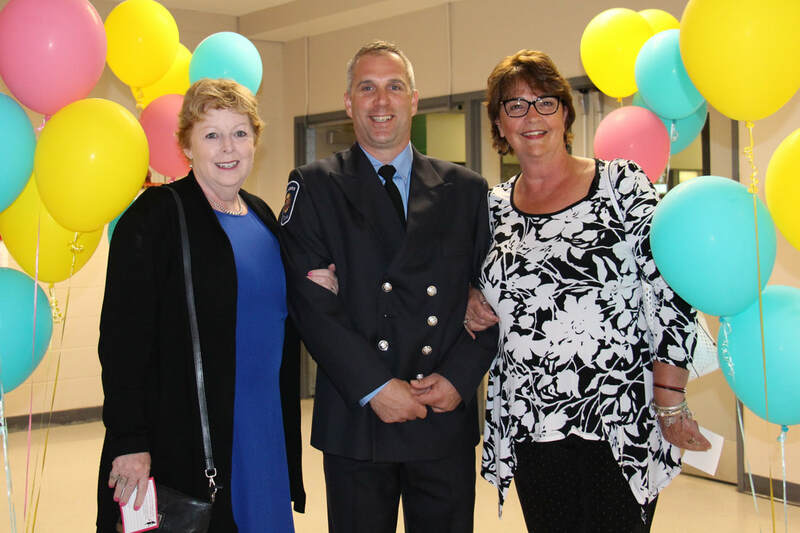 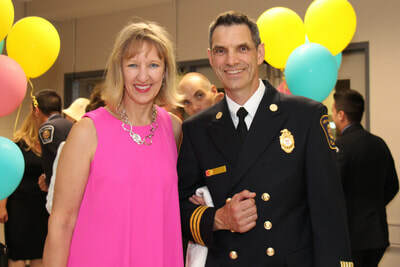 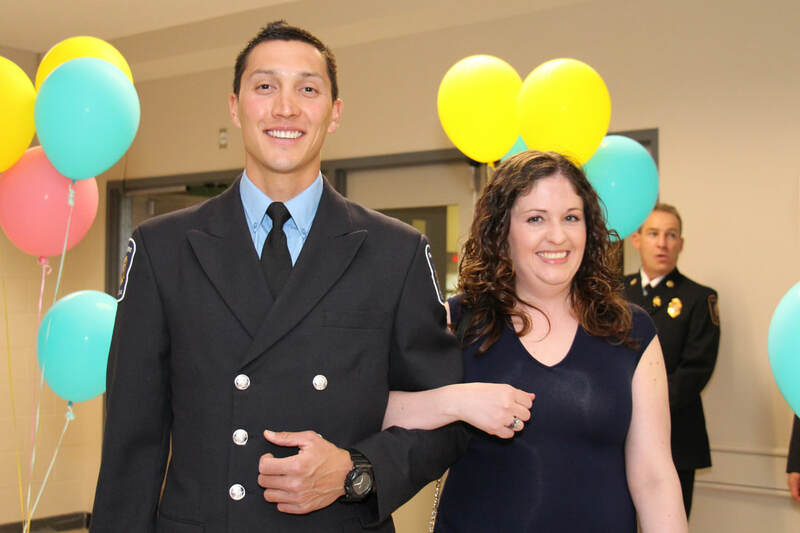 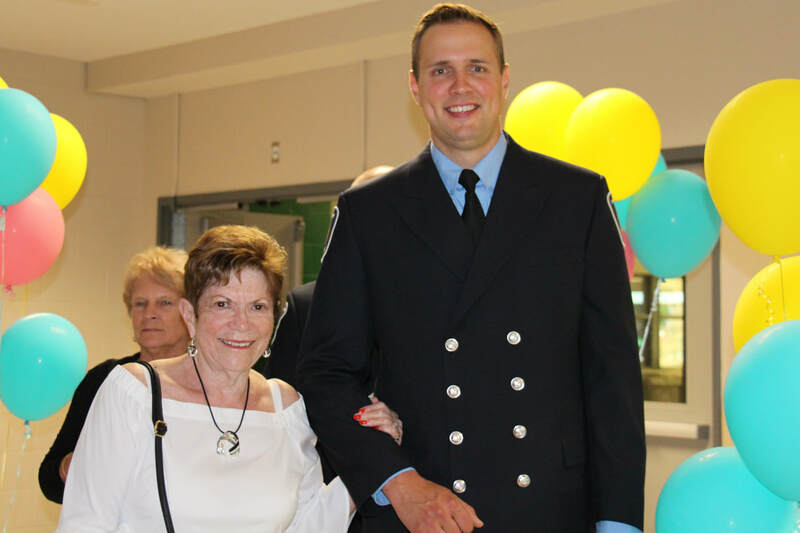 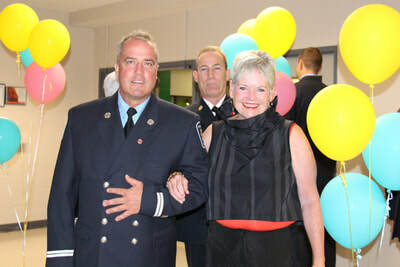 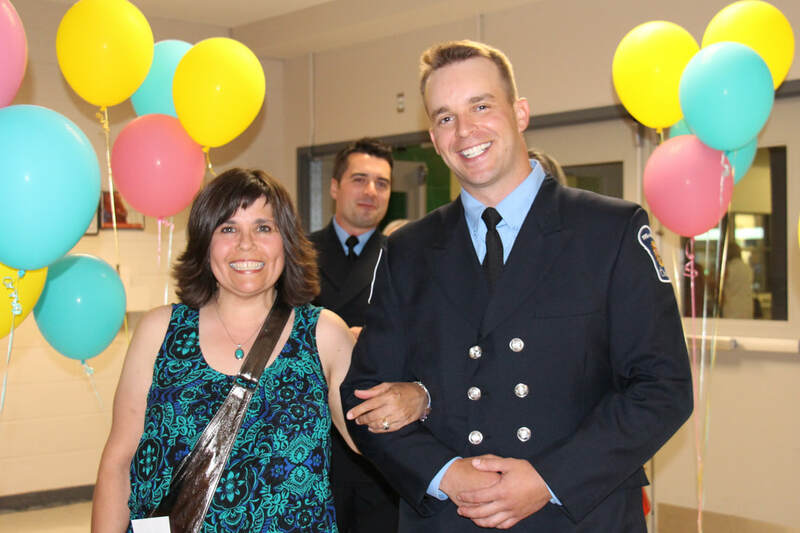 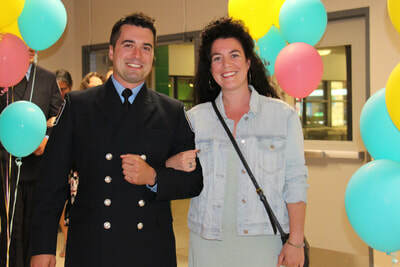 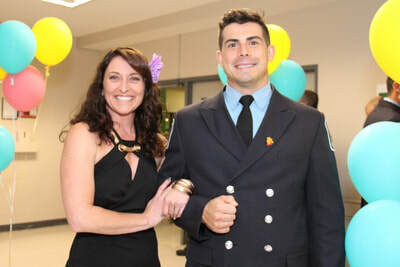 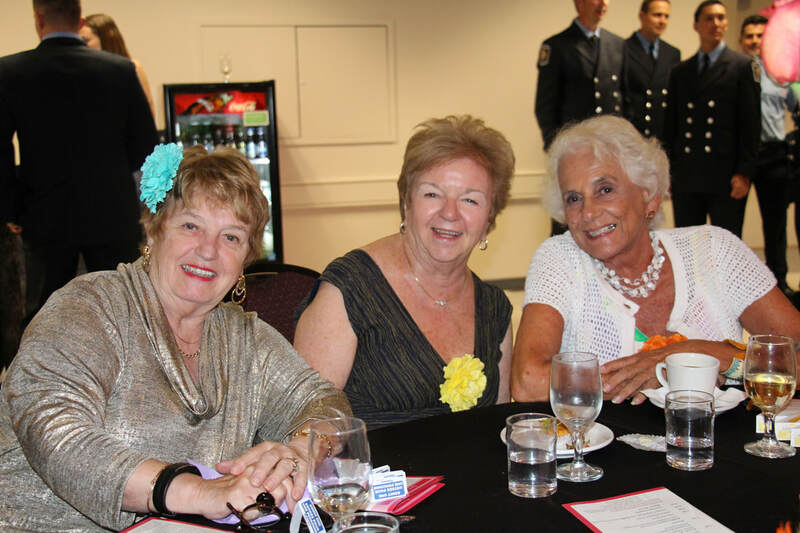 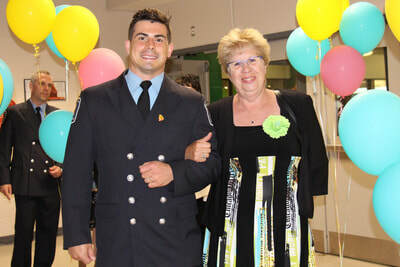 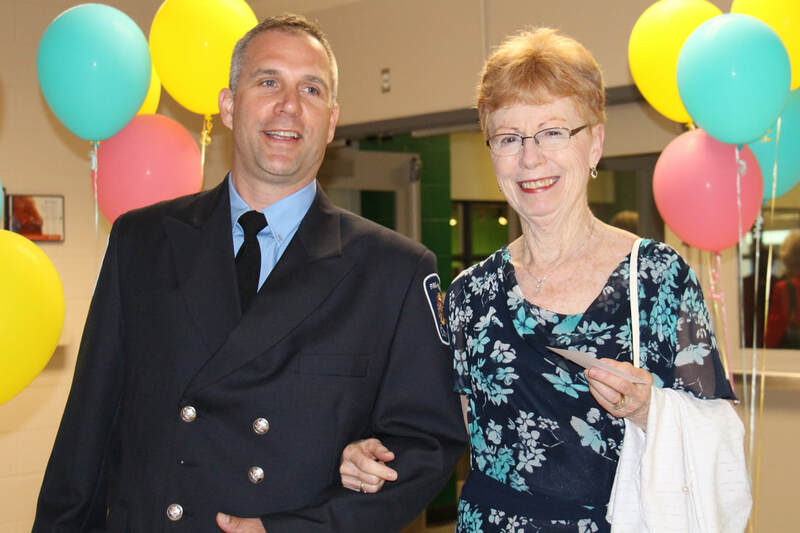 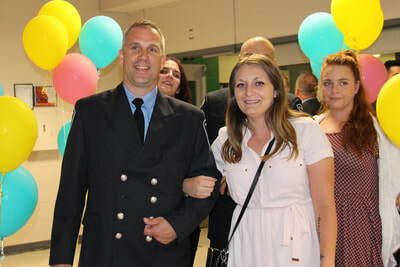 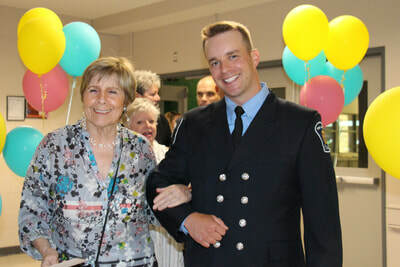 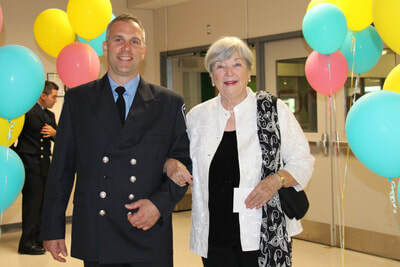 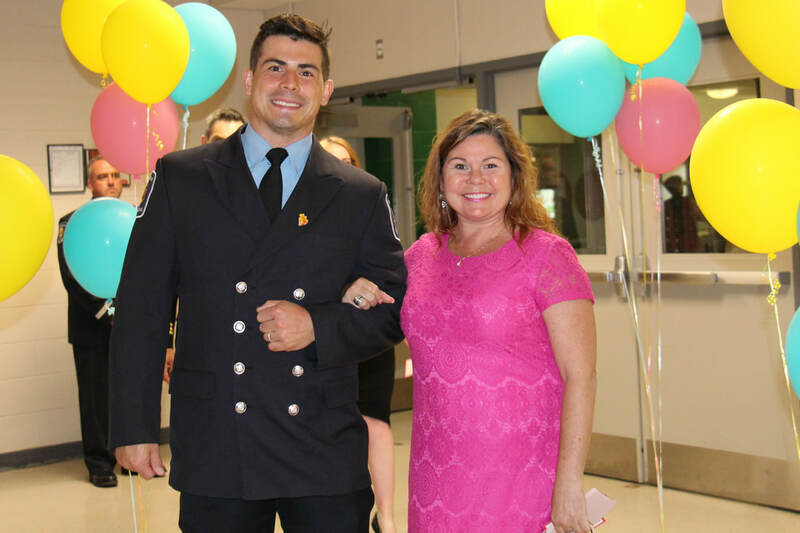 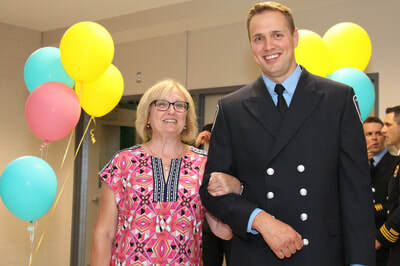 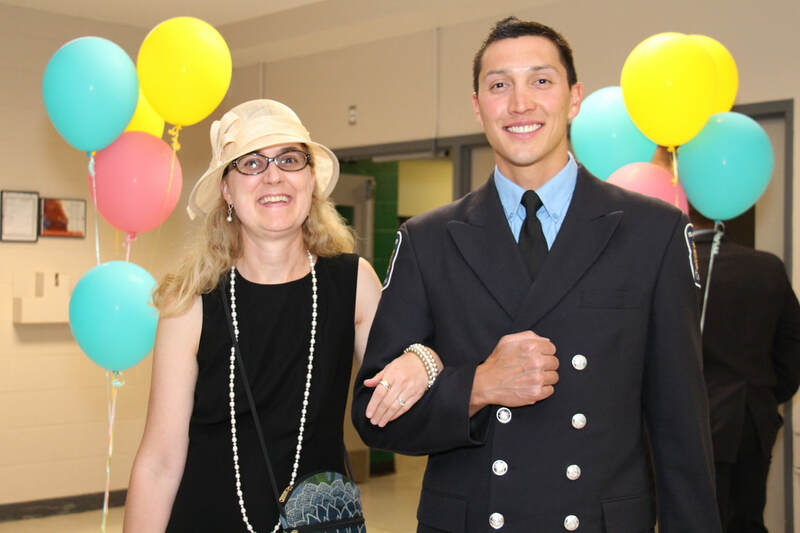 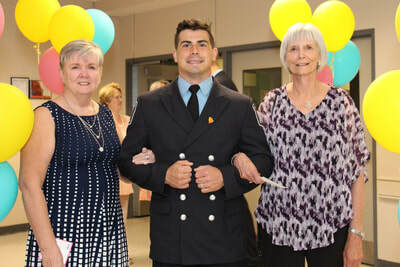 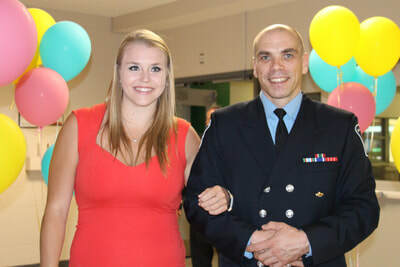 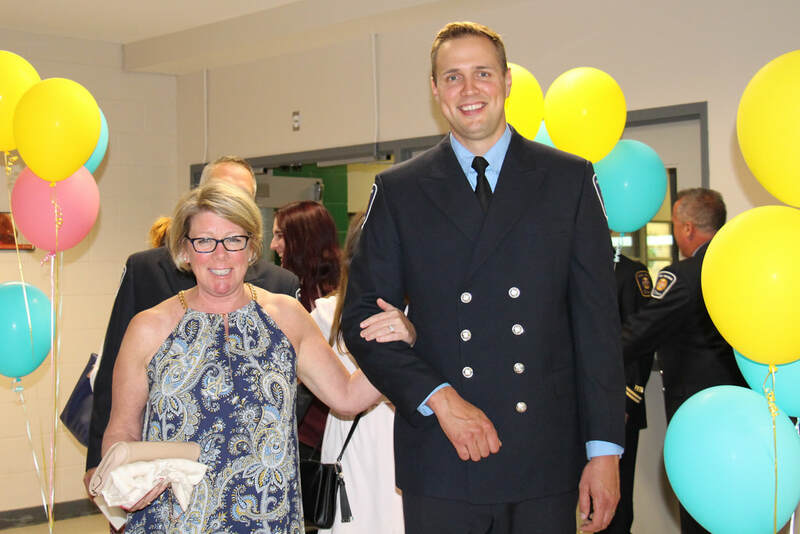 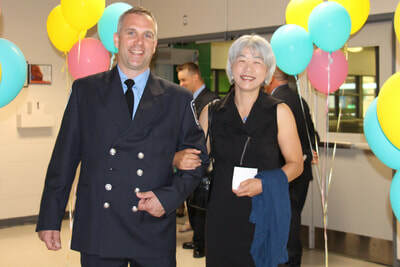 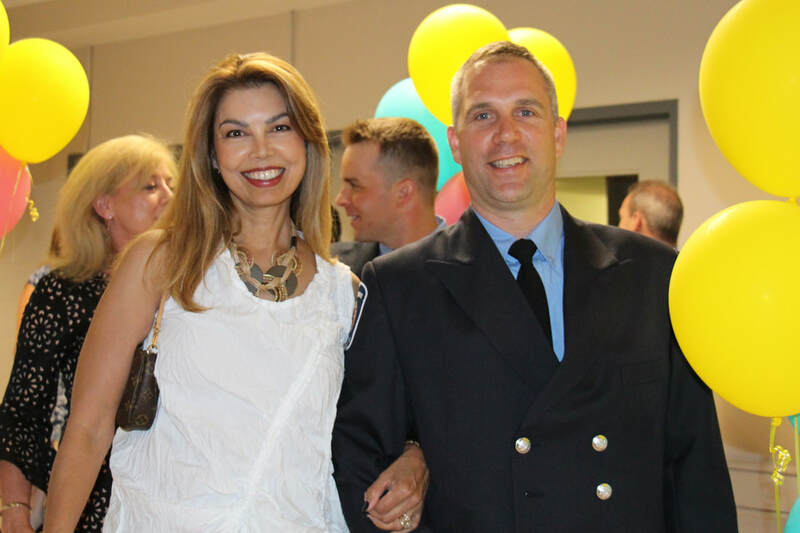 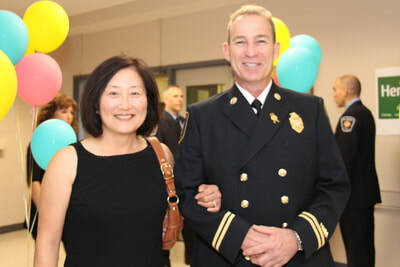 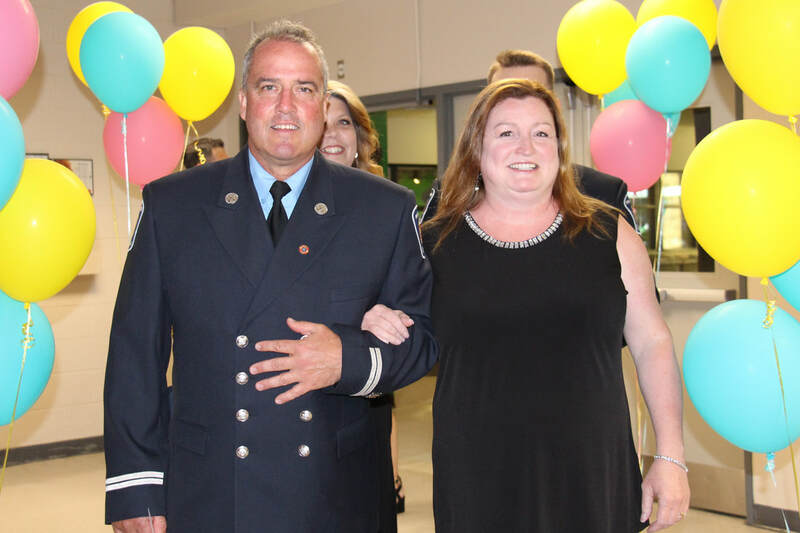 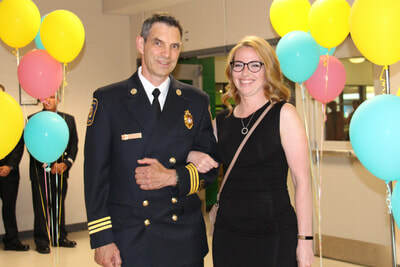 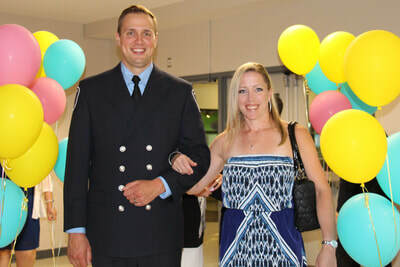 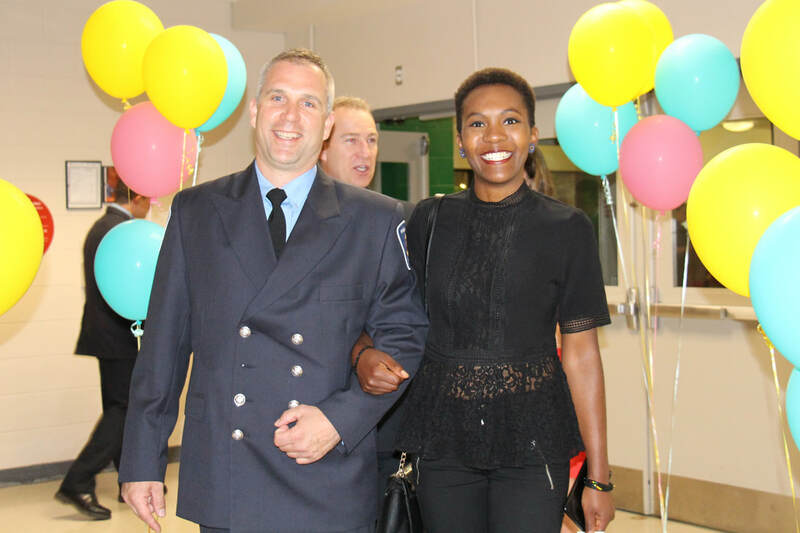 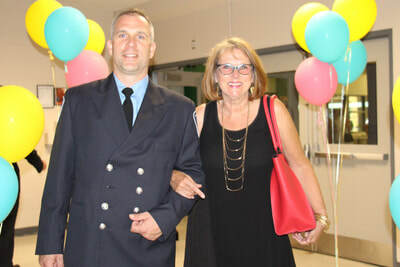 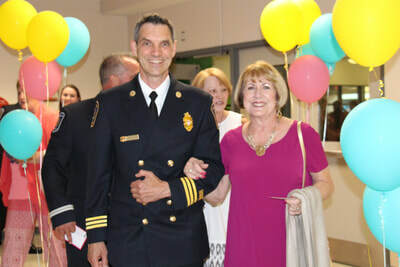 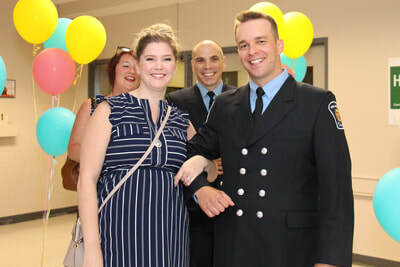 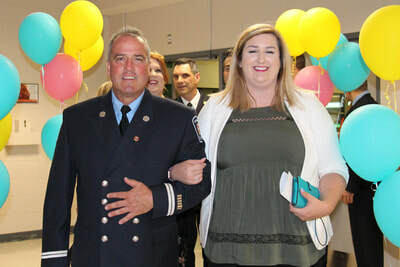 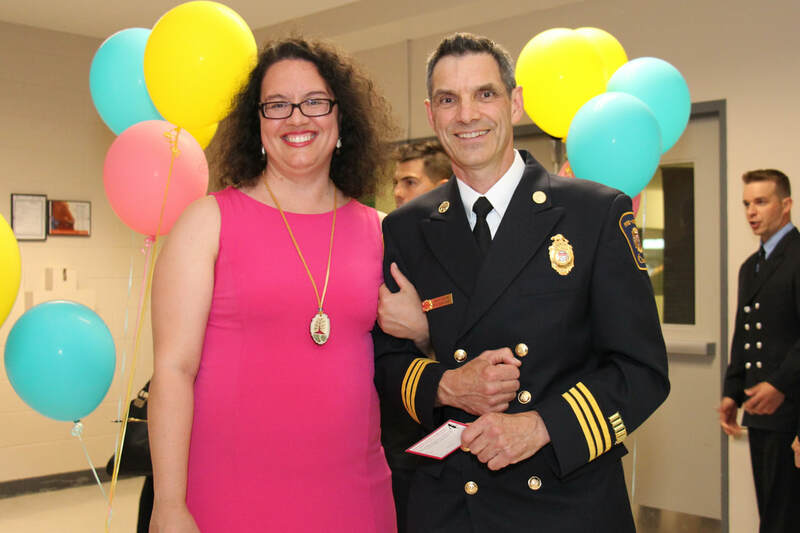 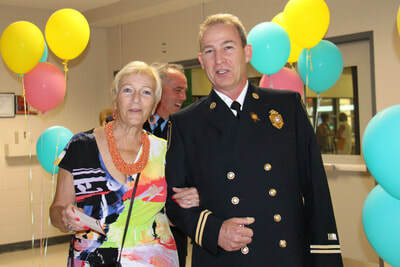 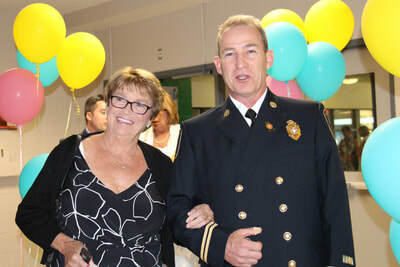 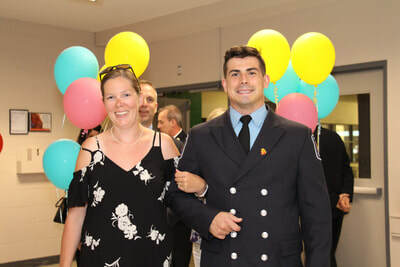 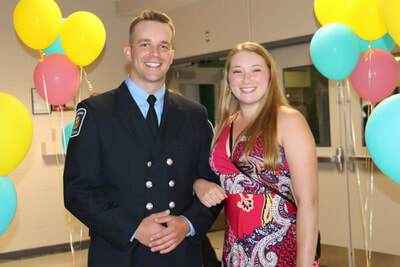 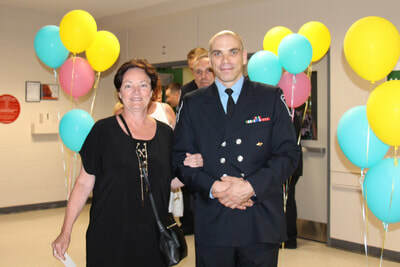 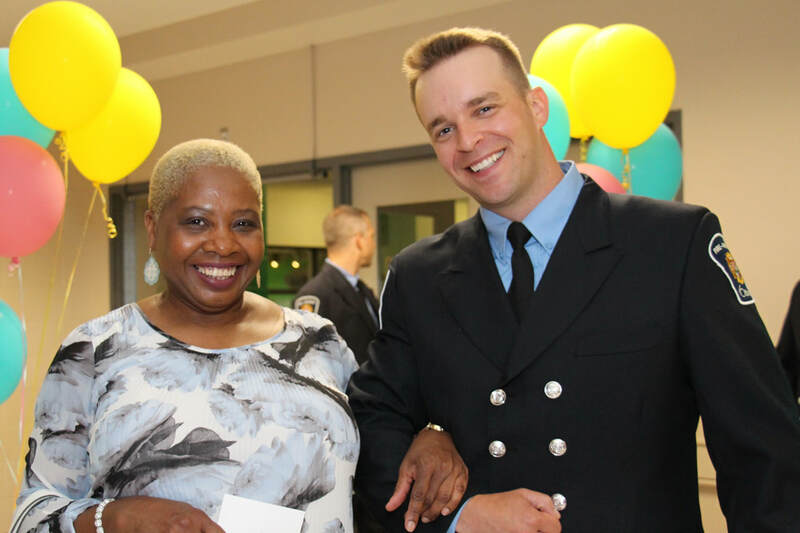 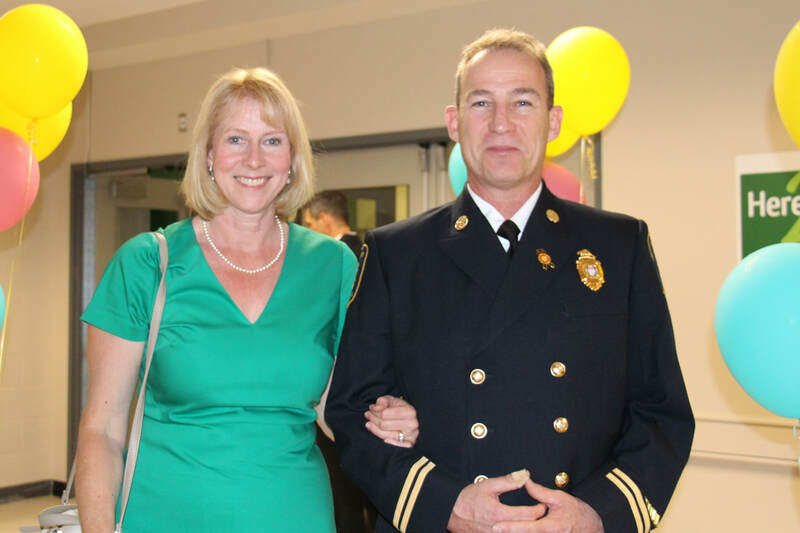 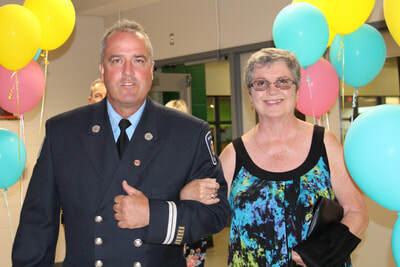 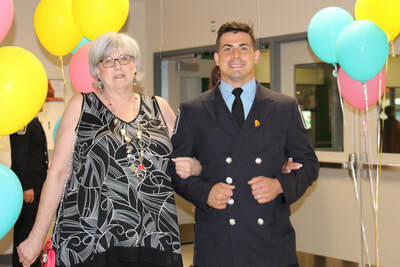 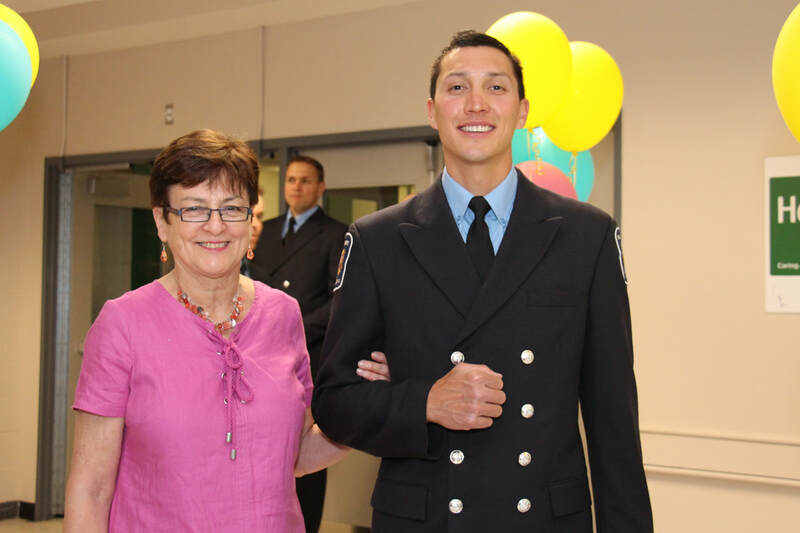 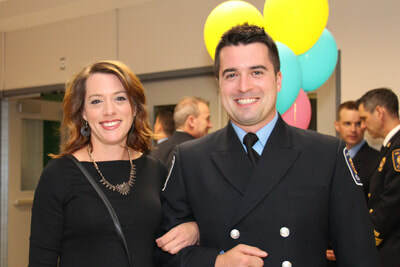 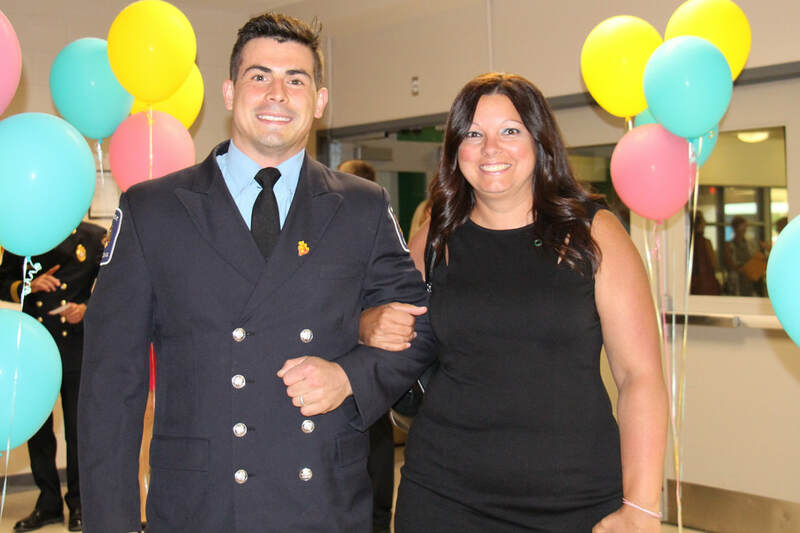 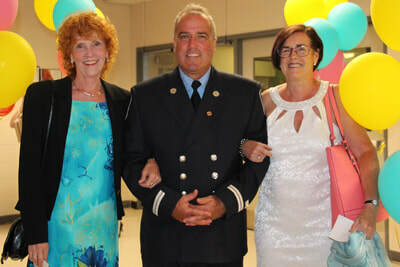 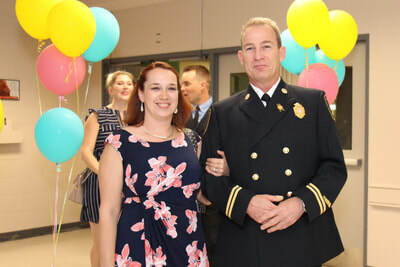 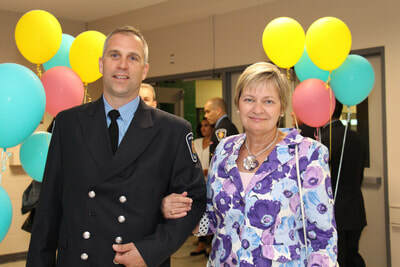 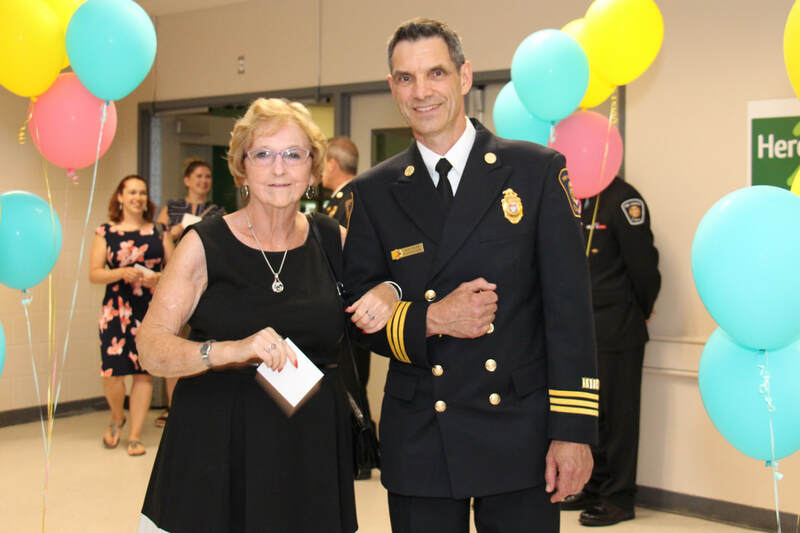 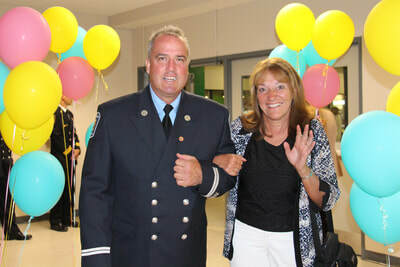 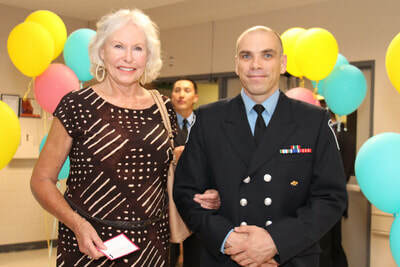 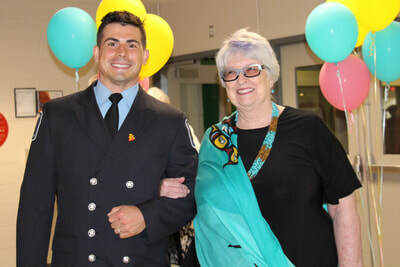 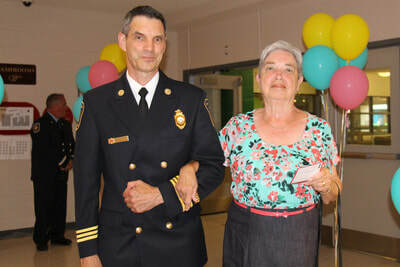 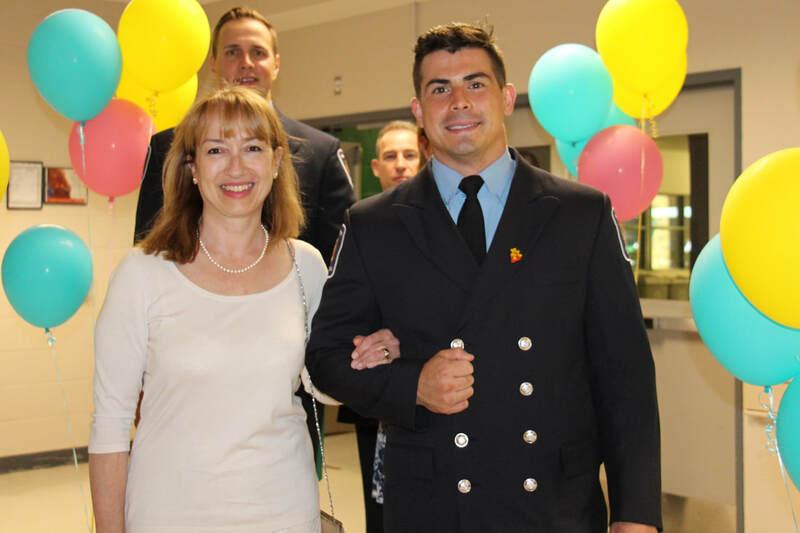 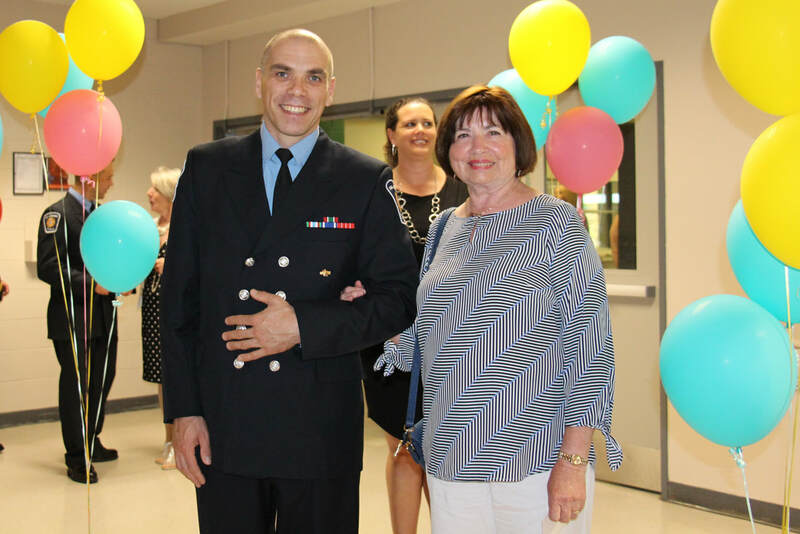 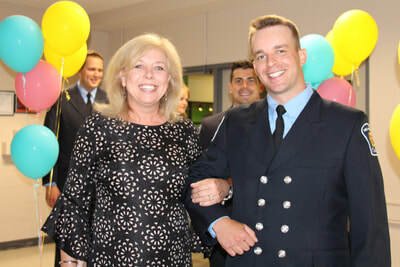 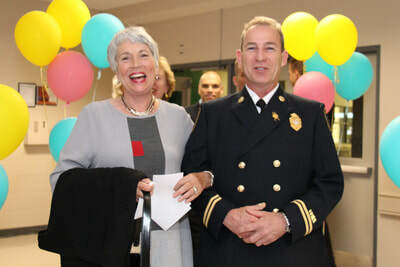 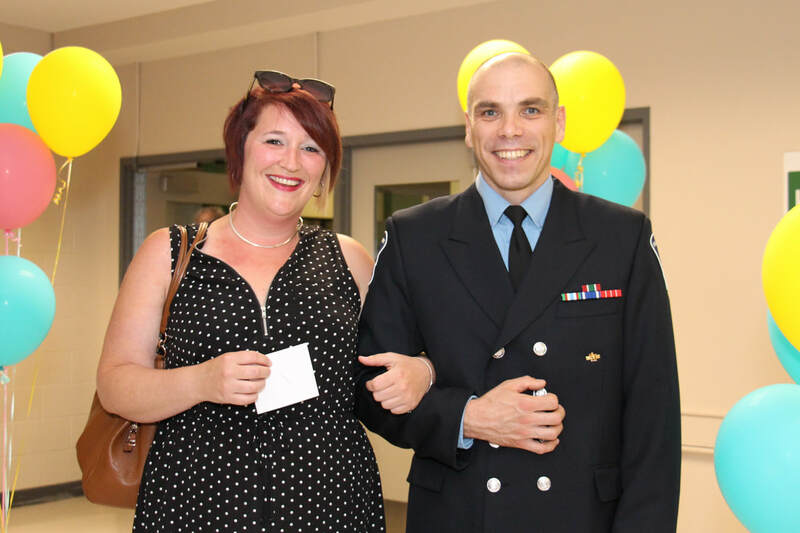 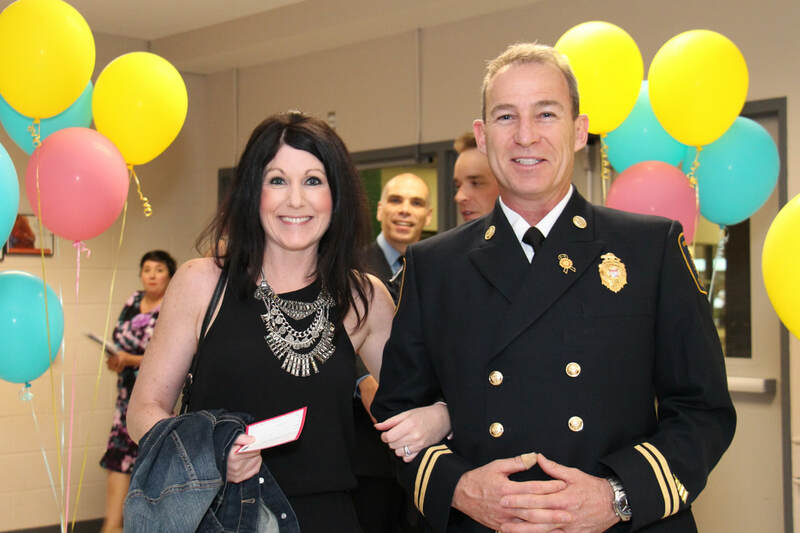 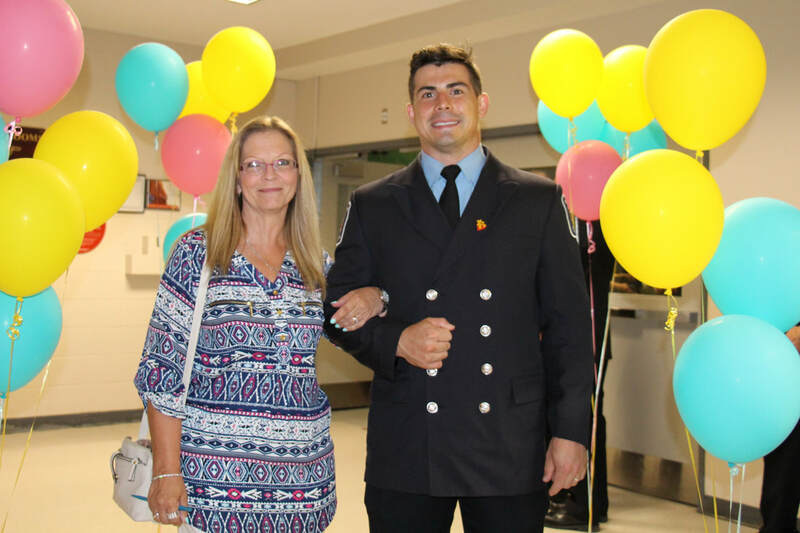 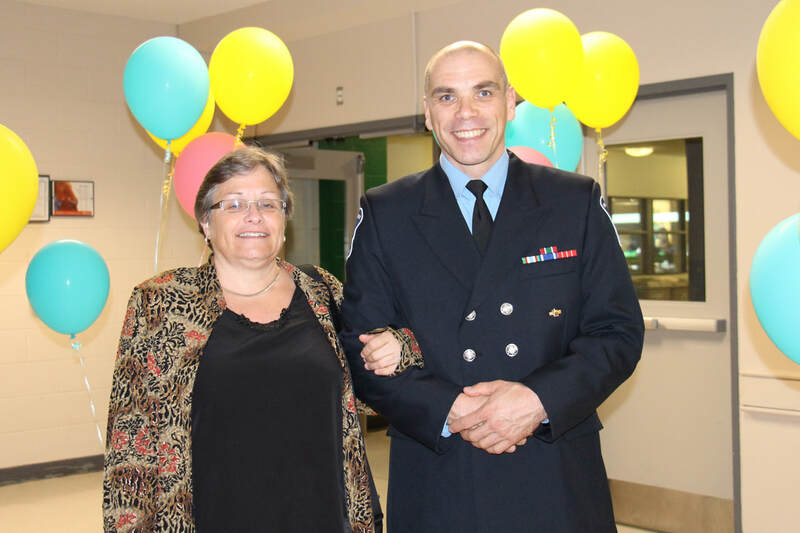 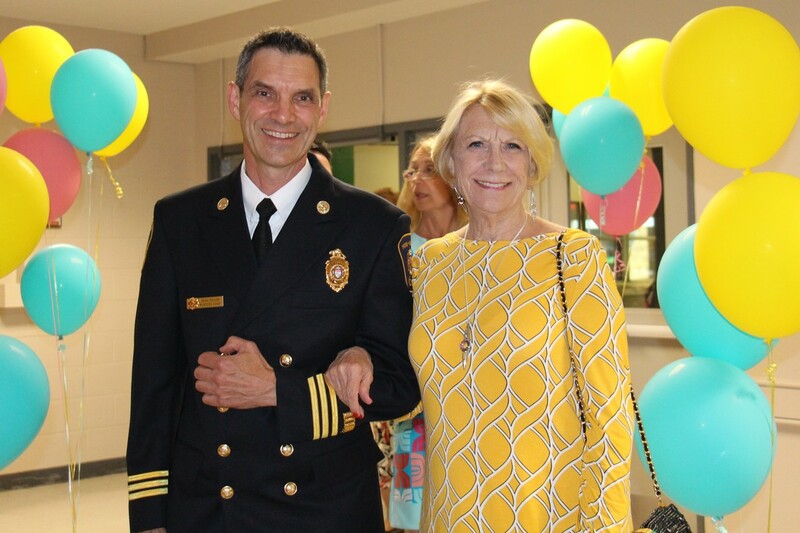 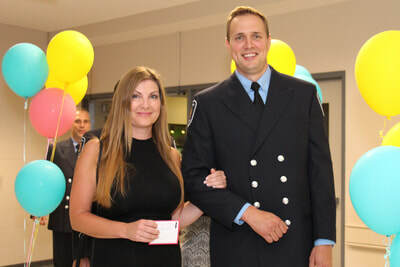 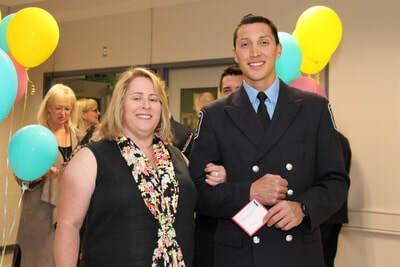 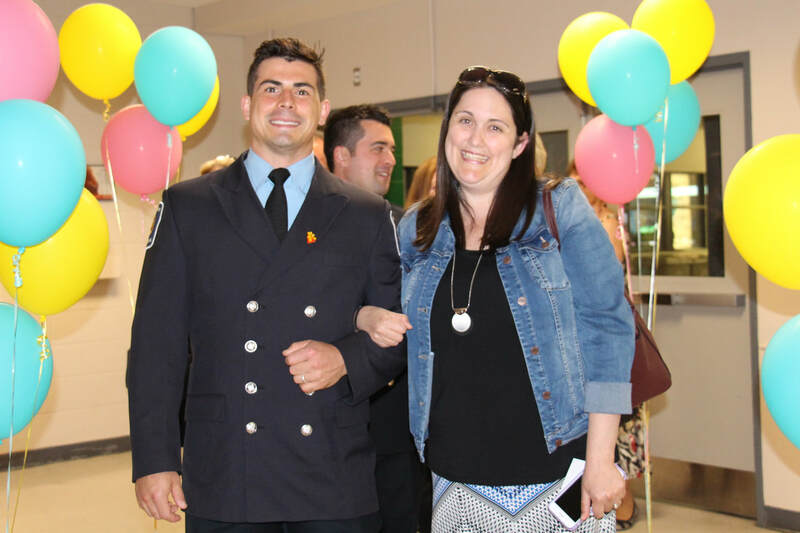 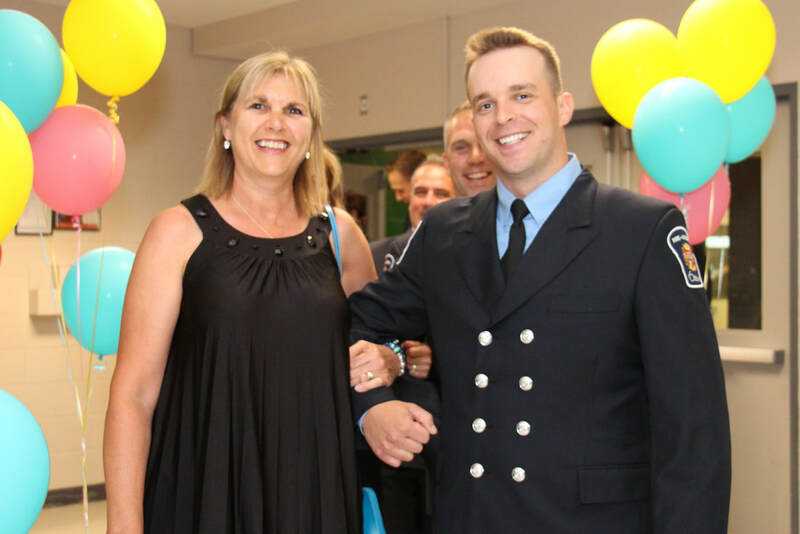 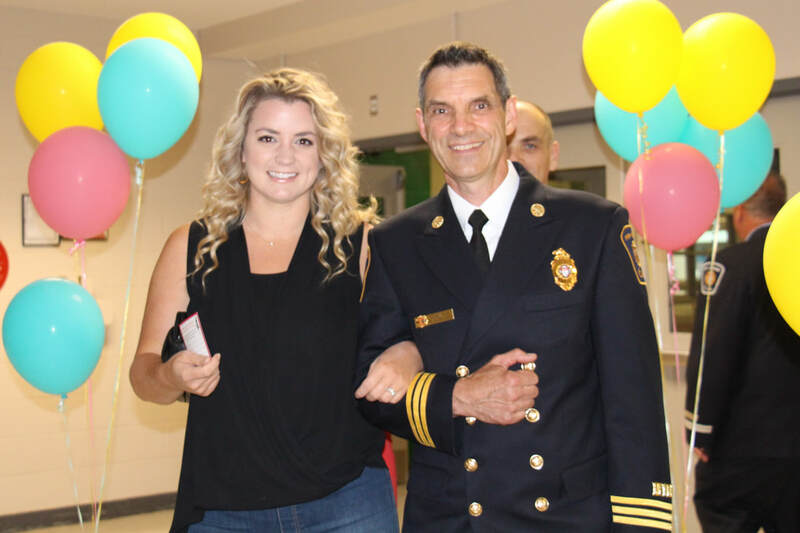 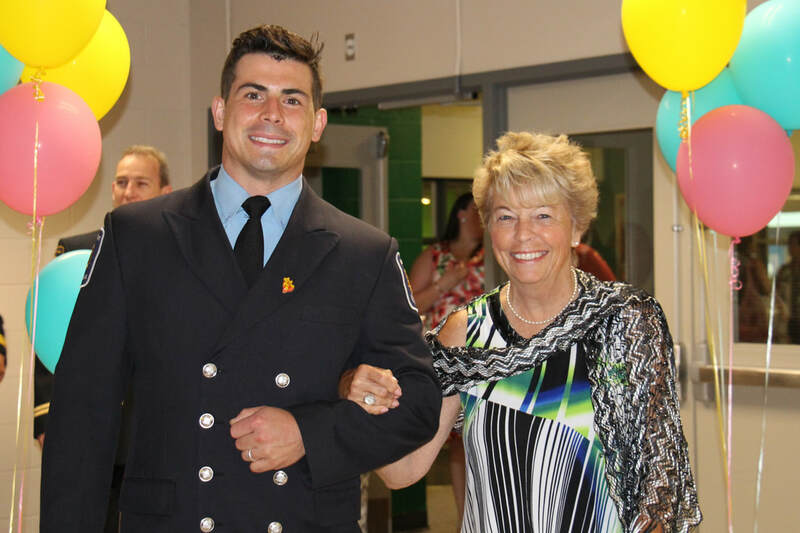 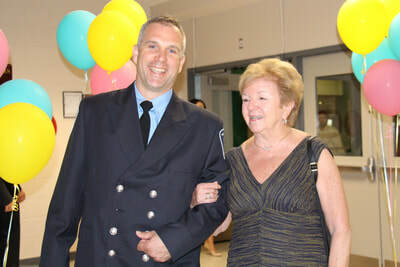 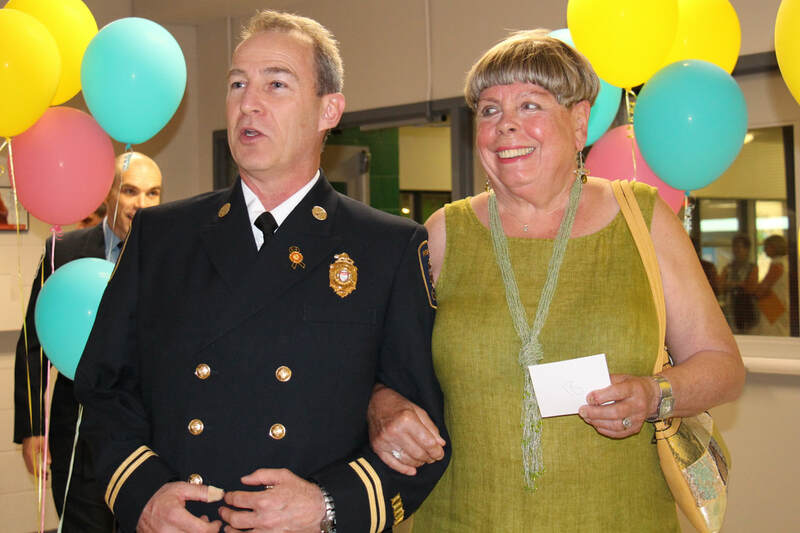 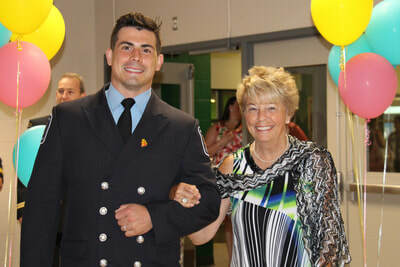 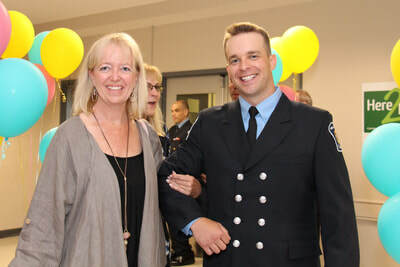 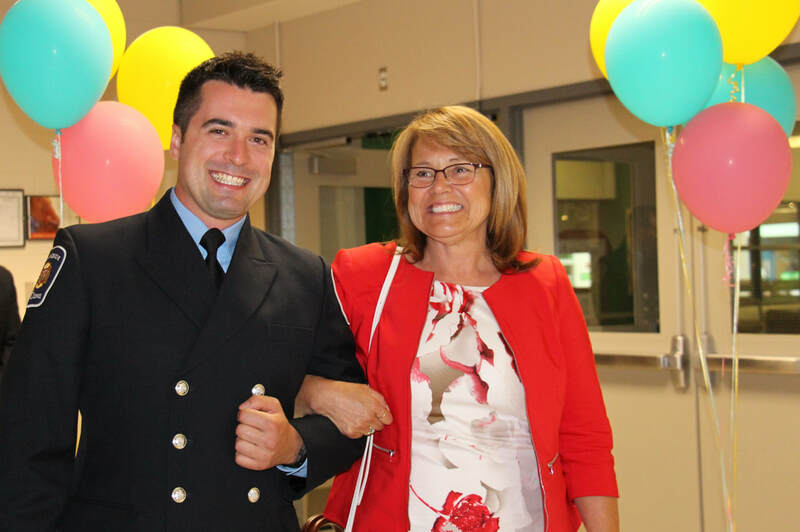 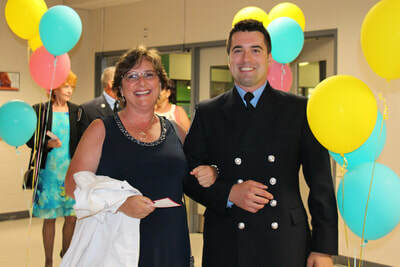 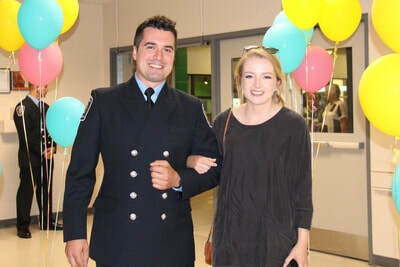 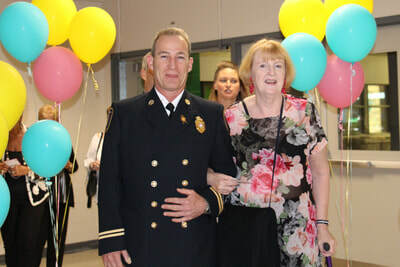 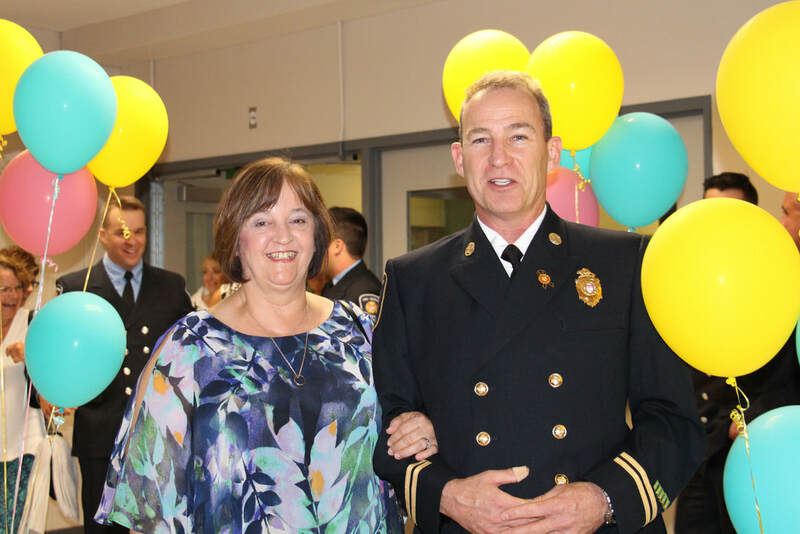 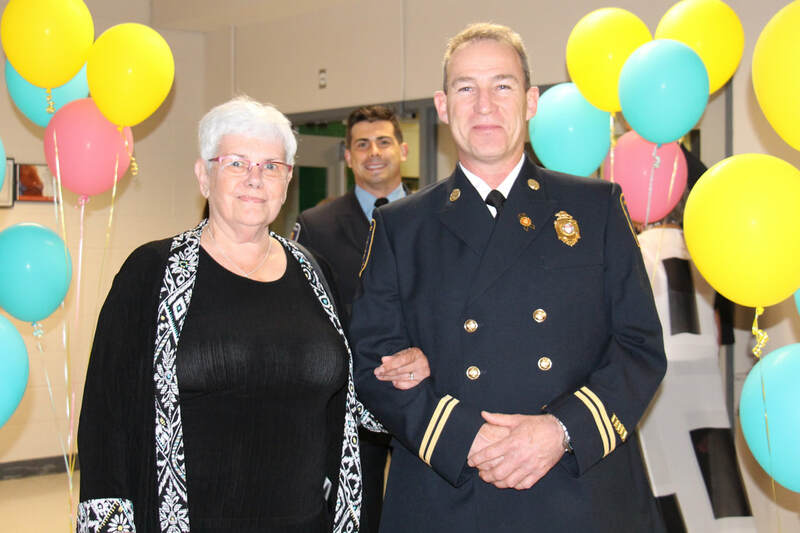 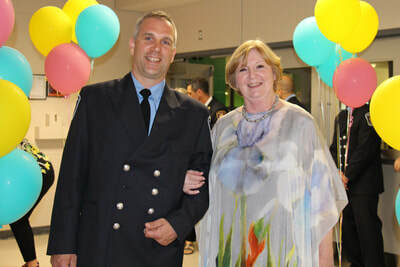 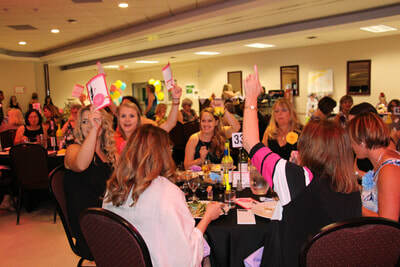 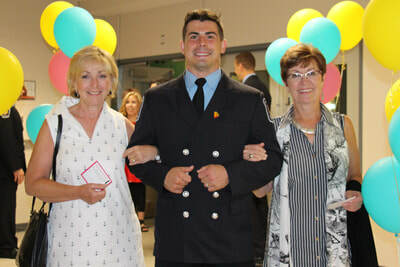 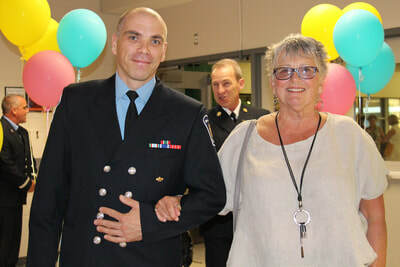 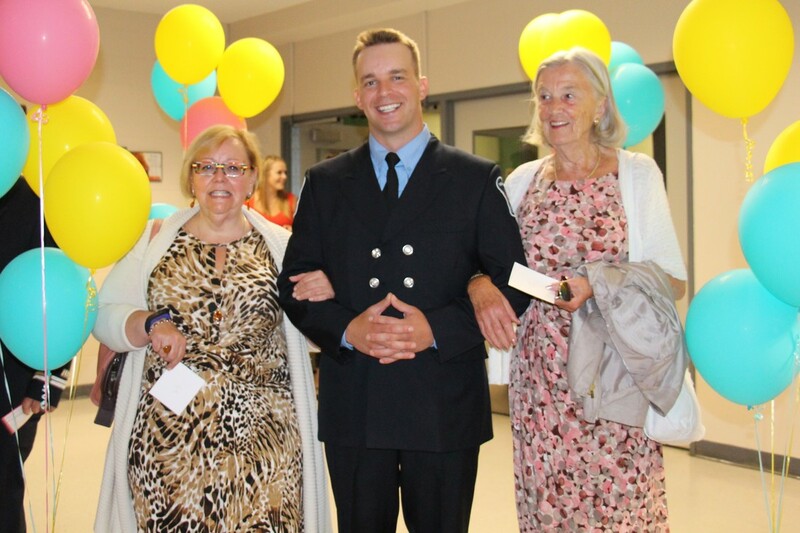 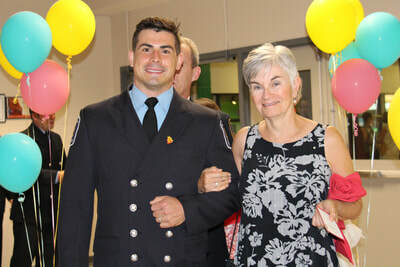 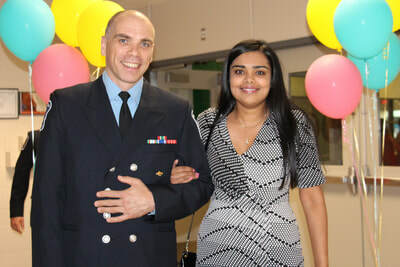 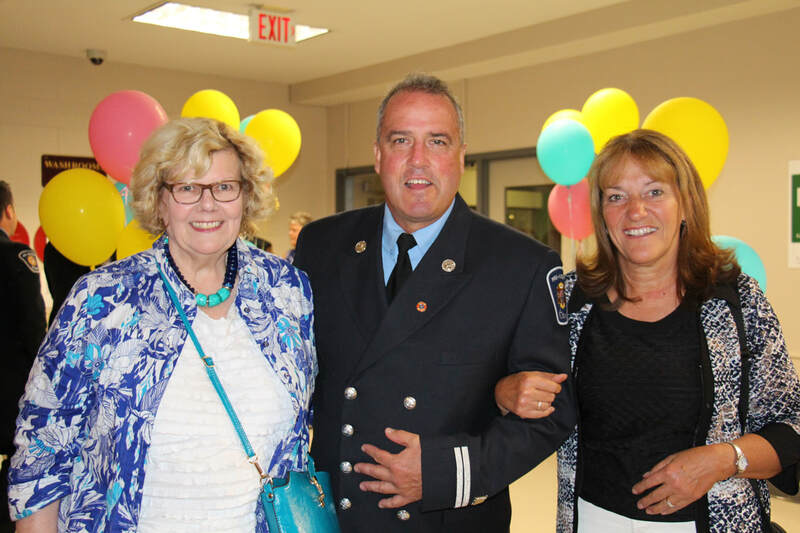 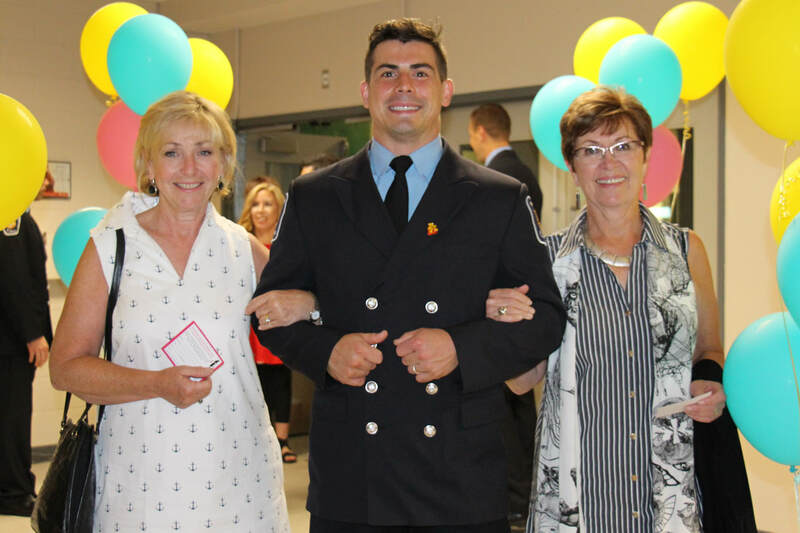 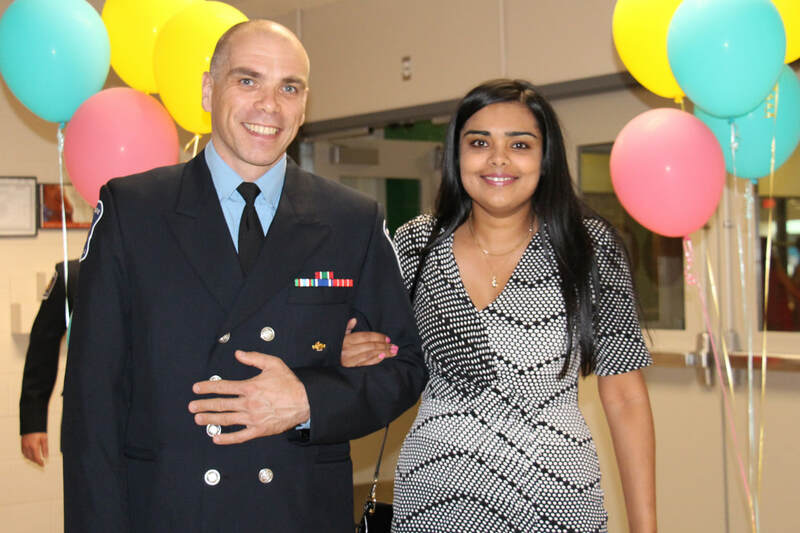 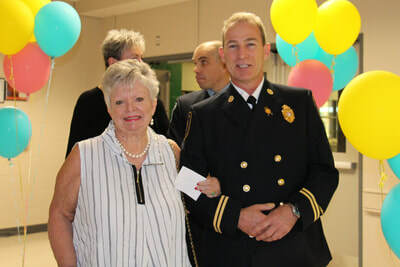 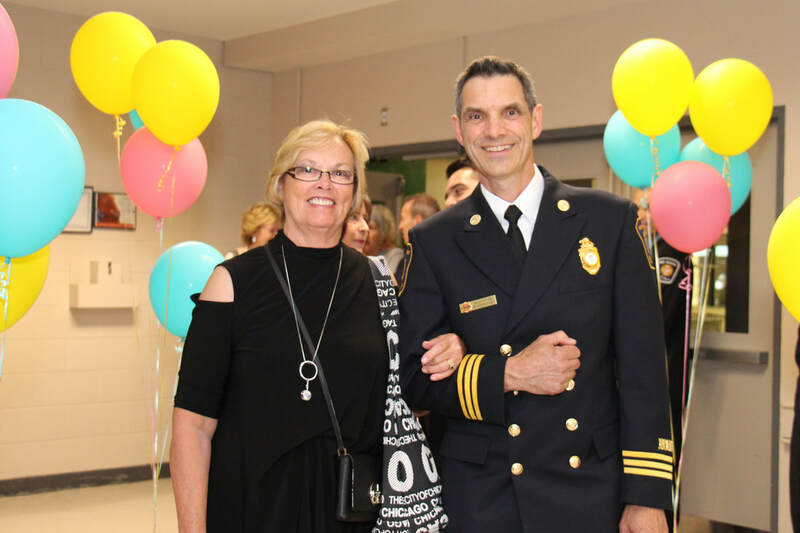 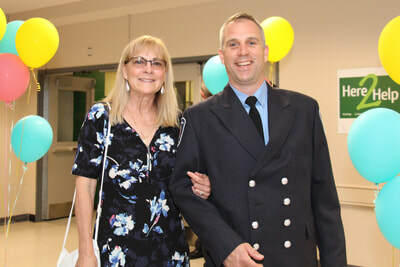 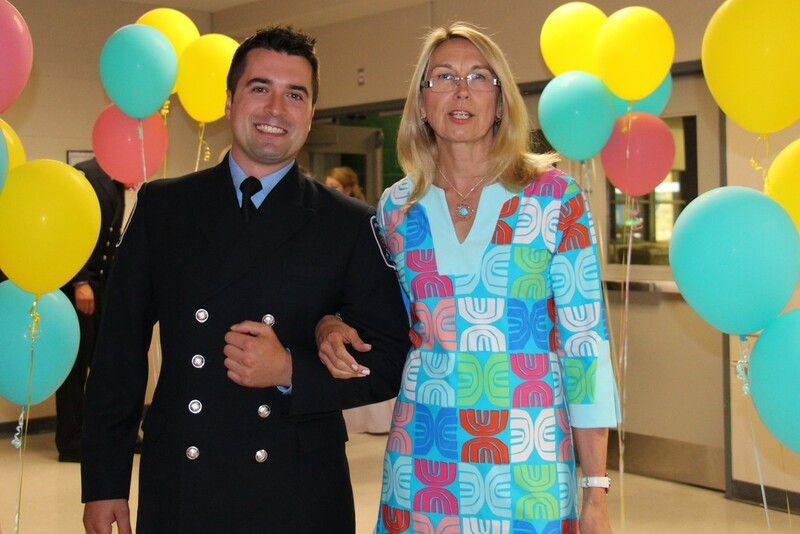 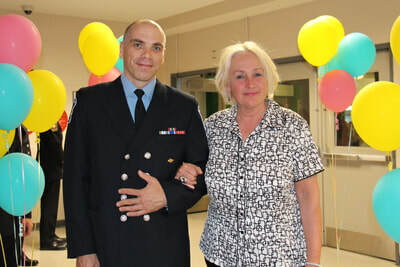 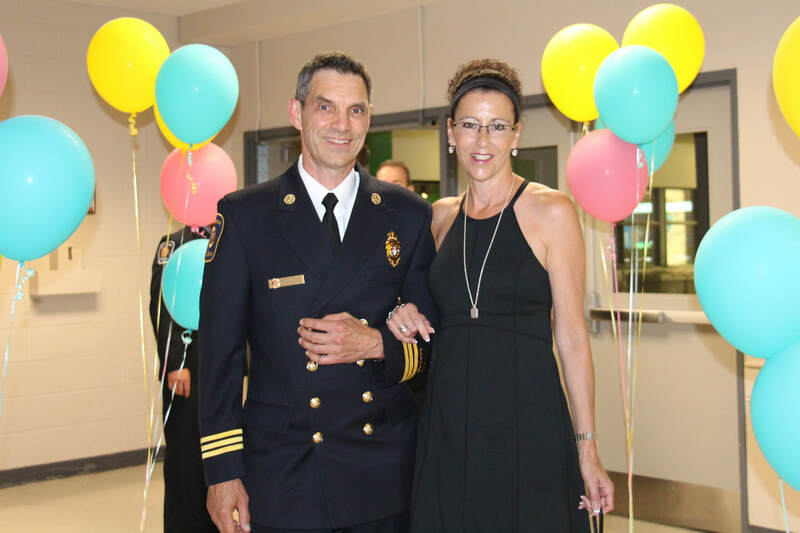 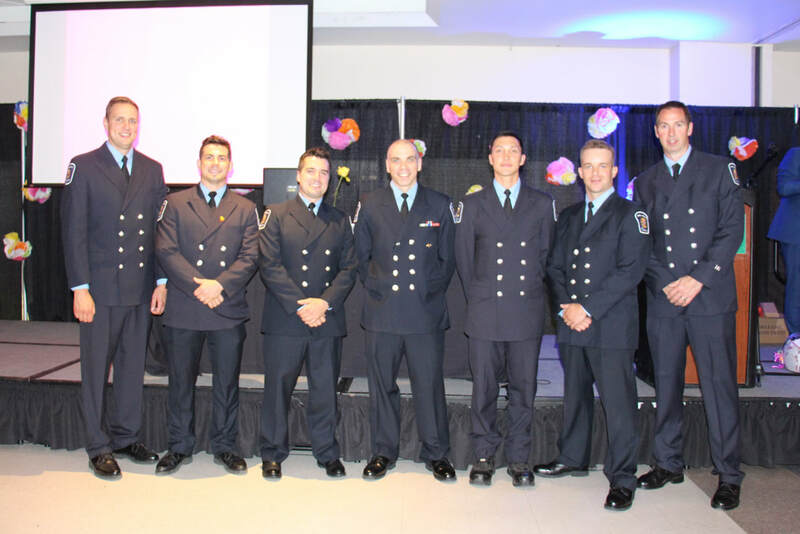 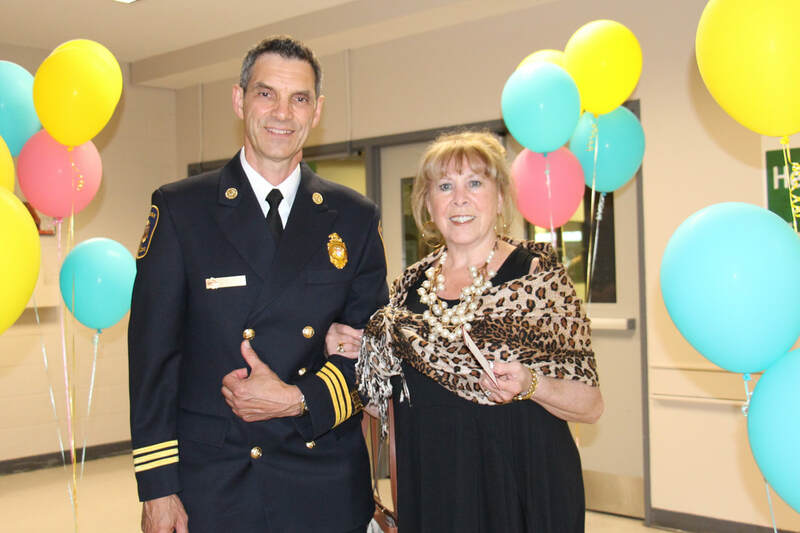 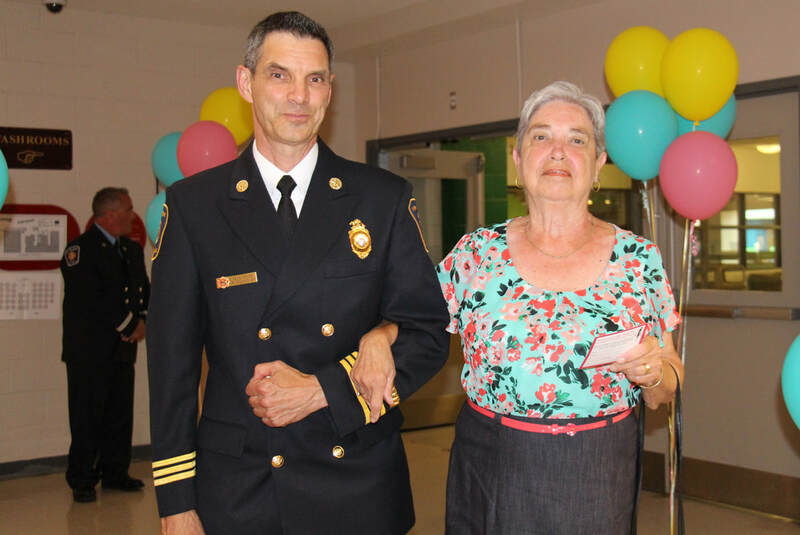 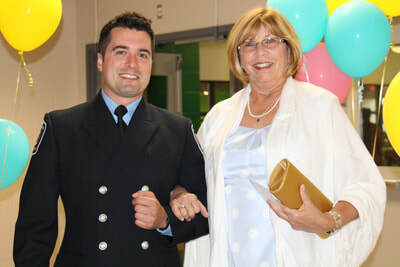 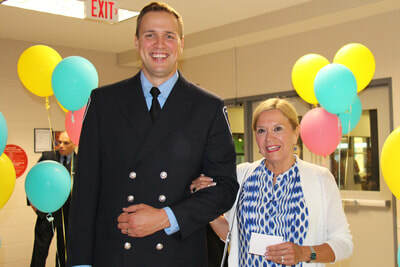 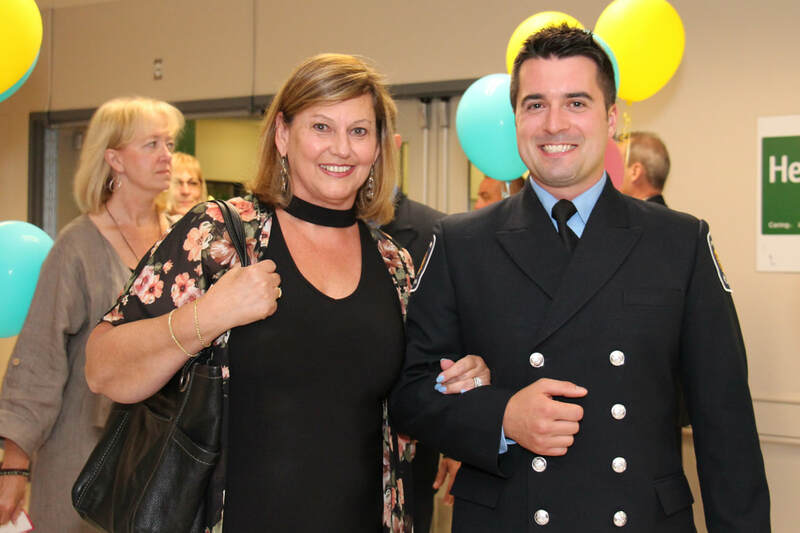 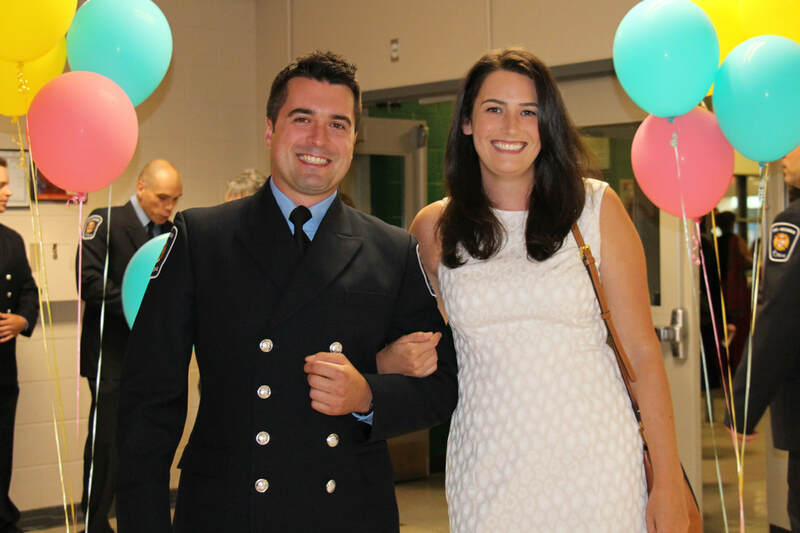 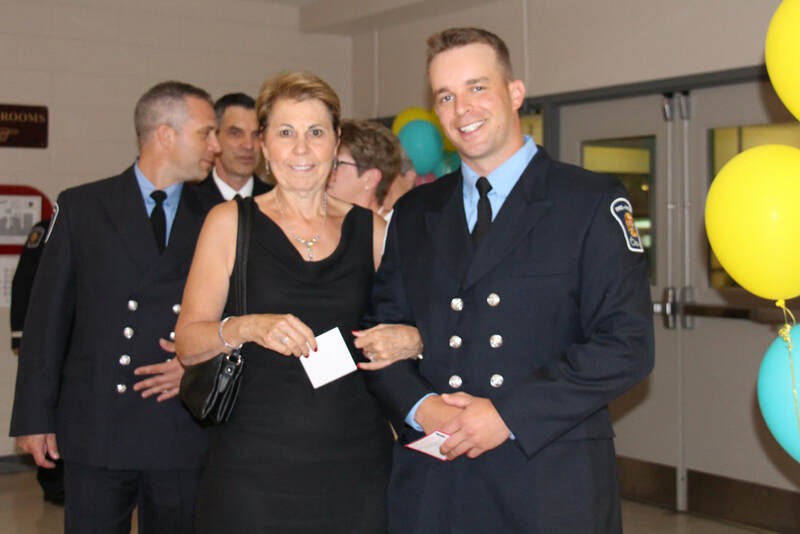 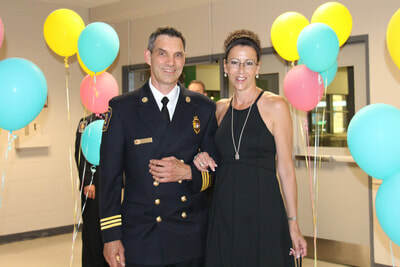 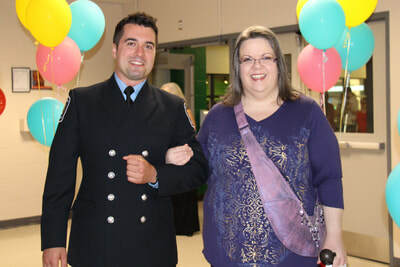 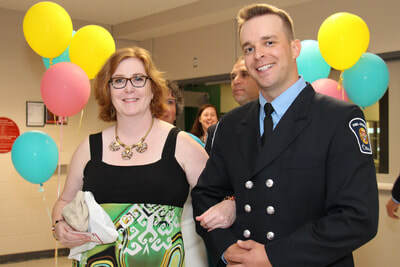 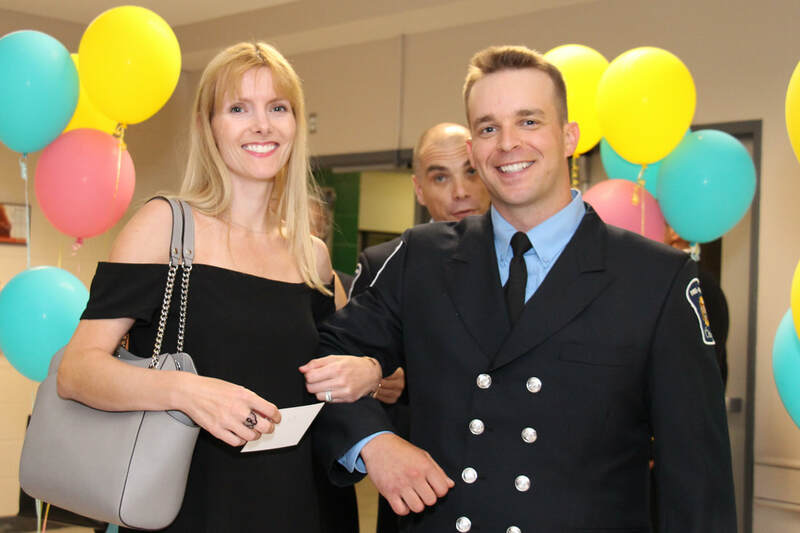 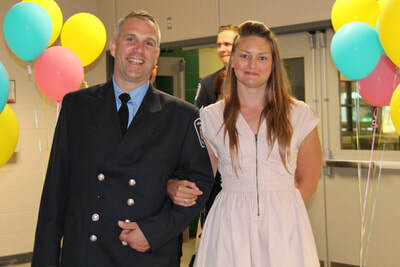 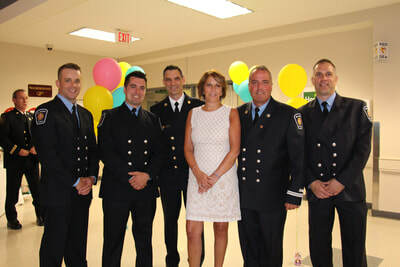 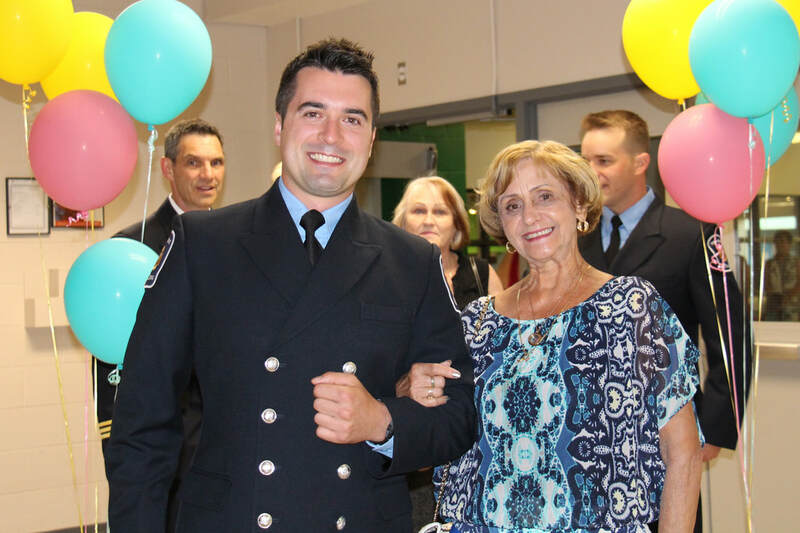 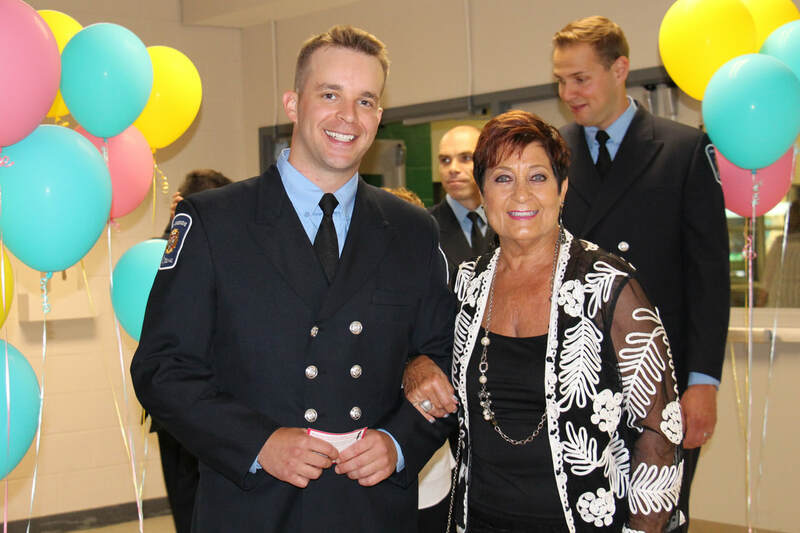 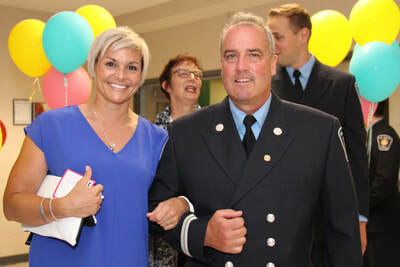 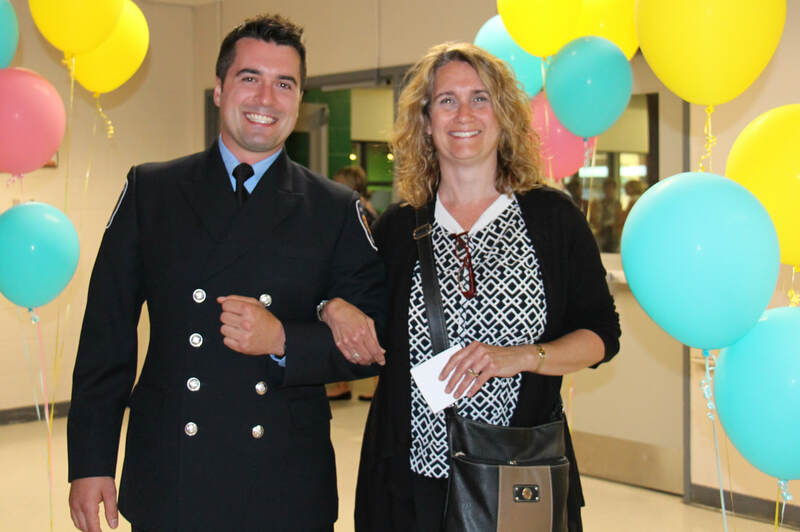 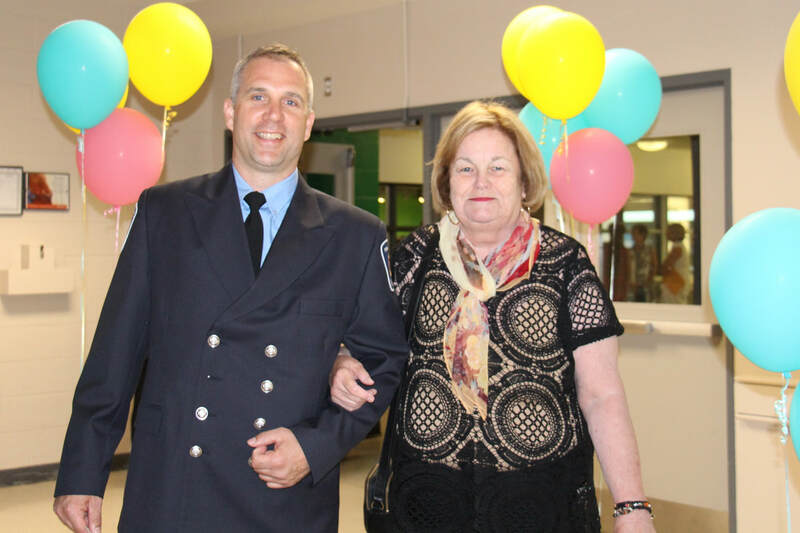 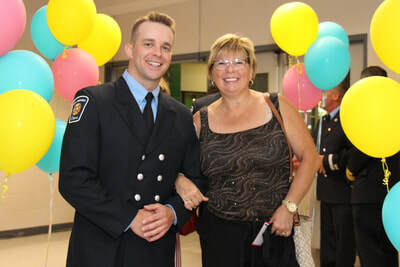 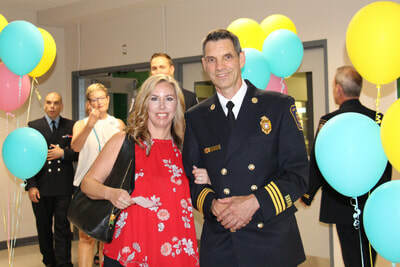 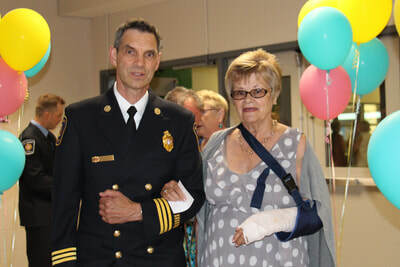 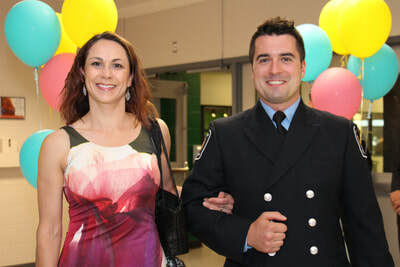 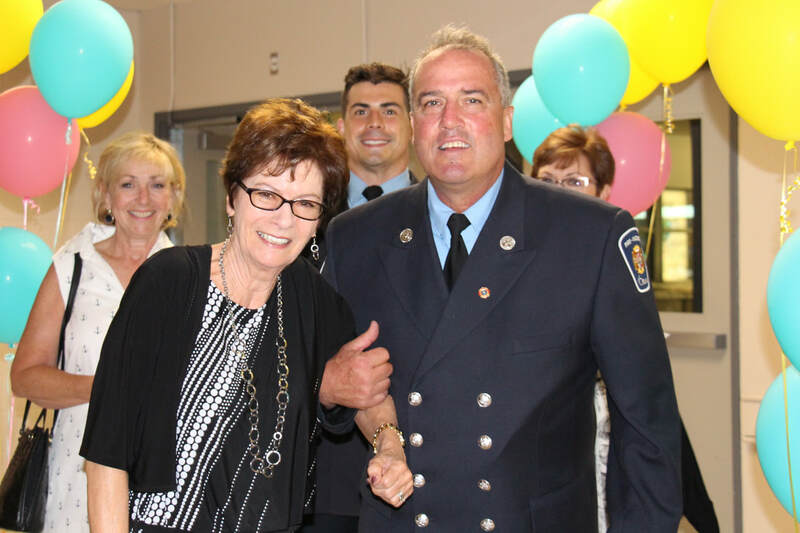 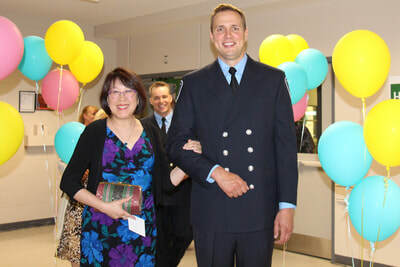 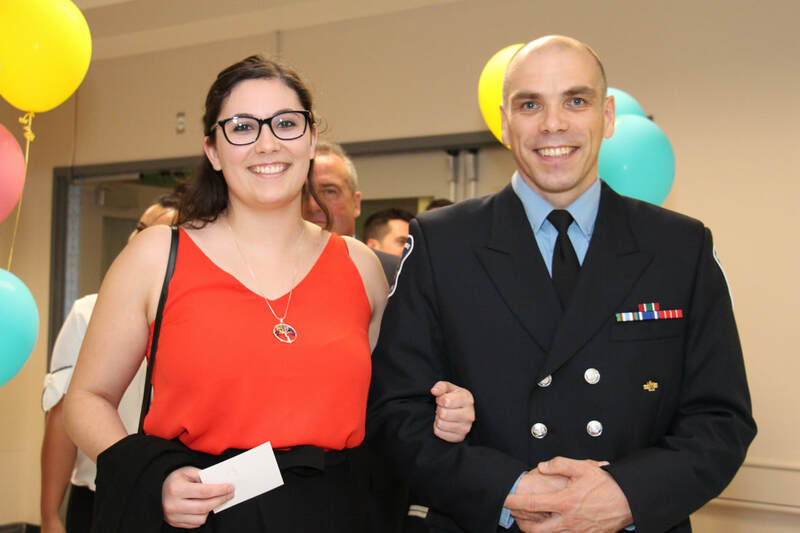 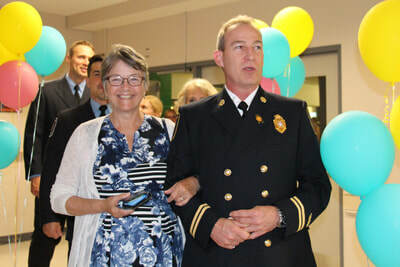 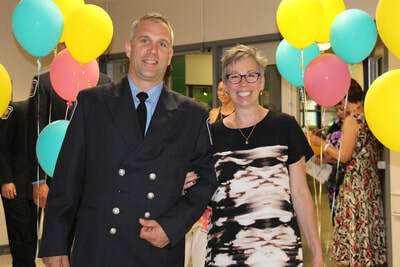 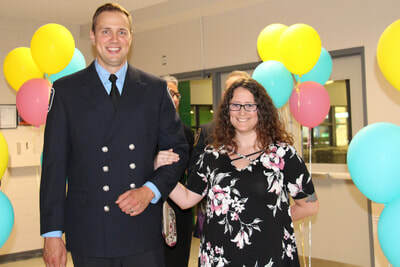 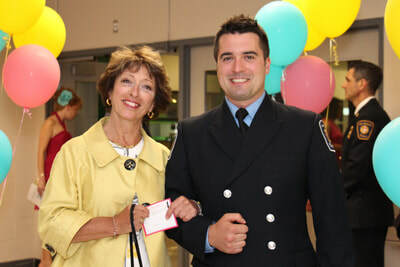 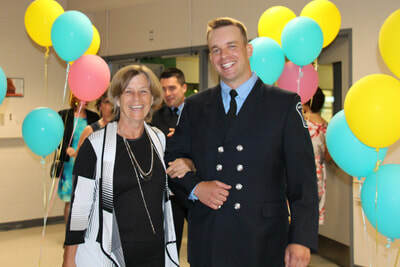 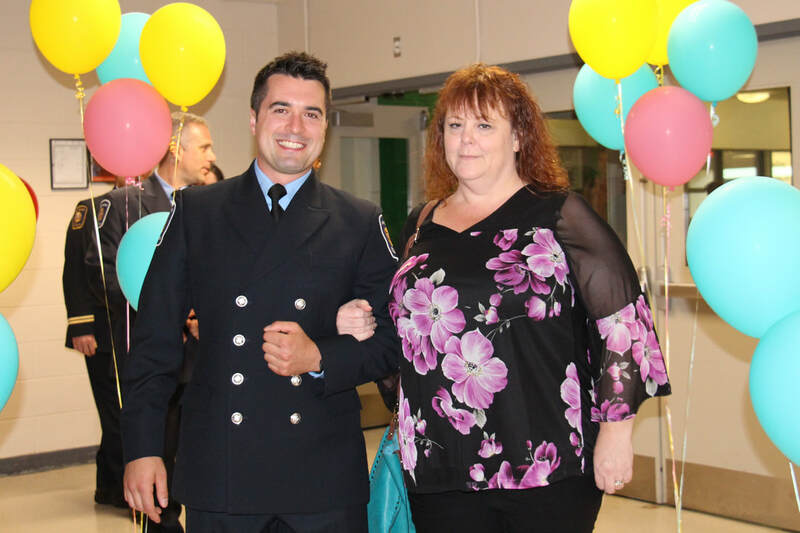 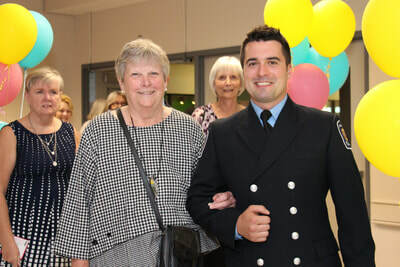 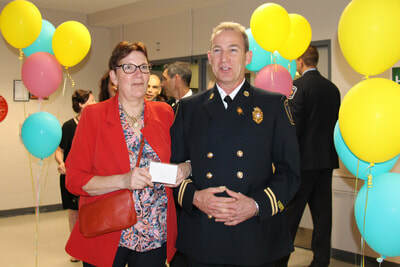 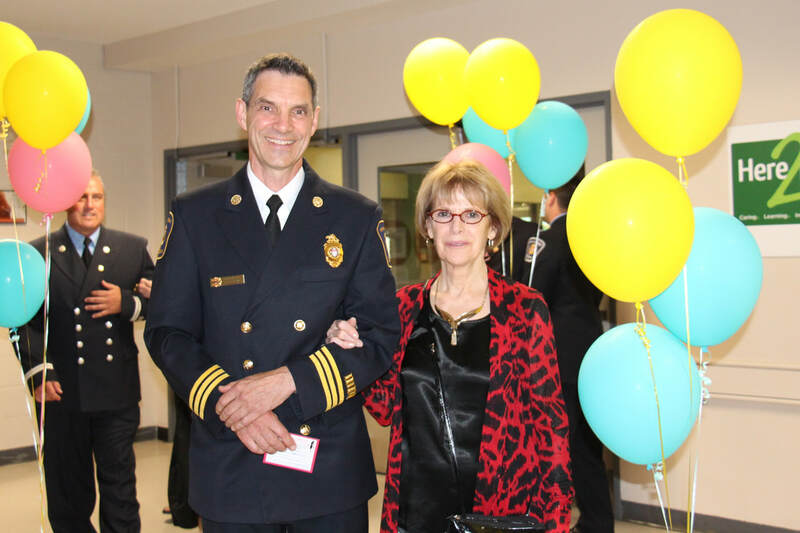 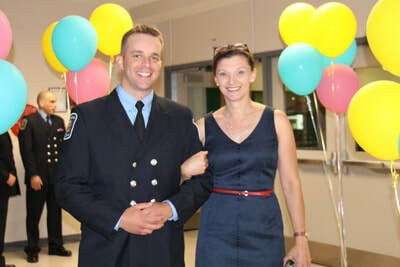 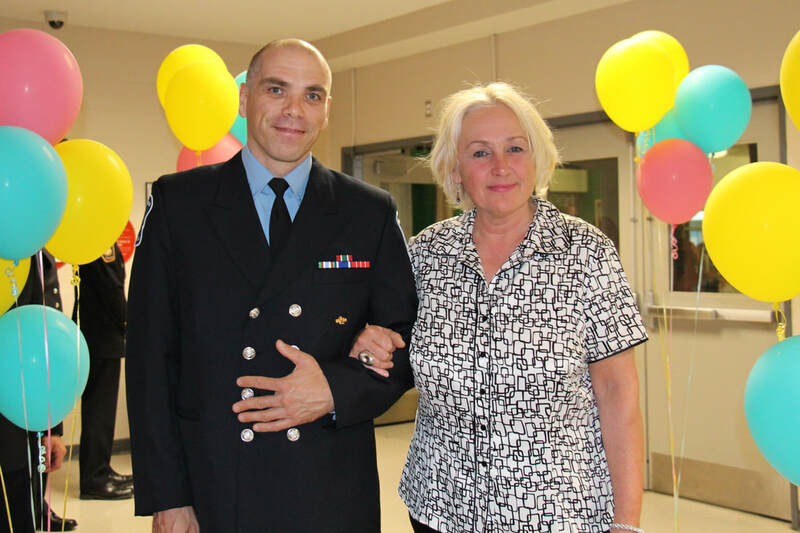 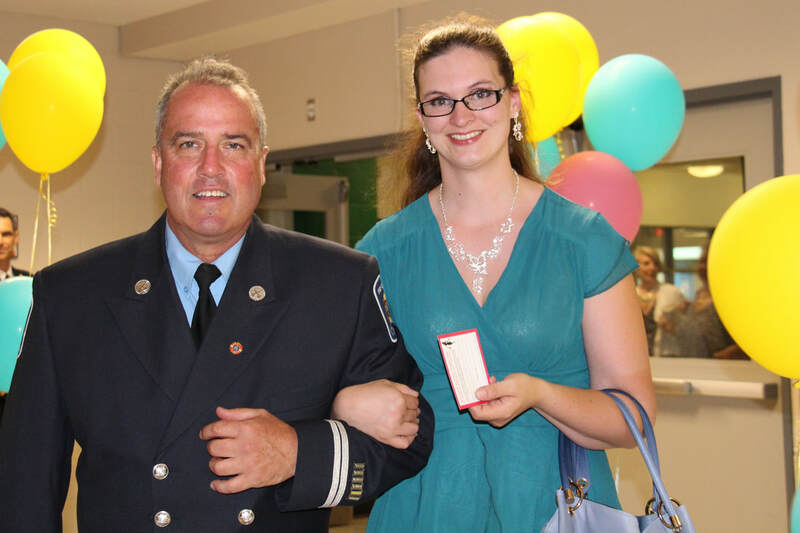 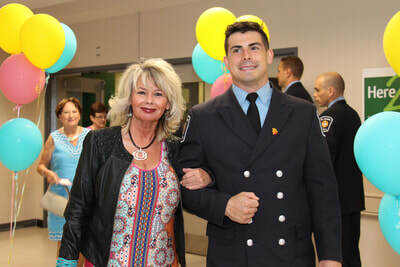 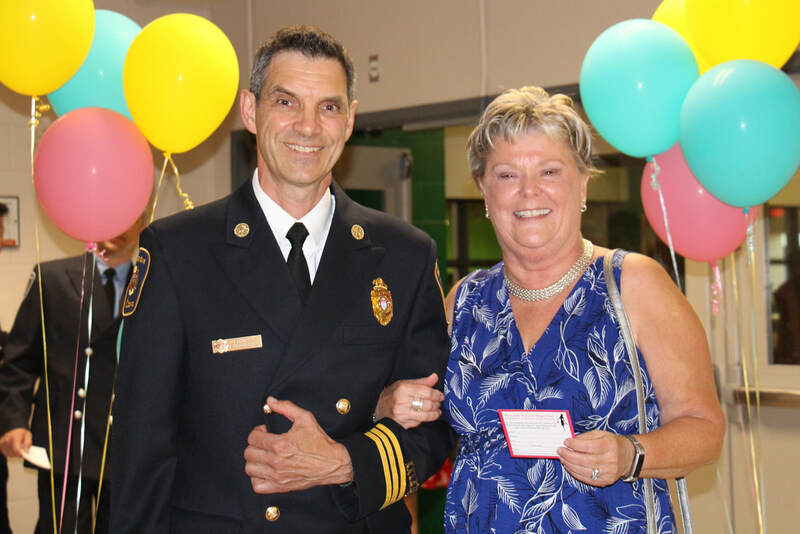 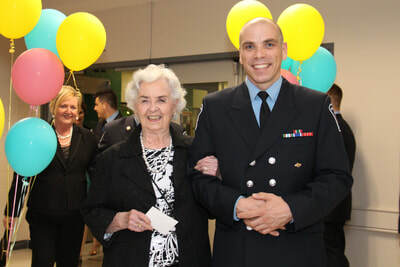 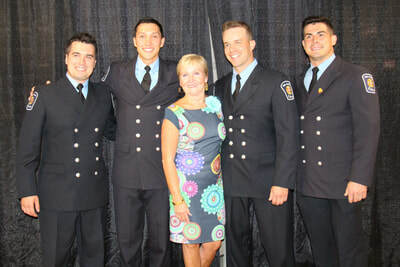 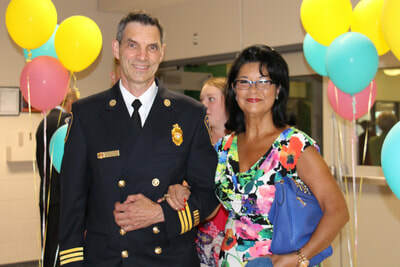 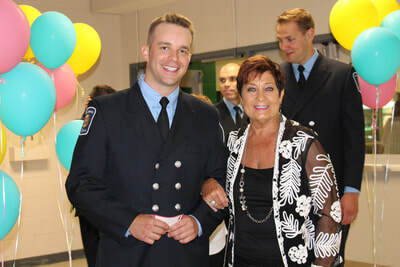 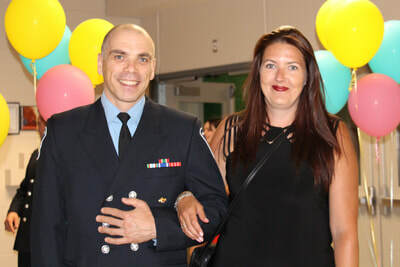 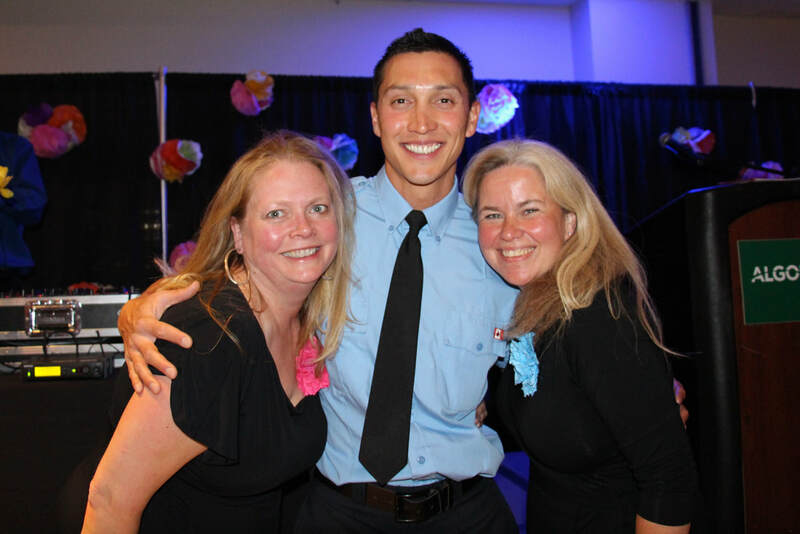 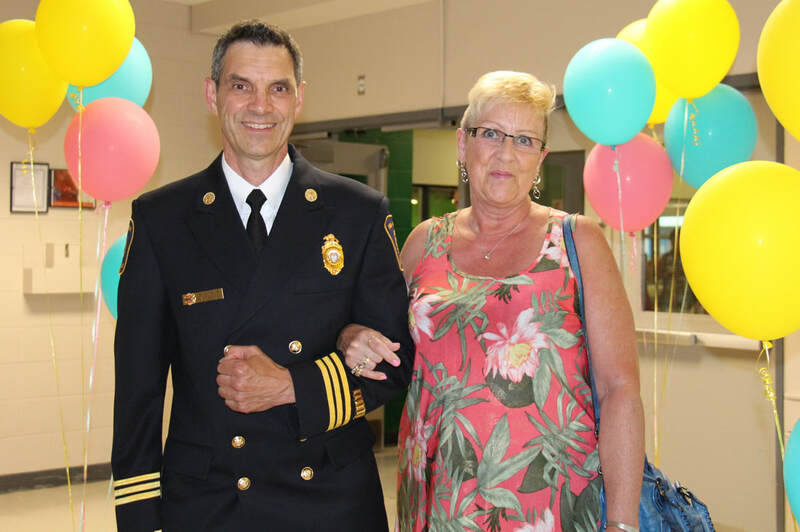 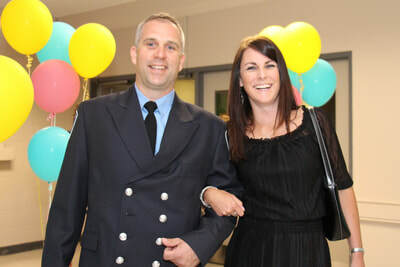 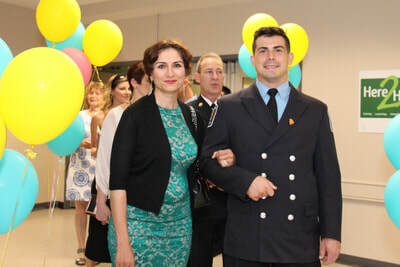 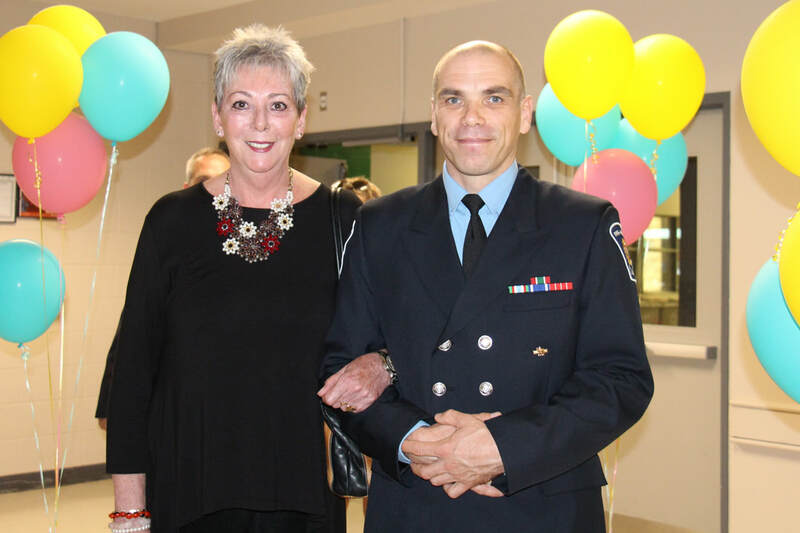 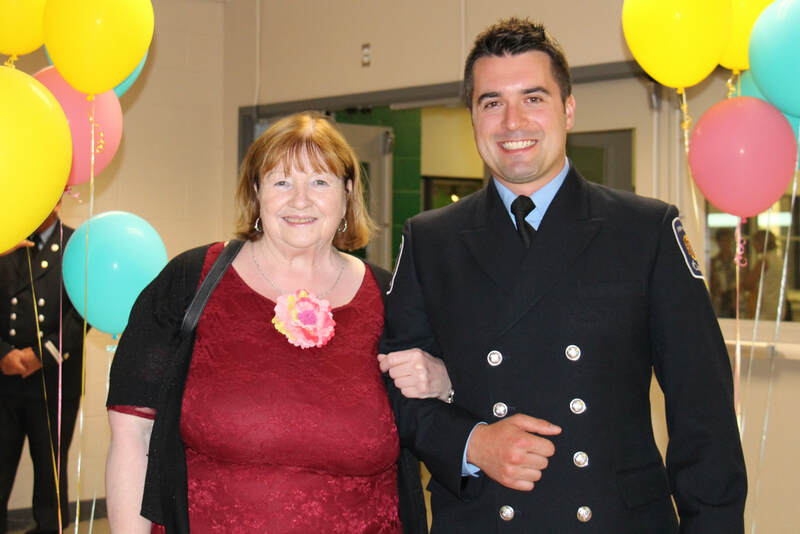 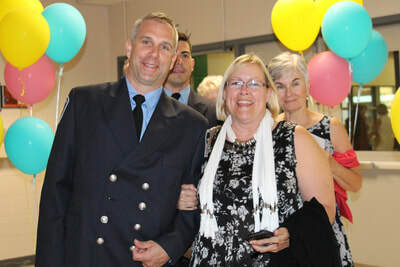 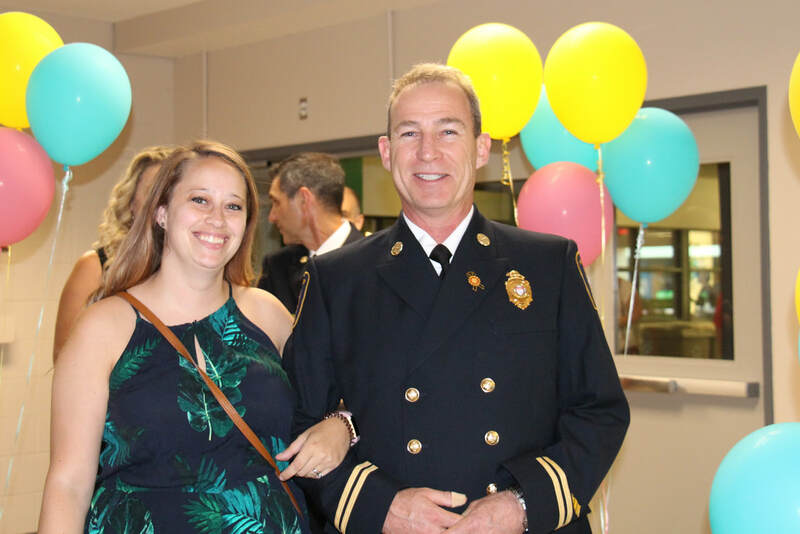 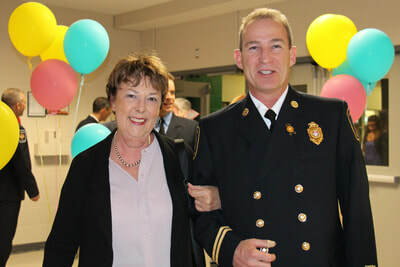 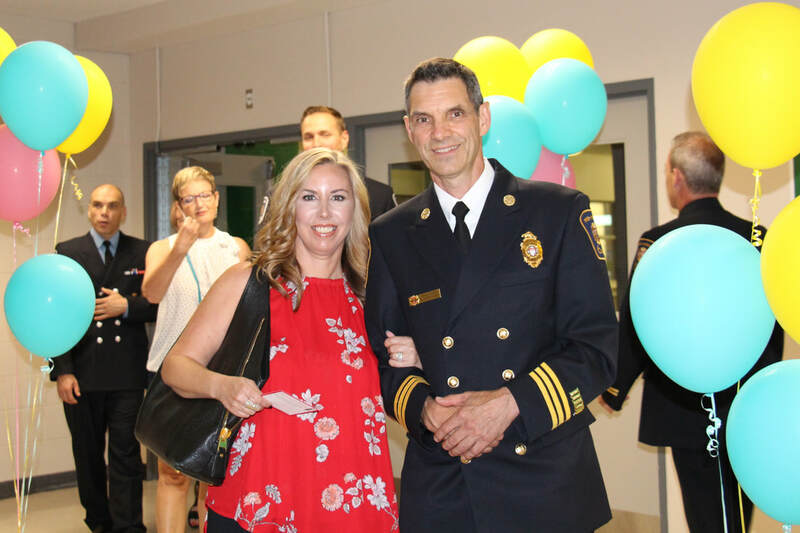 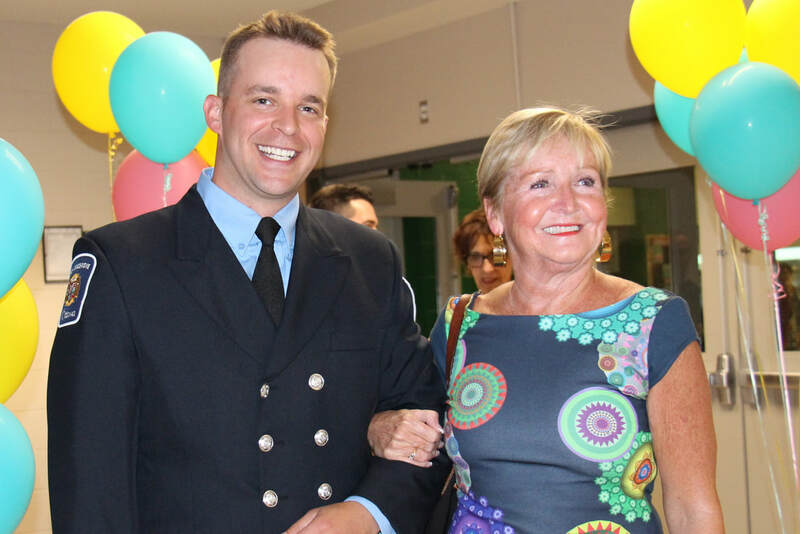 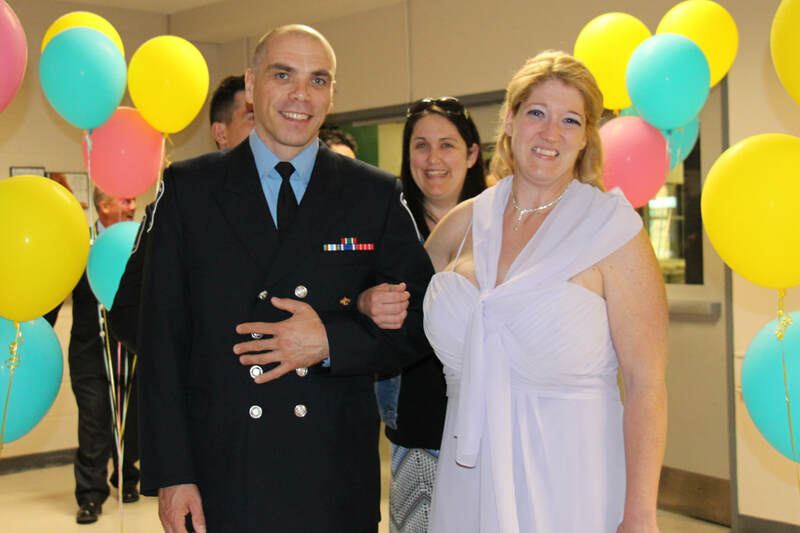 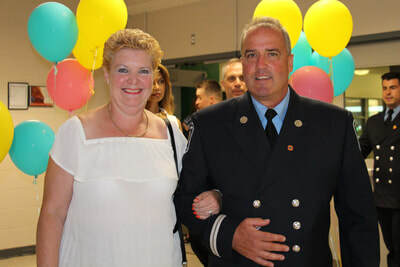 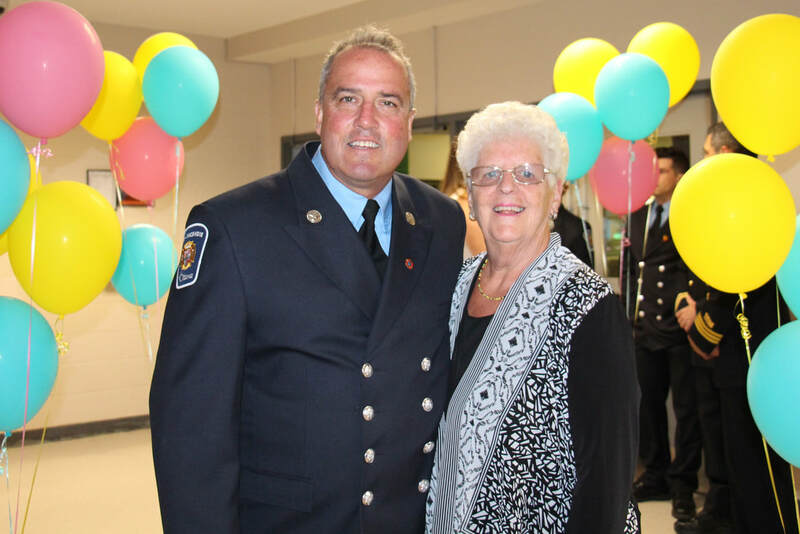 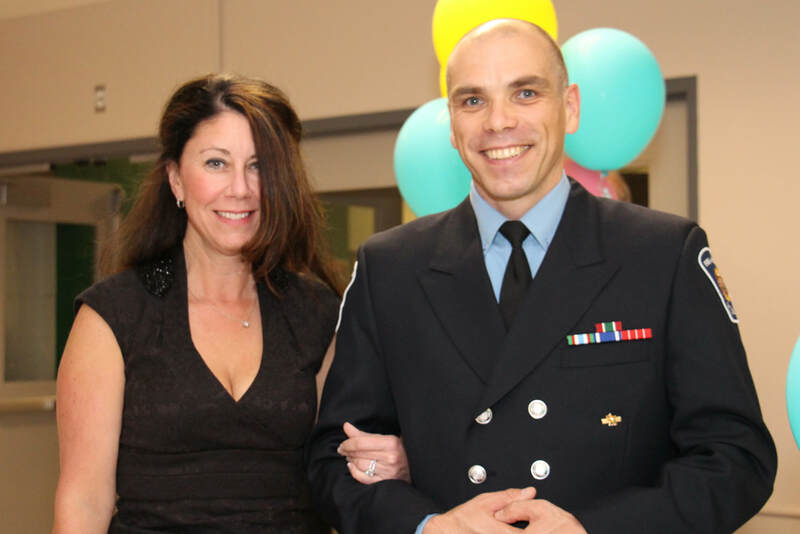 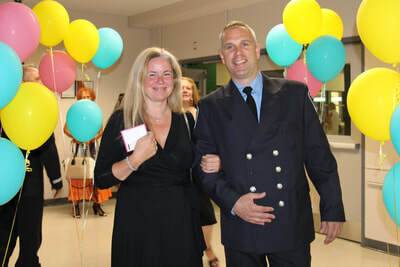 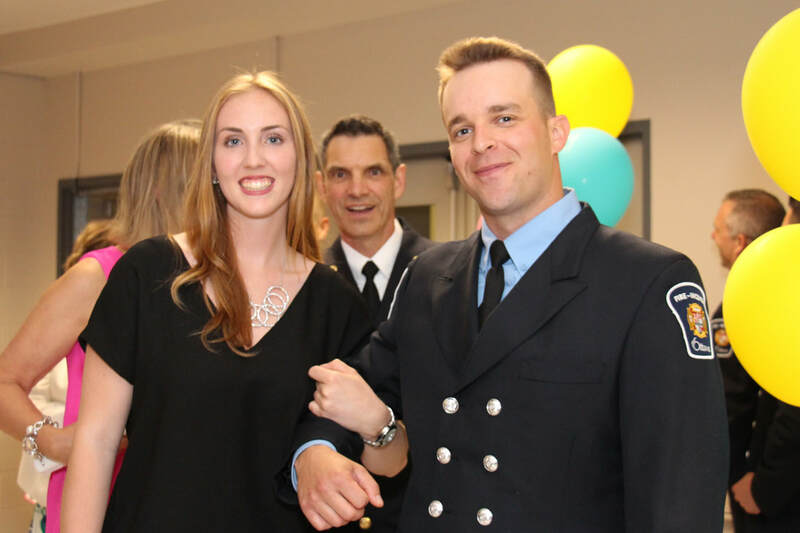 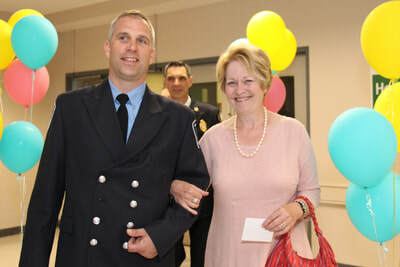 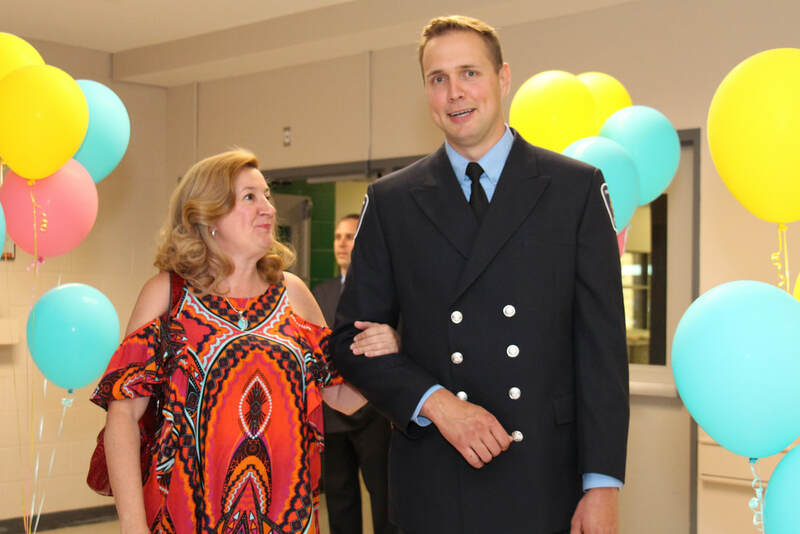 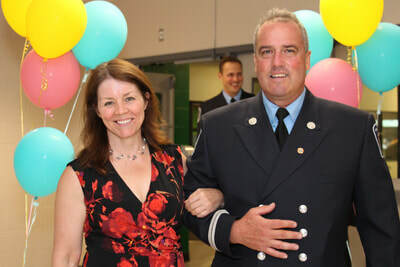 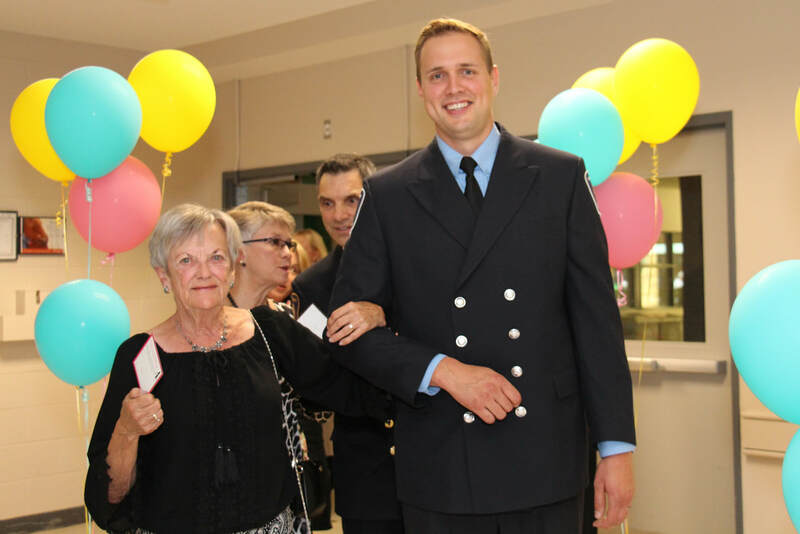 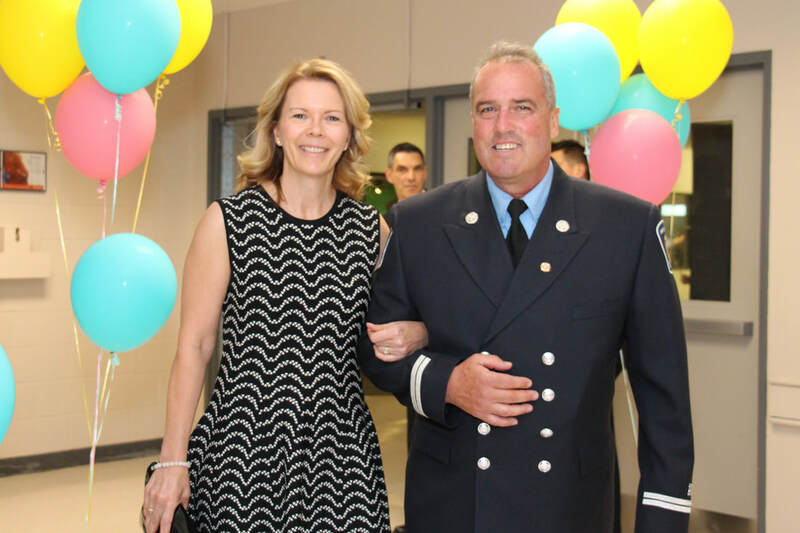 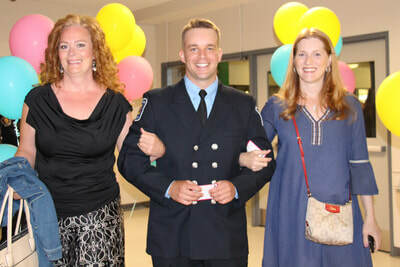 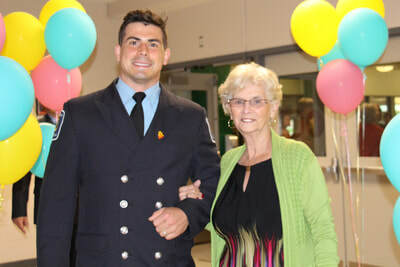 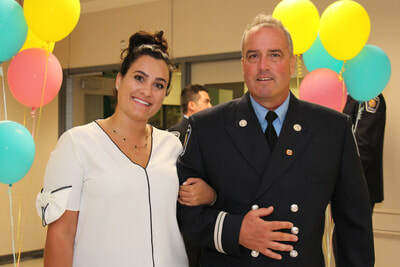 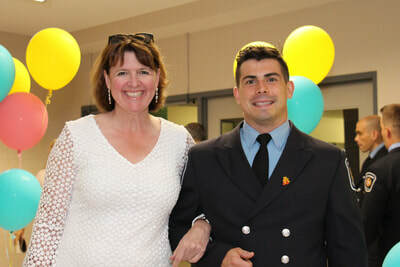 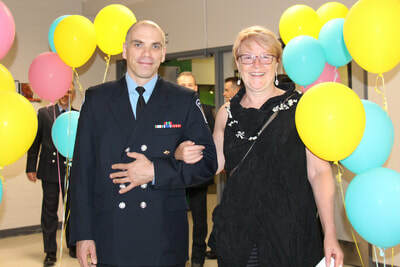 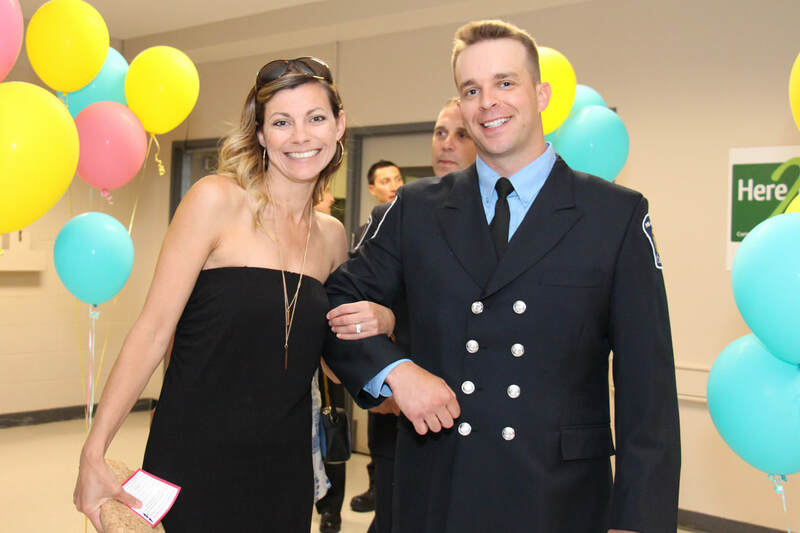 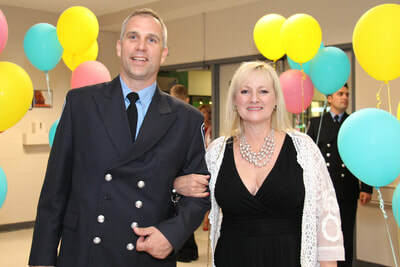 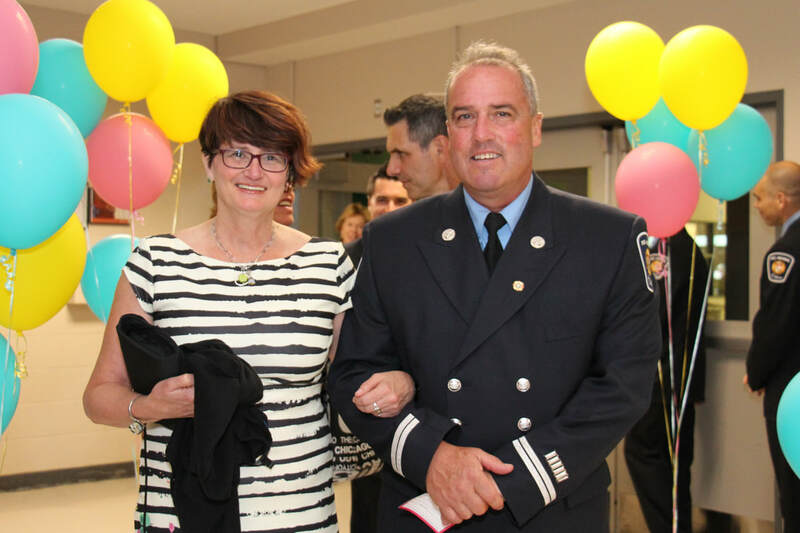 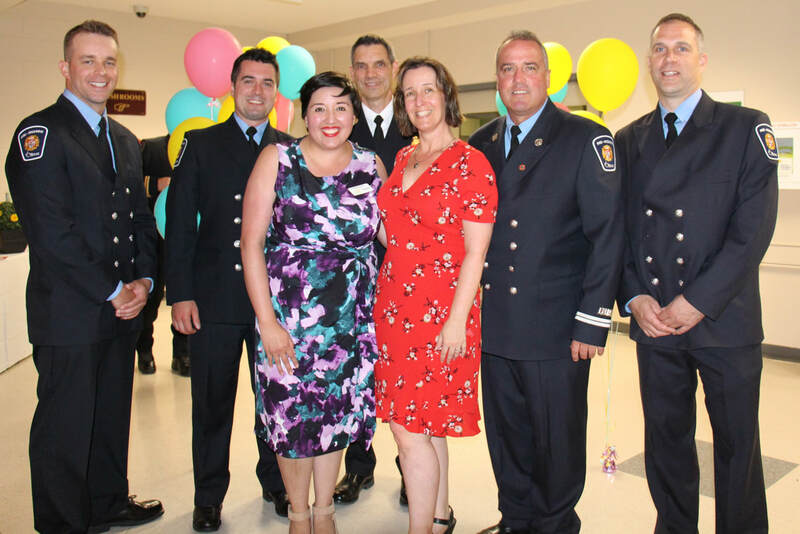 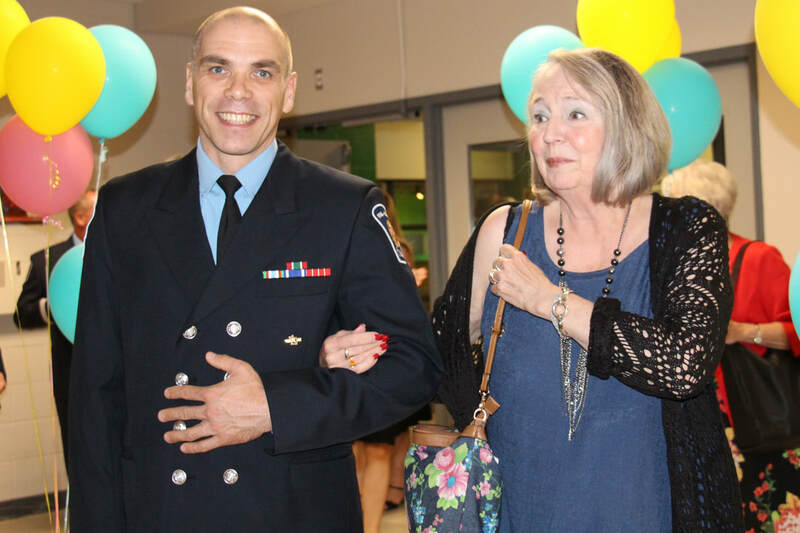 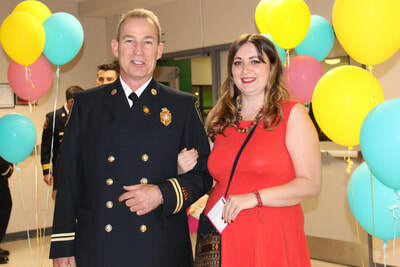 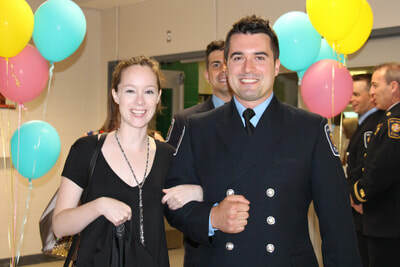 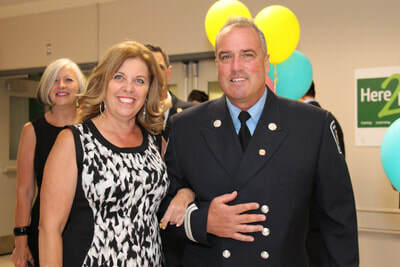 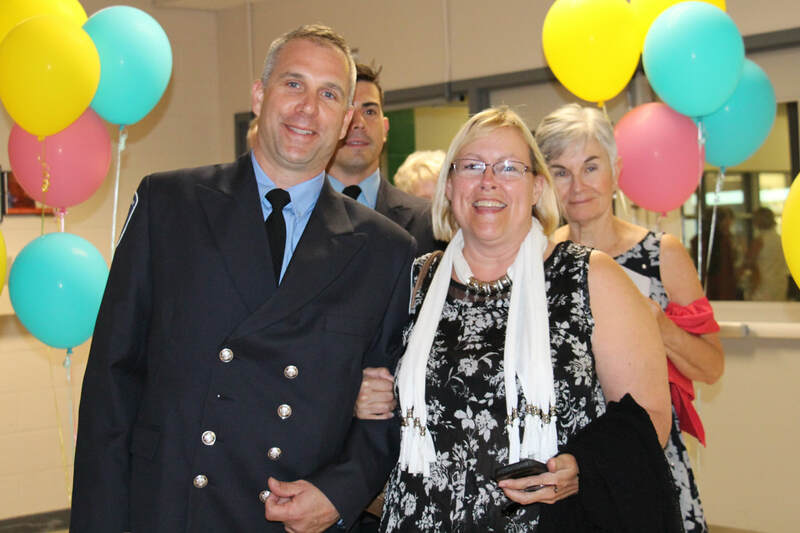 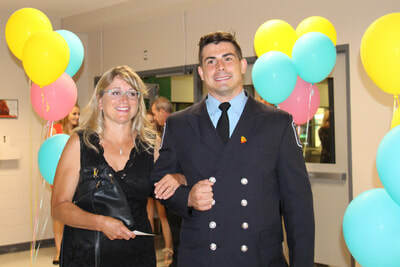 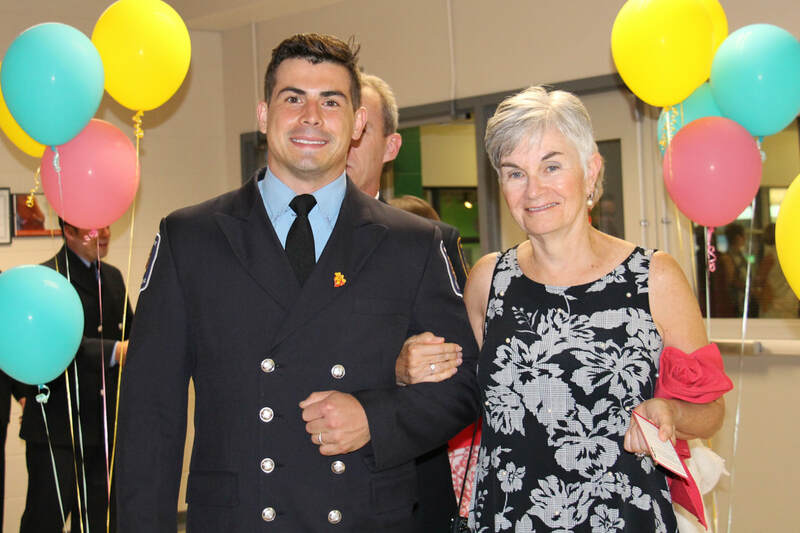 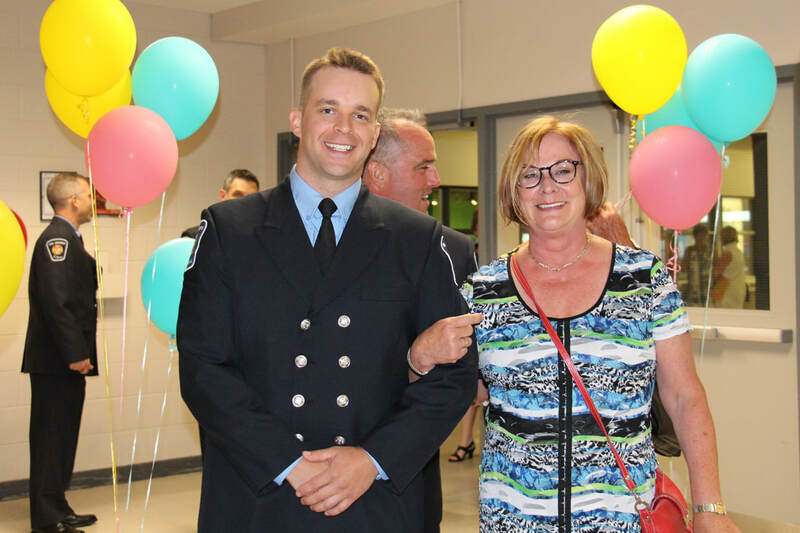 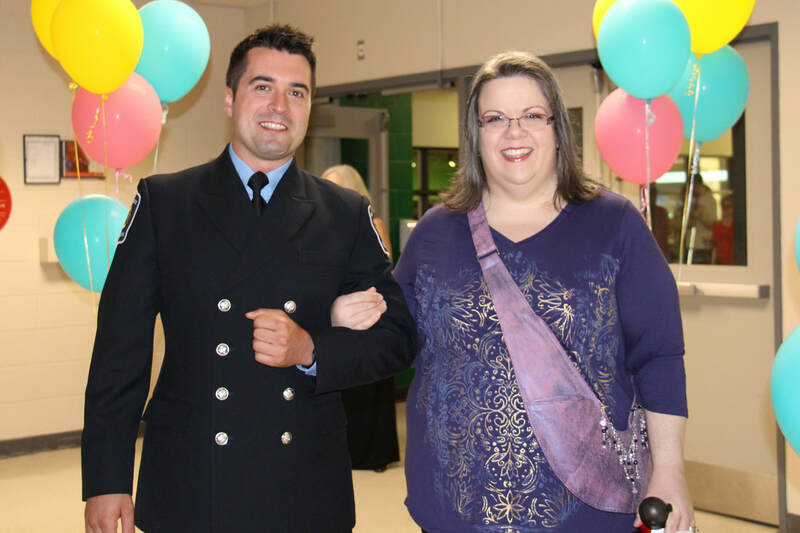 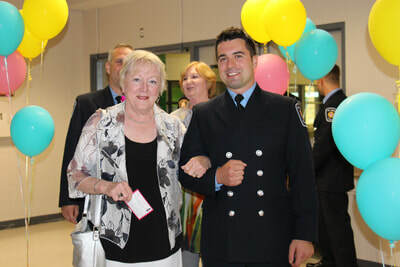 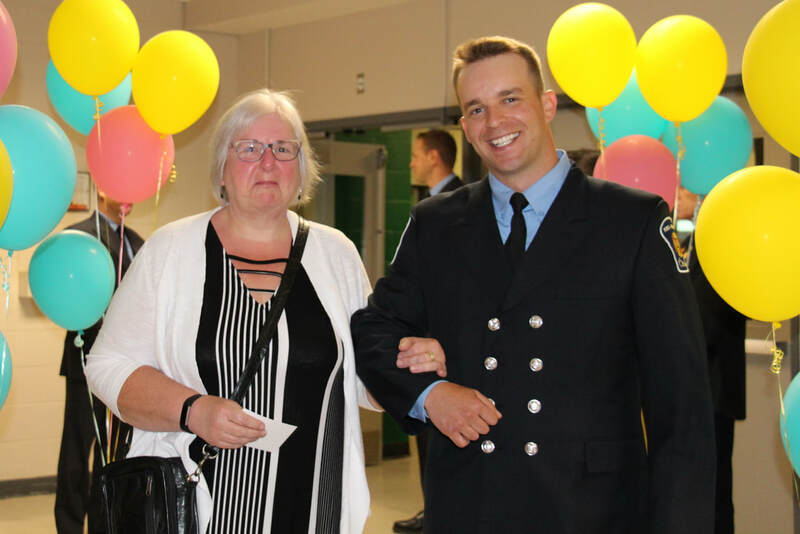 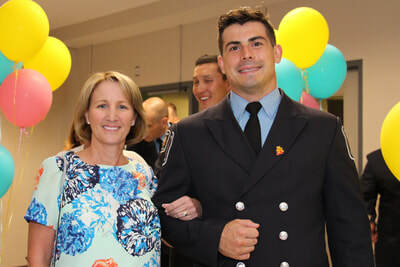 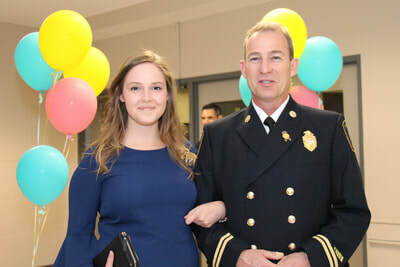 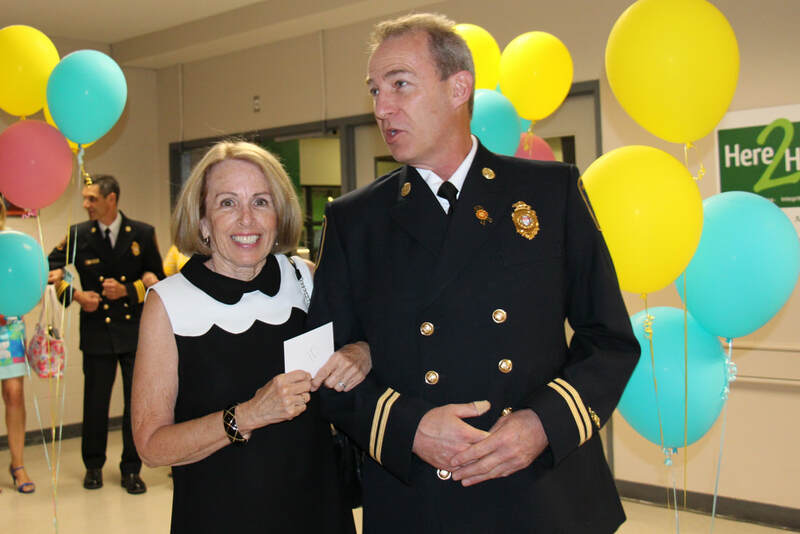 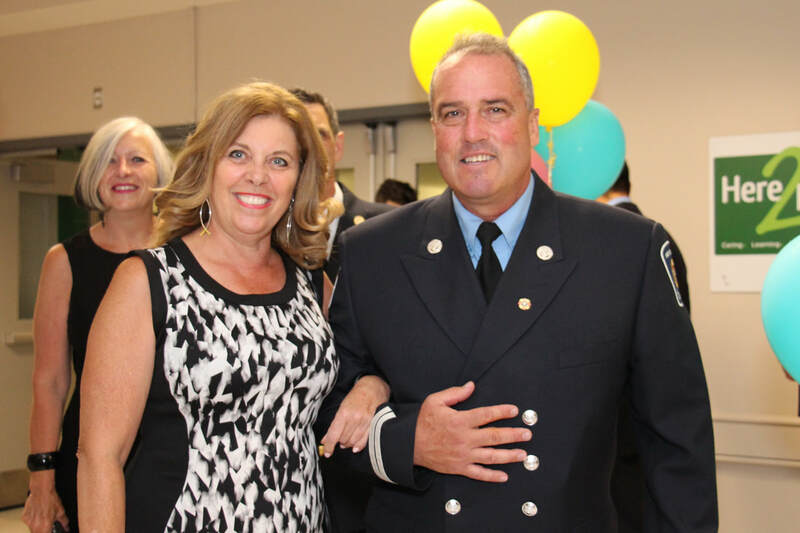 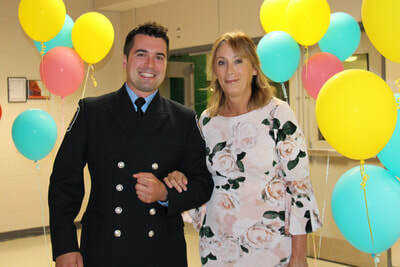 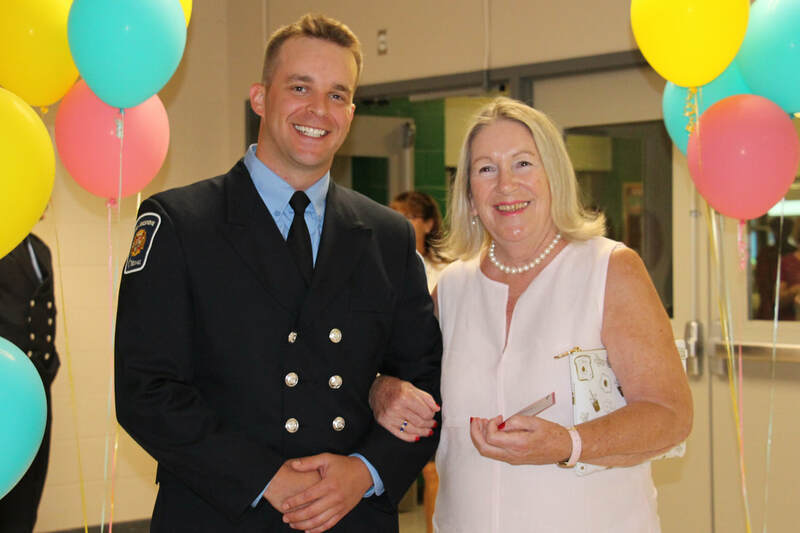 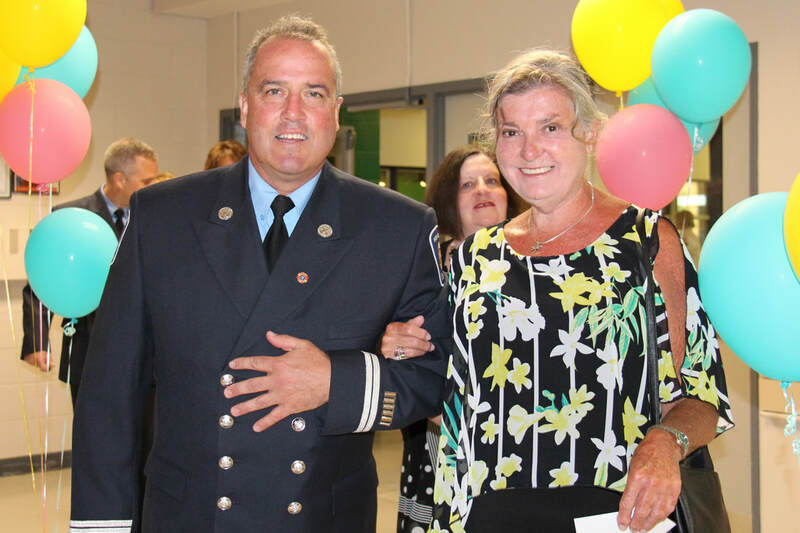 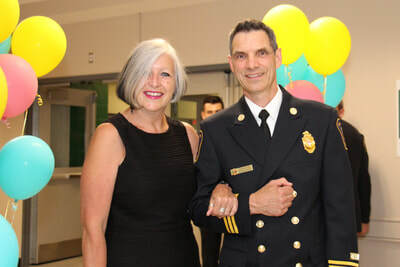 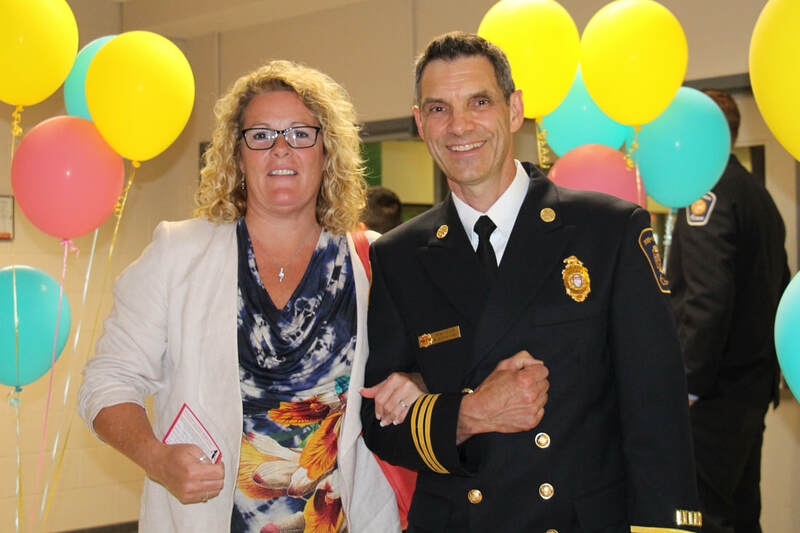 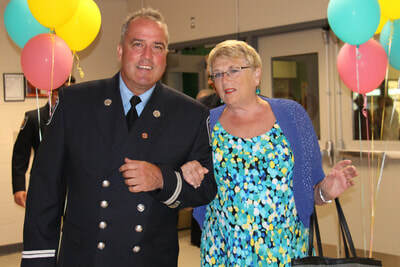 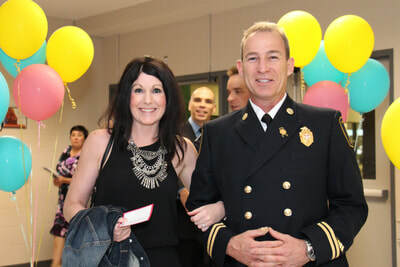 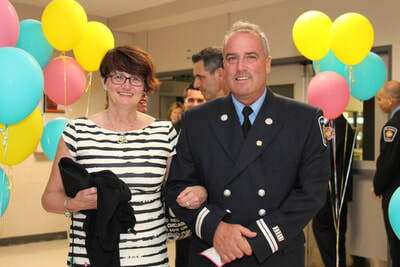 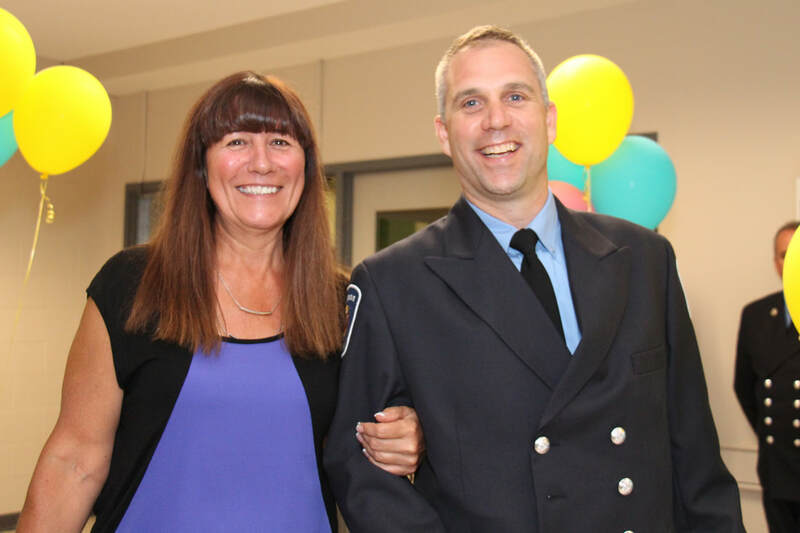 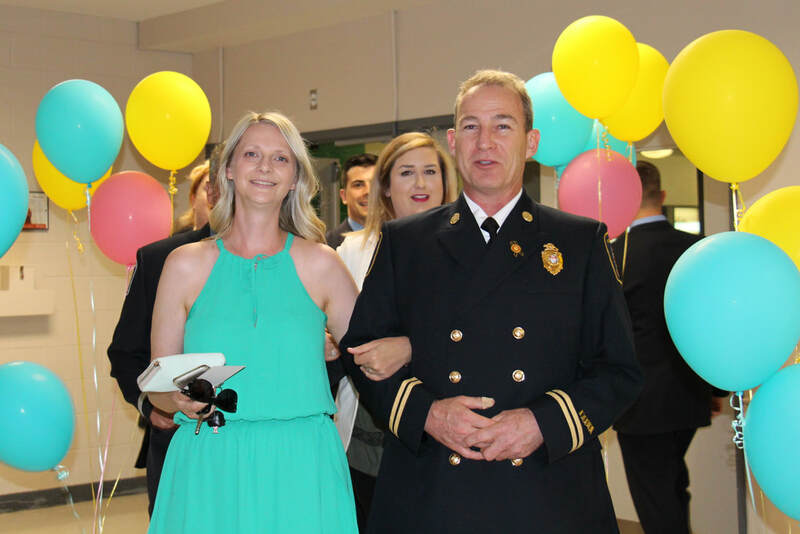 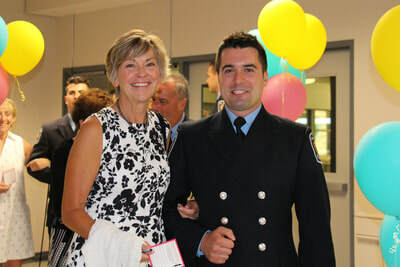 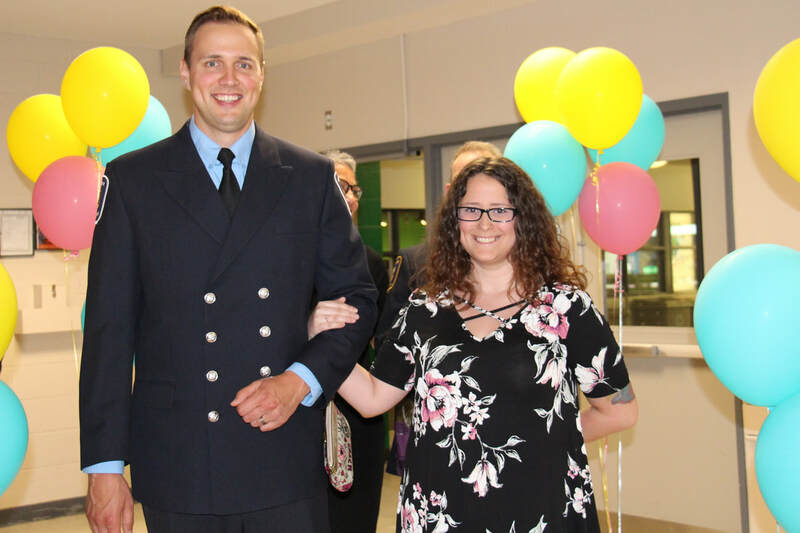 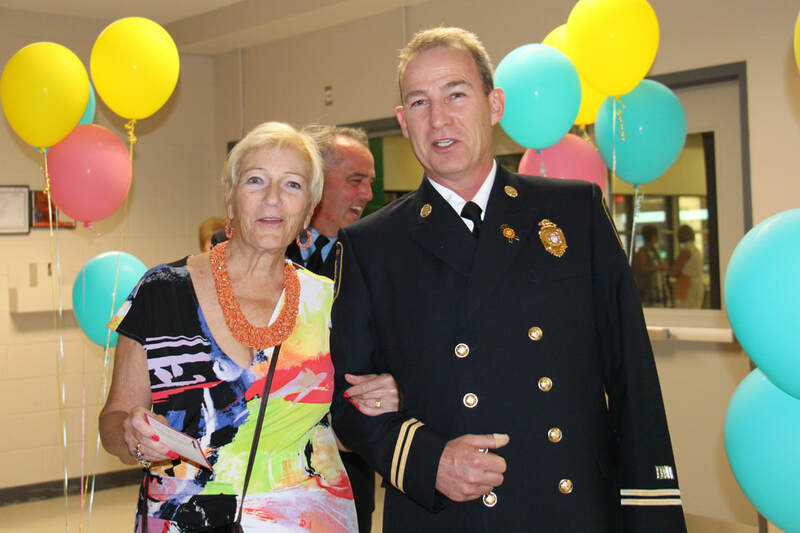 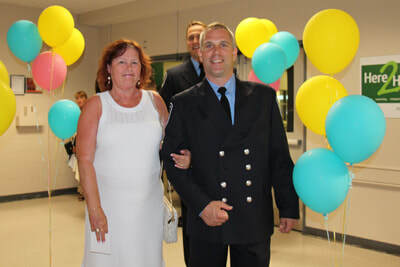 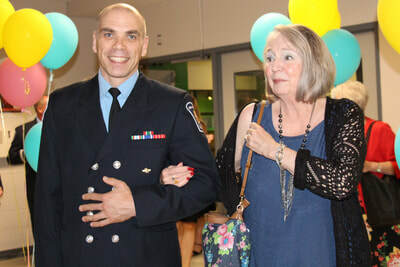 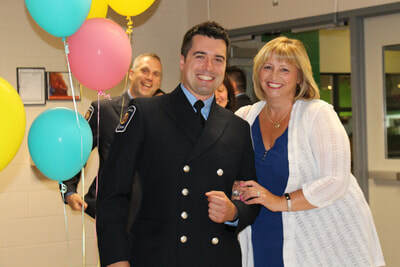 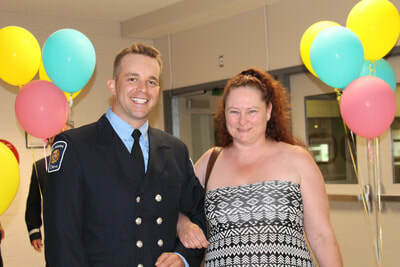 Nearly 400 ladies were escorted to their tables with the help of some of the City of Ottawa's finest firefighters. 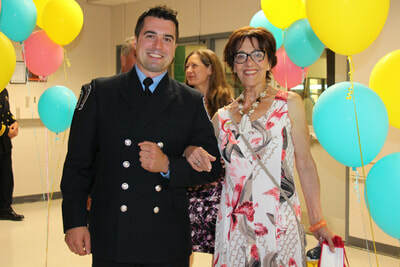 Quality Entertainment DJ had guests on their feet with upbeat tunes which even got the firefighters dancing. 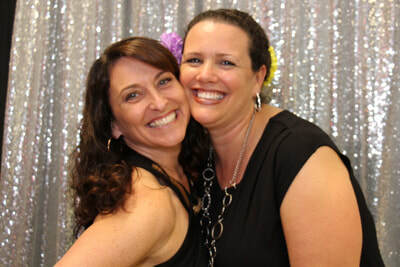 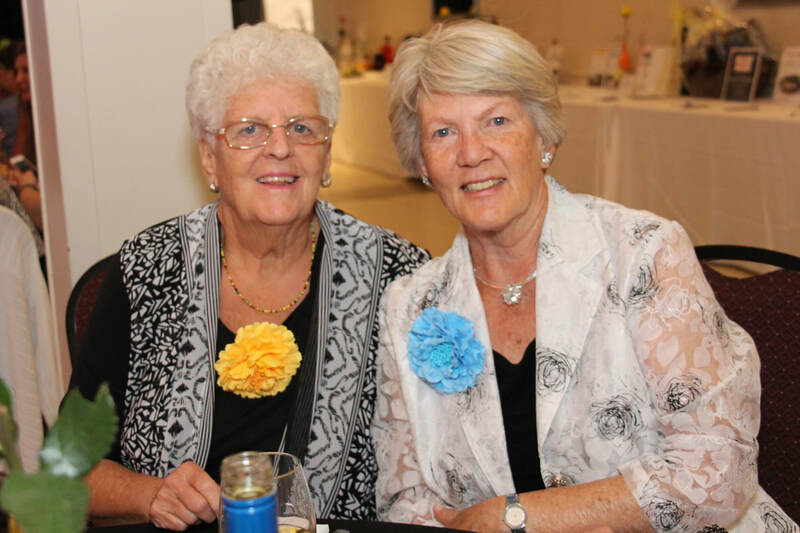 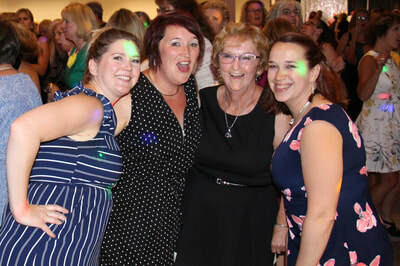 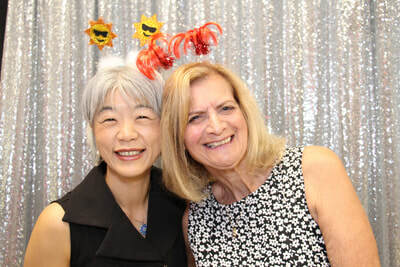 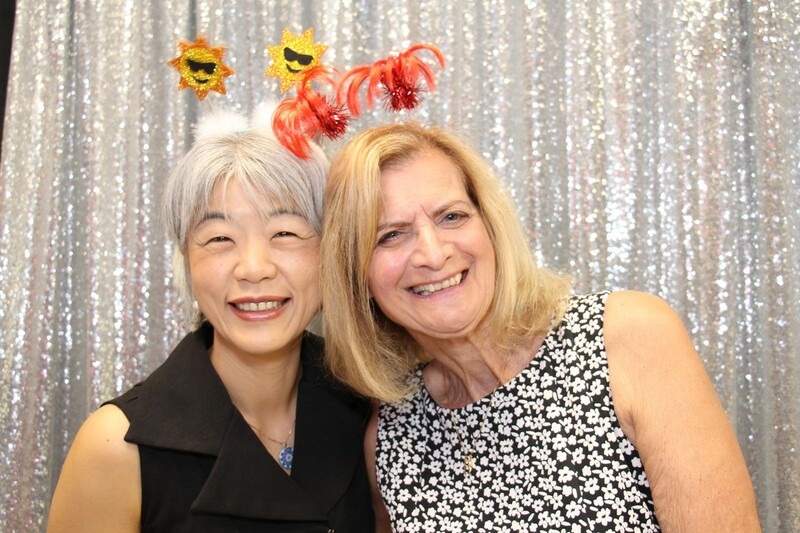 Many women who needed a break from all the dancing had a great time in our photo booth. 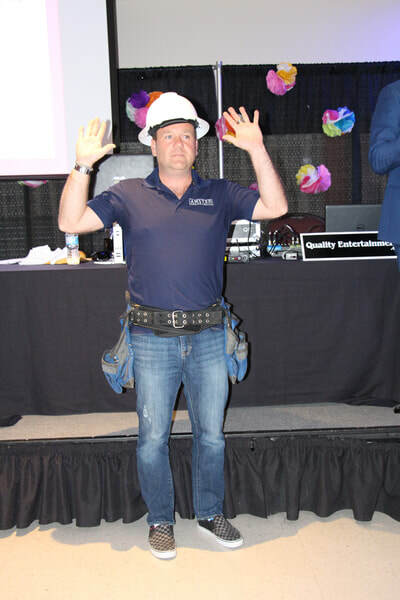 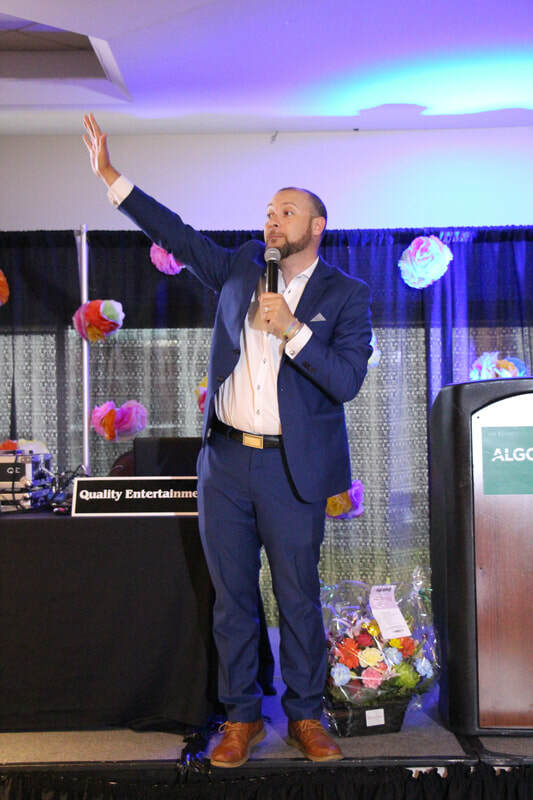 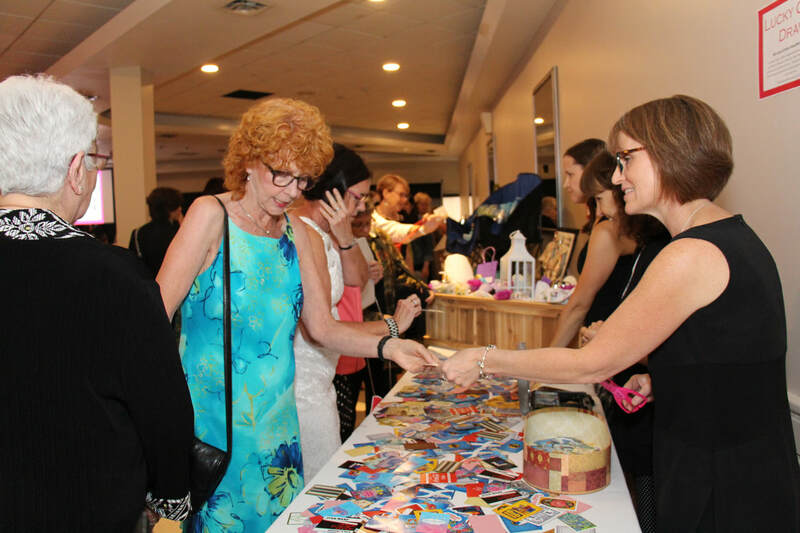 Invigorated by Algonquin College's sumptuous meal and wine, guests were ready to do some shopping at our auctions, filled with beautiful finds. 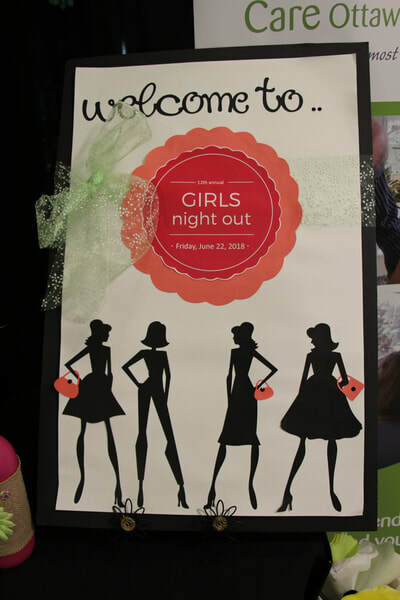 Thank you to our amazing sponsors, donors, volunteers and guests for an unforgettable night! 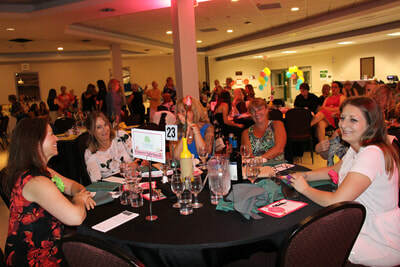 Without all of you we couldn't have pulled of this fantastic event. 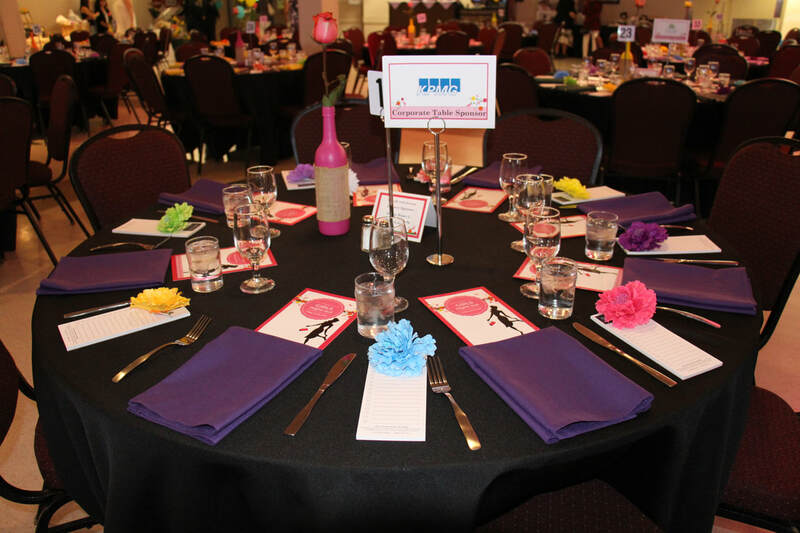 We are pleased that share that after expenses we raised over $52,000! 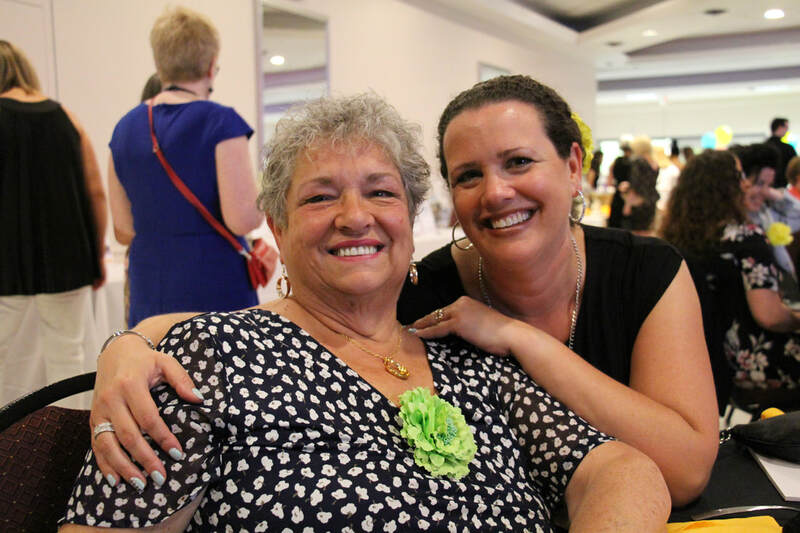 These funds directly support the hospice and end-of-life programs and services we provide to people living with a life-limiting illness and their families at no charge. 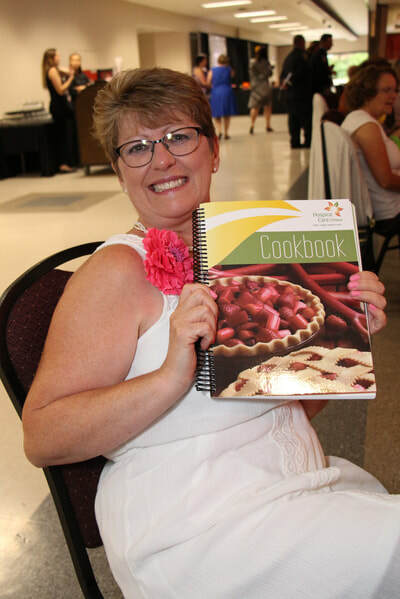 R & J Fraser Farms Ltd.